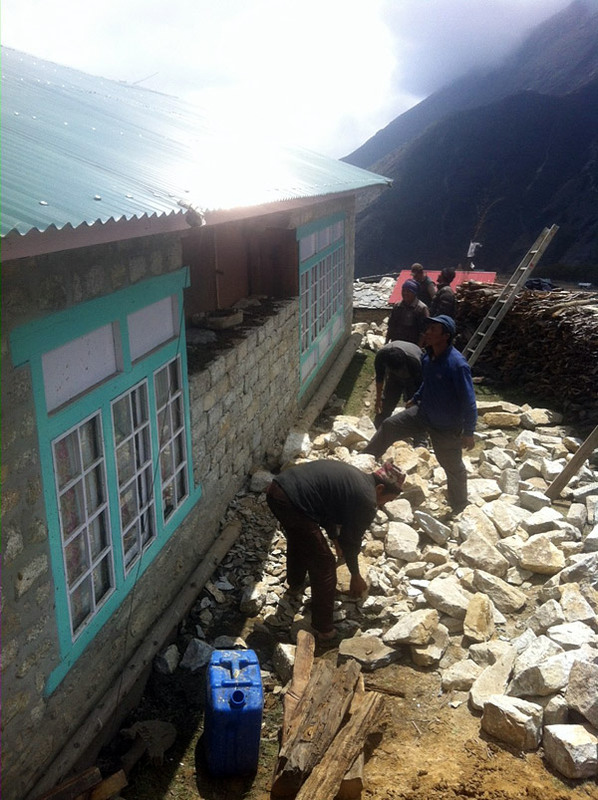 We are pleased to report that the rebuilding in Nepal is proceeding at a good pace. 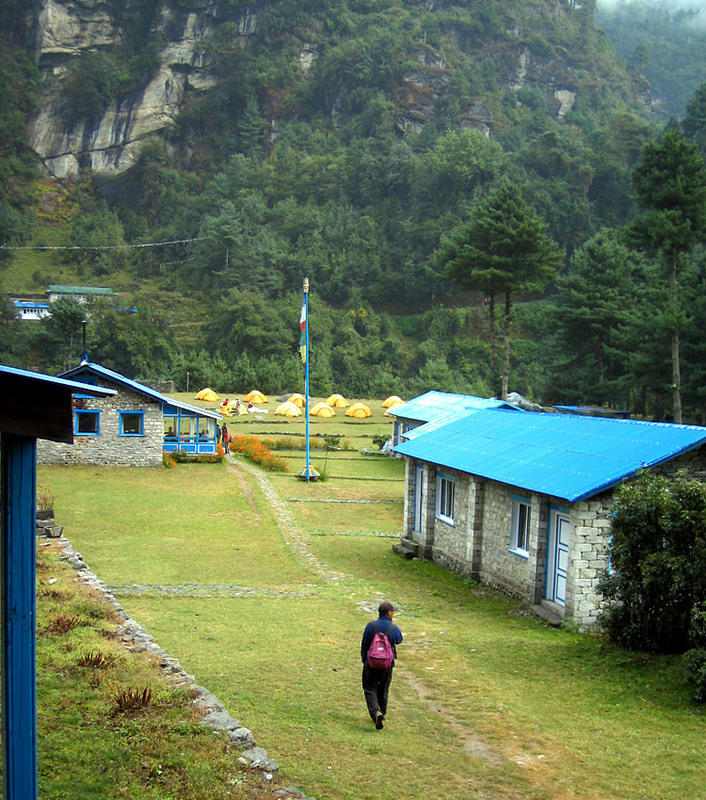 Phunuru says that almost all the lodges in the Khumbu have now been fixed and are ready for the autumn trekking season. 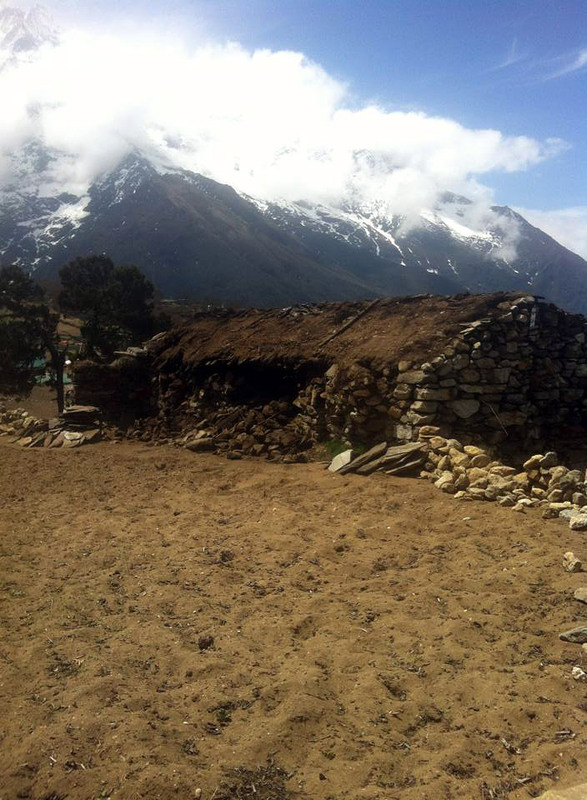 Many homes in the various Khumbu villages have also now been rebuilt, but there is still plenty of work to do. 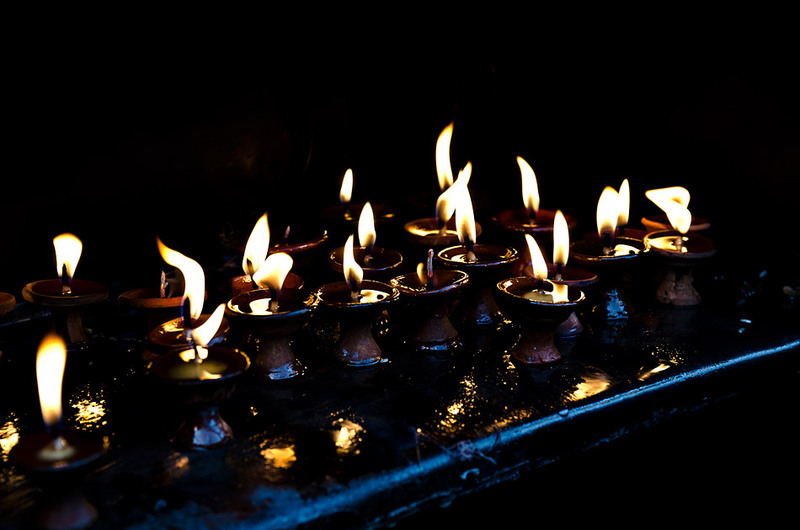 Back in Kathmandu, Jangbu and Pasang report that there is also a lot of rebuilding and that the local hotels and tourist sites are hoping that visitors will start returning. 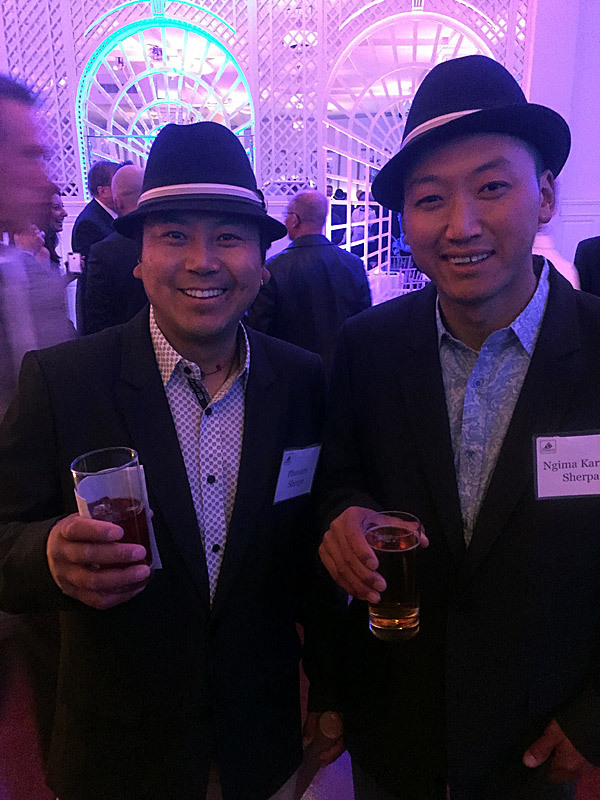 On behalf of our IMG Sherpa team, a hearty "thank you" goes out for all the support we have received for our Sherpa Fund. We received contributions from nearly 300 individuals, totaling over $100,000, and all of this money has been sent to Nepal. 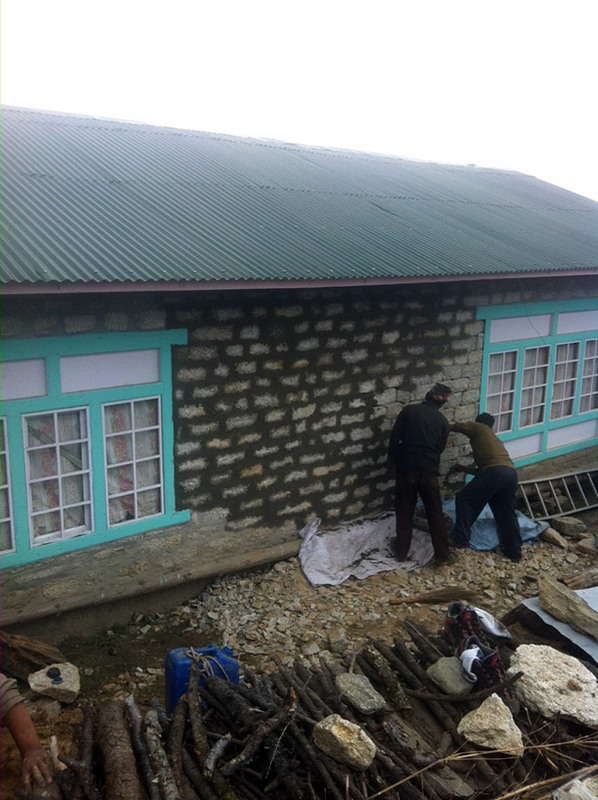 From this we were able to provide support to over 90 IMG sherpa families for their rebuilding efforts (27 in Phortse, 7 in Khunde/Khumjung, 13 in Pangboche, 12 in Thame, 15 in Kharikhola and Solu, and 18 in Kathmandu). We are looking forward to getting back to Nepal. Our upcoming Dolpo Trek, 3 Peak, 3 Passes Trek, and Lobuche Peak climb programs are looking good, so we'll be heading back soon for the Autumn trekking season. Thanks again for your help! 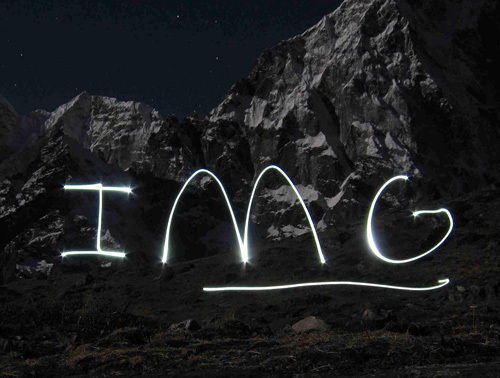 Thanks to everyone who has donated money to the IMG Sherpa Fund. 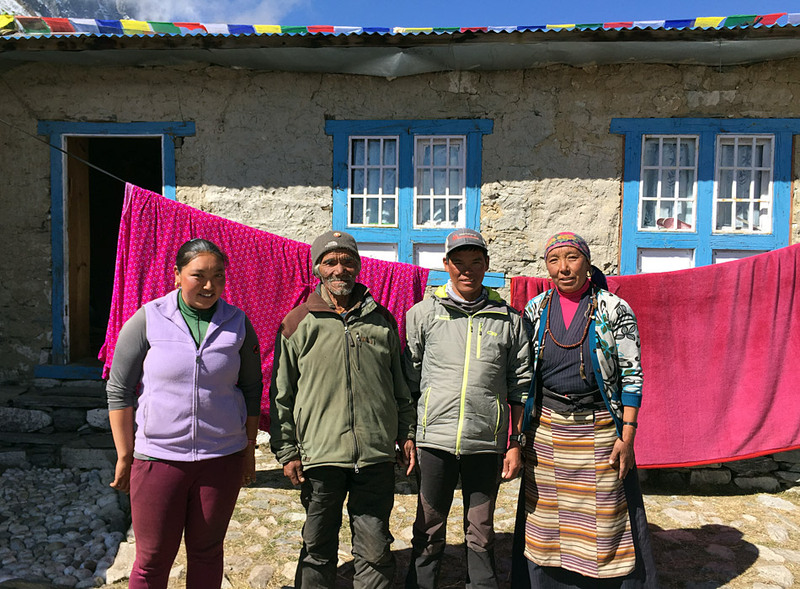 Our goal is to support the sherpas who support our IMG teams by distributing money directly to families in need. 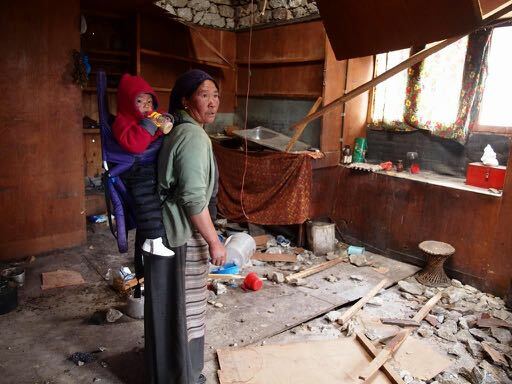 We have made a complete inventory of damage to the IMG sherpa homes in Pangboche, Phortse, Khunde/Khumjung, and Solu and have identified 11 of our sherpas whose homes were completely destroyed, another 22 which were partially destroyed, and 7 with minor damage. 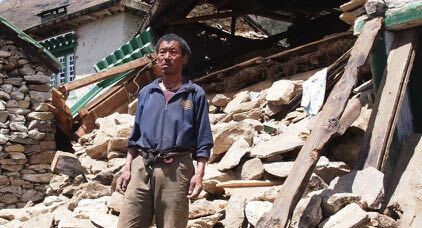 We have now sent $55,000 to Nepal from the Sherpa Fund to be distributed directly to these families, with more to come. 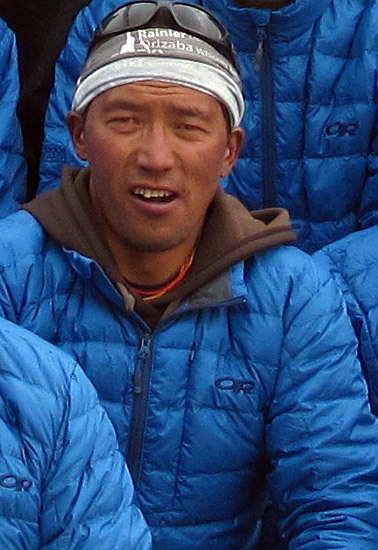 Since there is no power or communications in Phortse, IMG sherpa leader Phunuru trekked over to Namche to communicate. His Facebook post pretty much sums up the situation. Sounds like a real mess with almost all the houses in the village having been badly damaged. It is all quite heartbreaking, but in time these structures will be rebuilt. We continue raising money to support this and are compiling a detailed inventory of damage to document the efforts. 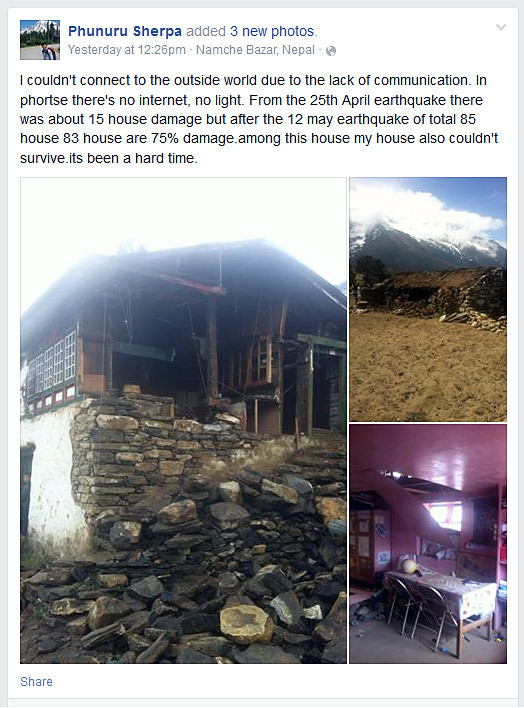 Another Earthquake in Nepal; How can I help? Just when I was starting to think that there was a light at the end of the tunnel, Nepal has today been rocked by another earthquake. 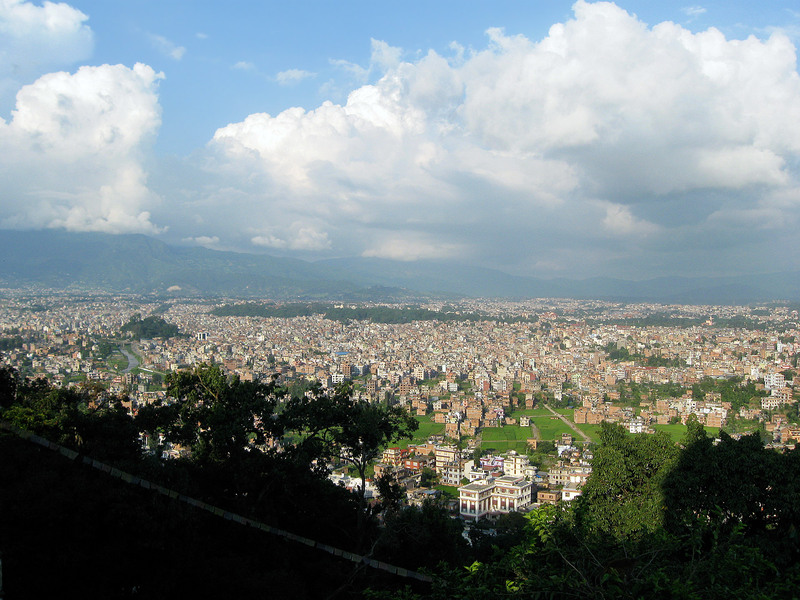 This one was focused to the east of Kathmandu, about halfway to Mt. Everest. 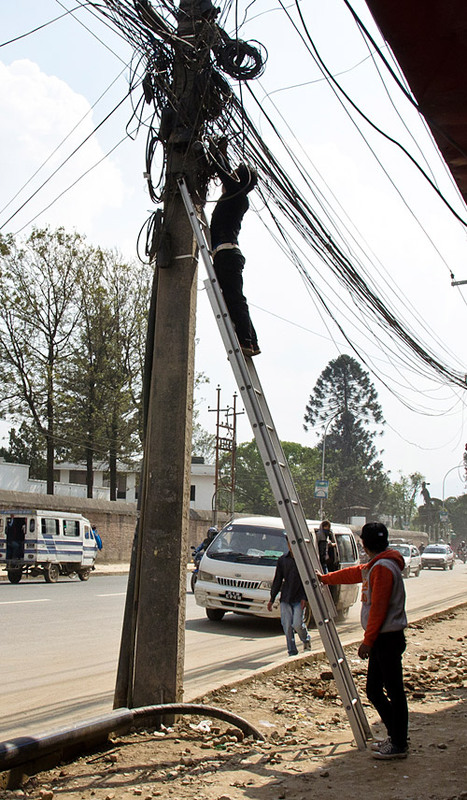 Ang Jangbu, Pasang, and our staff in Kathmandu report that it was very scary, with hard shaking. 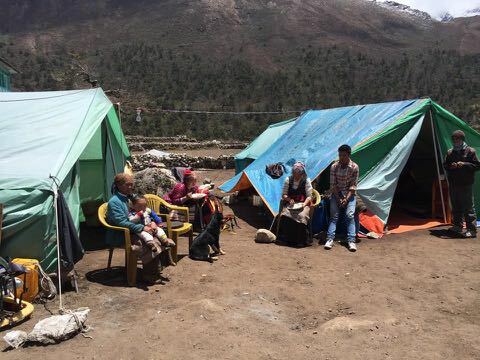 Their families are all OK, but they are again sleeping outdoors in tents, for fear of aftershocks. 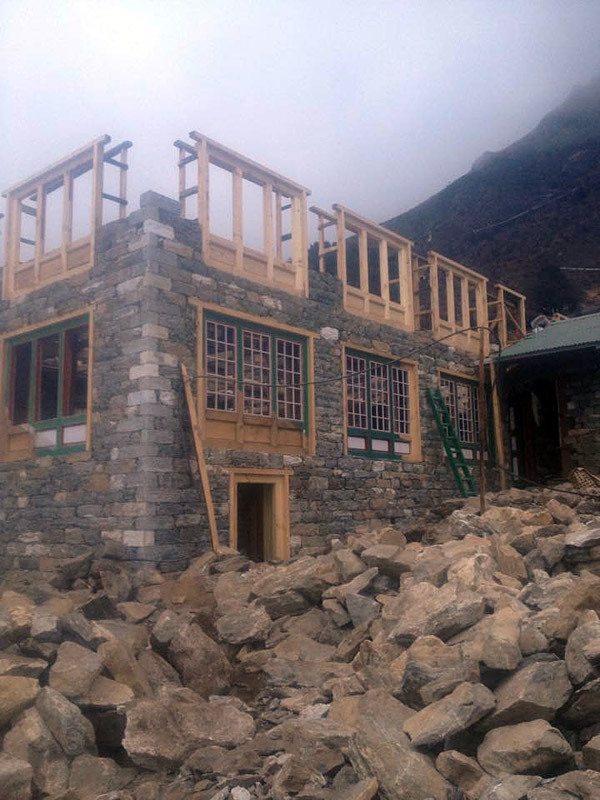 Up in the Everest area there is a lot of new damage to the sherpa villages. 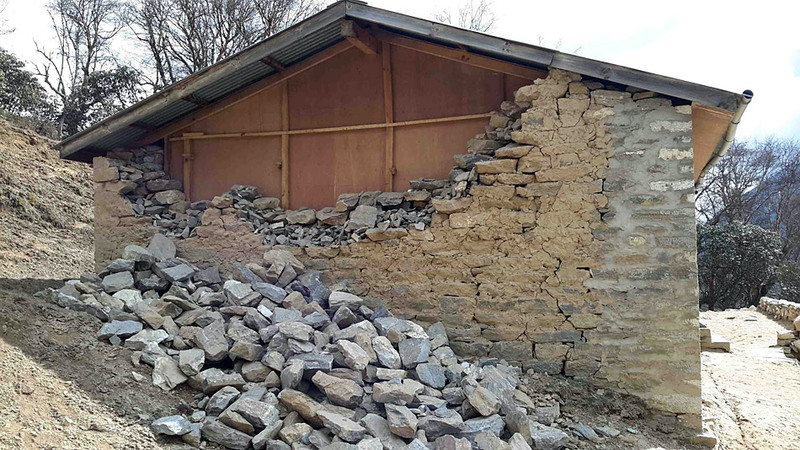 Phunuru reports from Phortse that many of the homes that survived the April 25 earthquake have now been destroyed and that many people are sleeping outside. They are sending a crew up to the storeroom in Pheriche to get tents. They may also go up to Gorak Shep tomorrow to the storeroom there to get some of our big kitchen and dining tents that are stored up there. We have told them to take what they need. We have been receiving donations from many people for the IMG Sherpa Fund, and so far we have raised over $40,000 which is a good start but I am confident we can do better. Our goal is to provide direct assistance to our IMG sherpa staff who have done such a great job supporting our IMG teams. 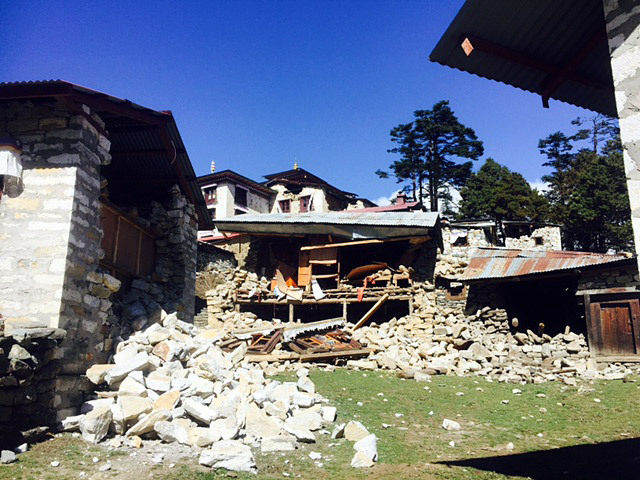 After the first earthquake, we had identified 6 IMG sherpa families with totally destroyed homes and 9 with partially damaged homes. Now, however, that total is going to be much, much higher. If you would like to help, you can send your check to IMG and include a note on the memo line indicating that it is for the IMG Sherpa Fund. We will bundle 100% of the funds we receive and send to Ang Jangbu and Pasang to distribute to these families. 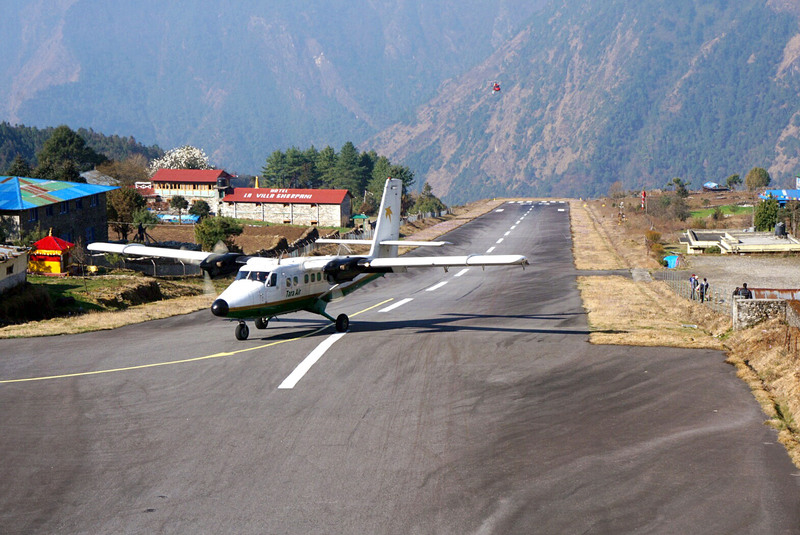 The Lukla flights this morning went smoothly, and the IMG climbers are all back to Kathmandu. Several of our members were able to depart in the afternoon, and most of the remaining climbers will be leaving in the next day or two. 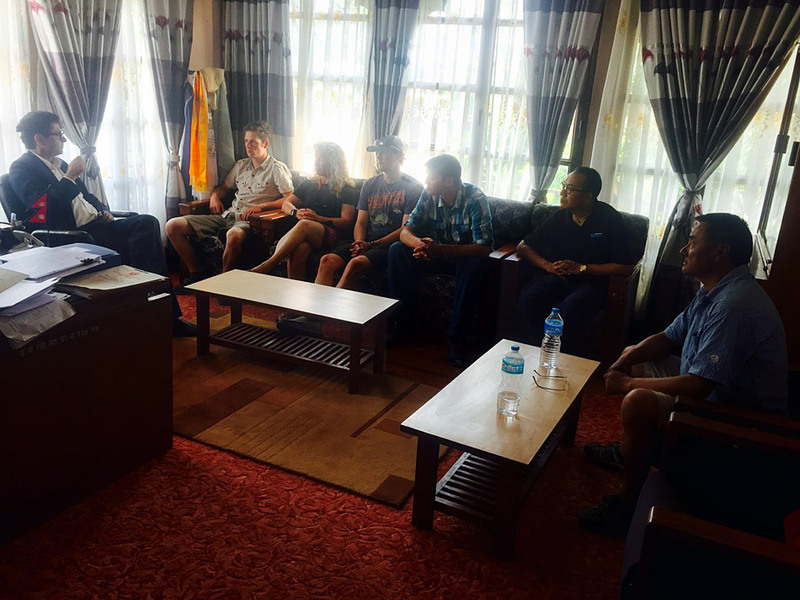 This afternoon Jangbu, Pasang, Greg and our permit leaders Max, Luke, and Emily all went to the Ministry and had a final trip briefing, this time with the Director General himself. A number of issues were discussed including the status of the current climbing permits and the use of helicopters. There will be more to come on all of this. For the short term, our Nepal team is working hard to wrap up a lot of loose ends including many duffel bags still coming downhill from the Khumbu to Lukla. 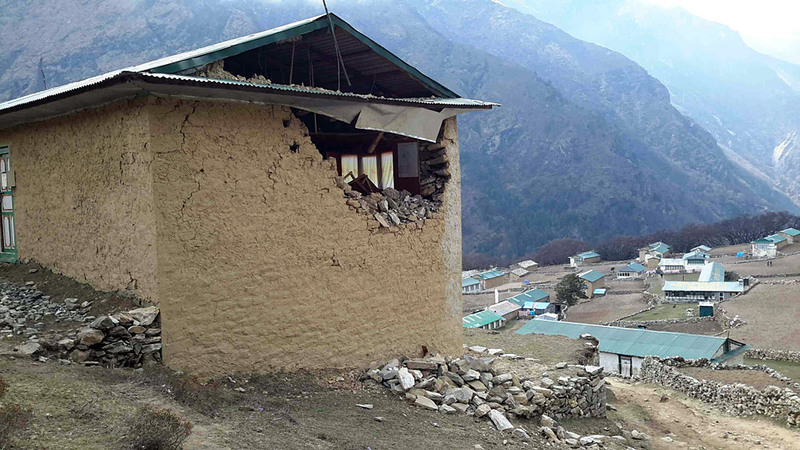 Ang Jangbu reports that the Himalayan Trust (the original New Zealand charity founded by Hillary) is going to take a lead role in rebuilding the damaged schools and hospitals in the Khumbu, so that is another good option worthy of your consideration. We'll keep posting updates going forward on the efforts of our IMG team to assist the people of Nepal. While the damage and suffering was huge, it is our expectation that the country will bounce back with the help of people all over the world. 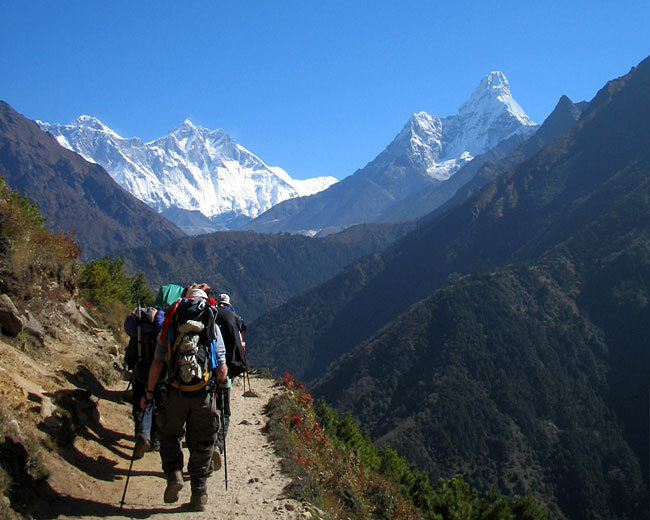 Looking ahead to the Autumn 2015 season, we are planning to conduct all of our scheduled IMG treks and climbs in Nepal and Tibet. 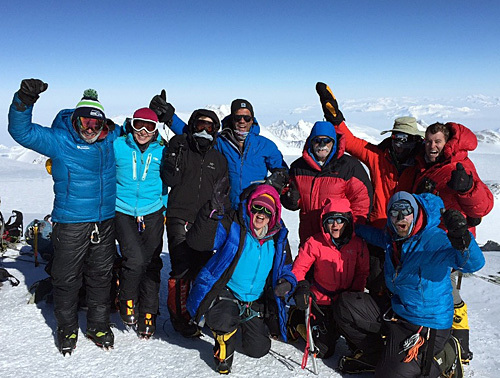 Thanks for following along with our 2015 Everest Expedition. 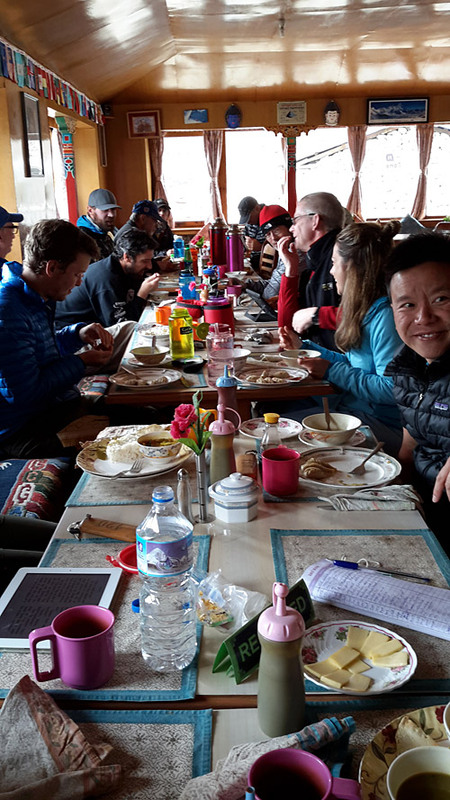 IMG leader Greg Vernovage reports that the team has now reached Lukla, and they are scheduled for the first and second wave Kathmandu flights in the morning. 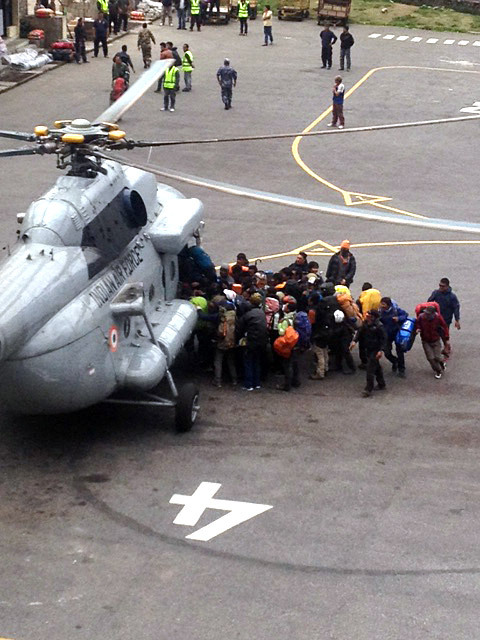 Greg says that today the Indian Air Force landed in Lukla with their MI 17 helicopter and unloaded a bunch of big military tents (at 85kg each!). 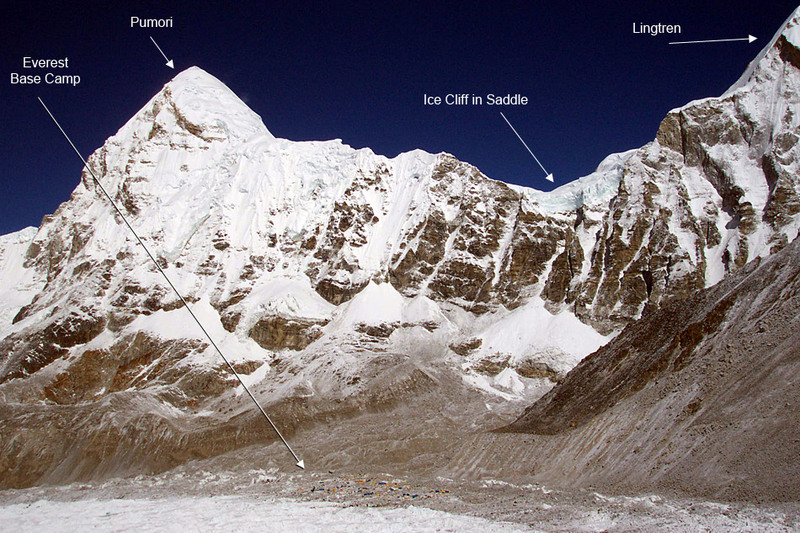 Ang Pasang is still descending with more of the team's duffels and gear from higher up the Khumbu. Jangbu flew on down to Kathmandu to help with the logistics there. 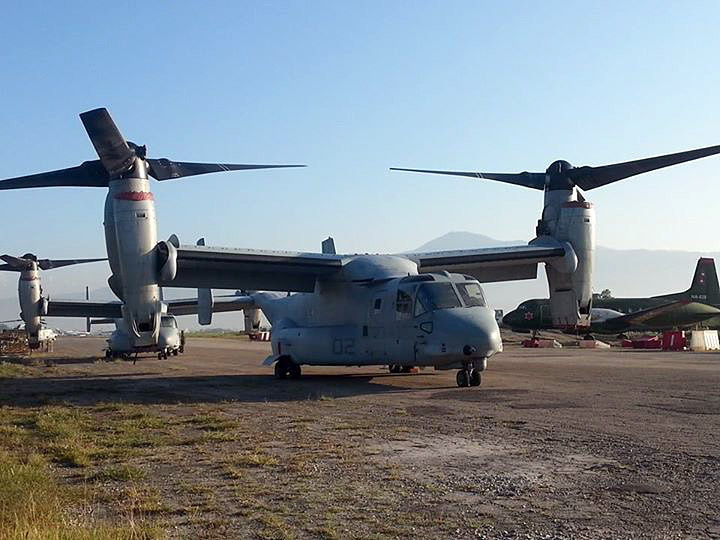 While at the Kathmandu airport, he took this picture of the US Marines V-22 Osprey tiltrotors that landed there. 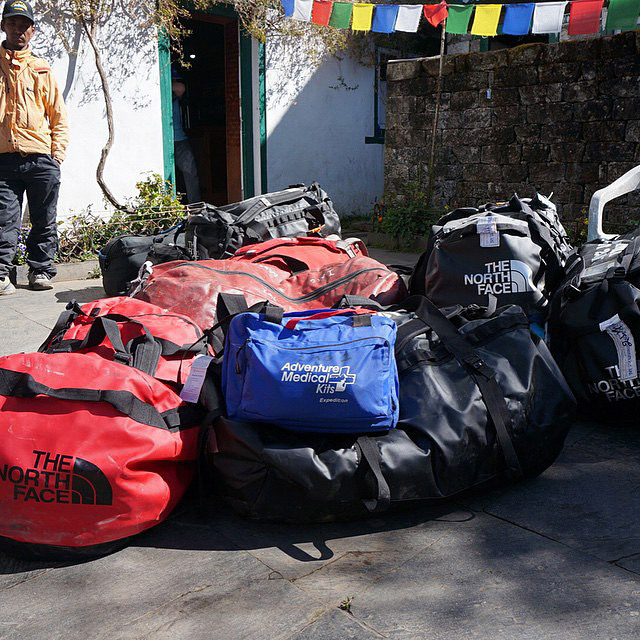 IMG guides, climbers, and sherpas moved to Namche today with yaks for the gear (porters are still in short supply in the valley, and we have a lot of duffel bags and supplies we are moving too). Everyone is doing well. 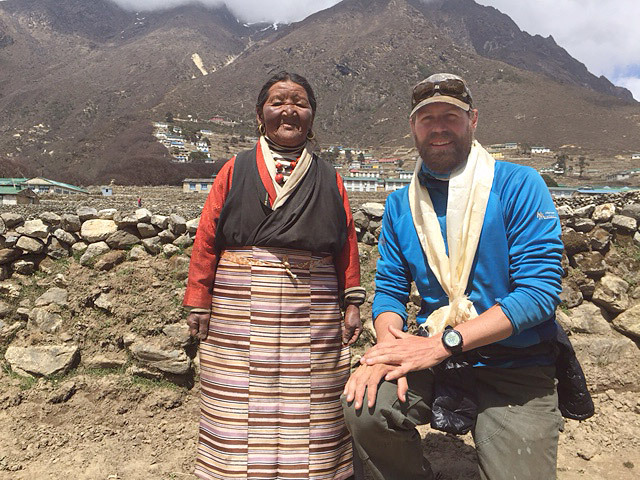 Before leaving Phortse, Mike Hamill visited with the family of DaRita, and handed off some additional support (thanks to Domenic for helping with this). 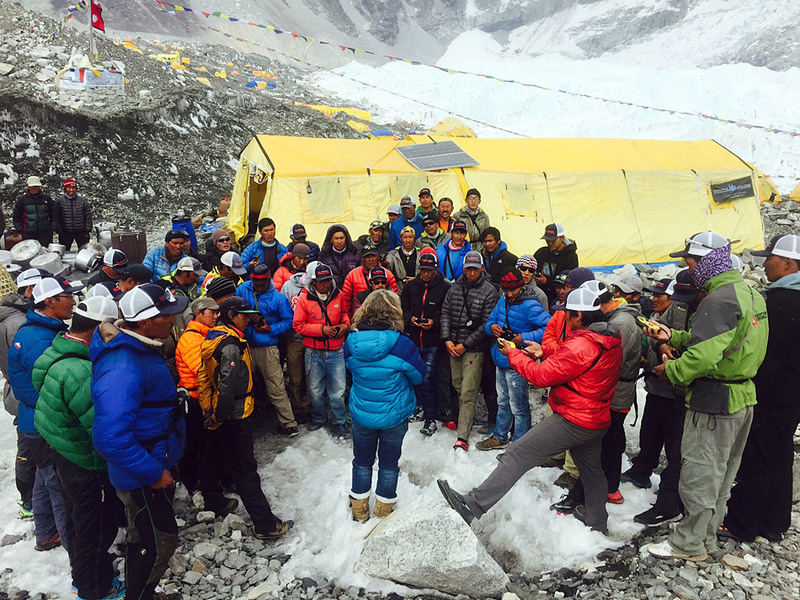 DaRita was our IMG sherpa who collapsed and died at Camp 3 in 2013, from an apparent heart attack. 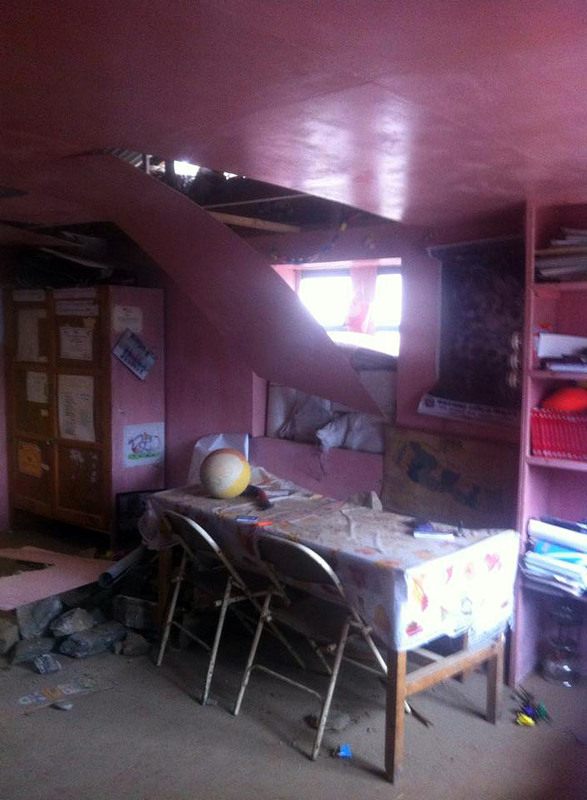 Max reports that yesterday the team inventoried the damage to the local school and community buildings. The roof on the main school is in good shape but the walls are damaged. To fix the school they will have to remove the roof and rebuild the walls, which will take a few months. The same is true for the original Hillary school and teachers' quarters, the attached health clinic, and also the library/community center. These buildings will need to have their walls rebuilt, but they will be able to salvage the roofs. The IMG team had another good day up in Phortse today, assisting the local people to clean up the mess. 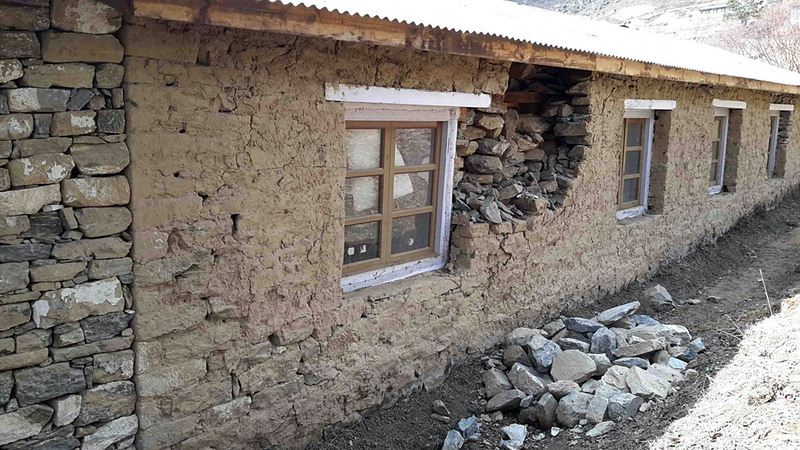 Justin and Emily sent some photos of the local Phortse primary school, which we have supported over the years, and also some of the team up at the Phortse Gompa (monastary) where they helped remove rubble from collapsed walls. 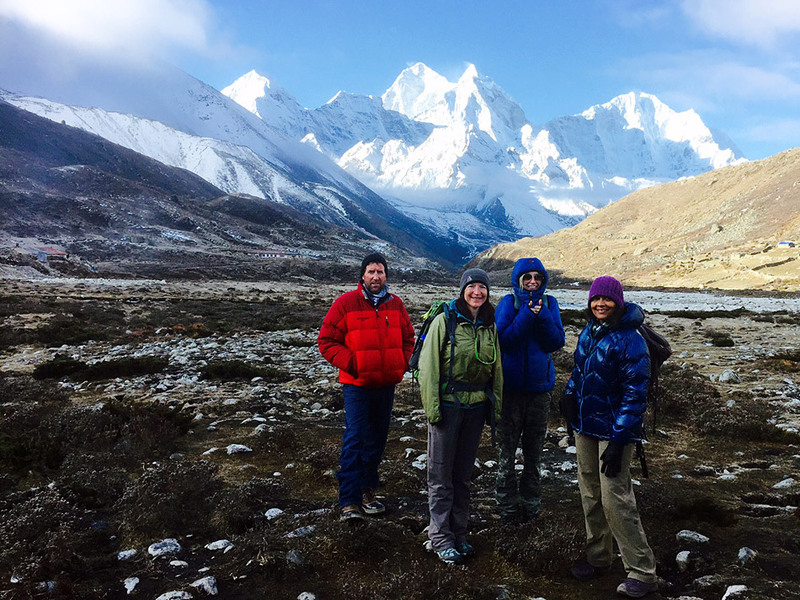 While waiting in Phortse, IMG guides Max, Mike and Andy met Ang Dawa a legendary Sherpa with many pioneering ascents including the south face of Dhaulaghiri and Thamserku. 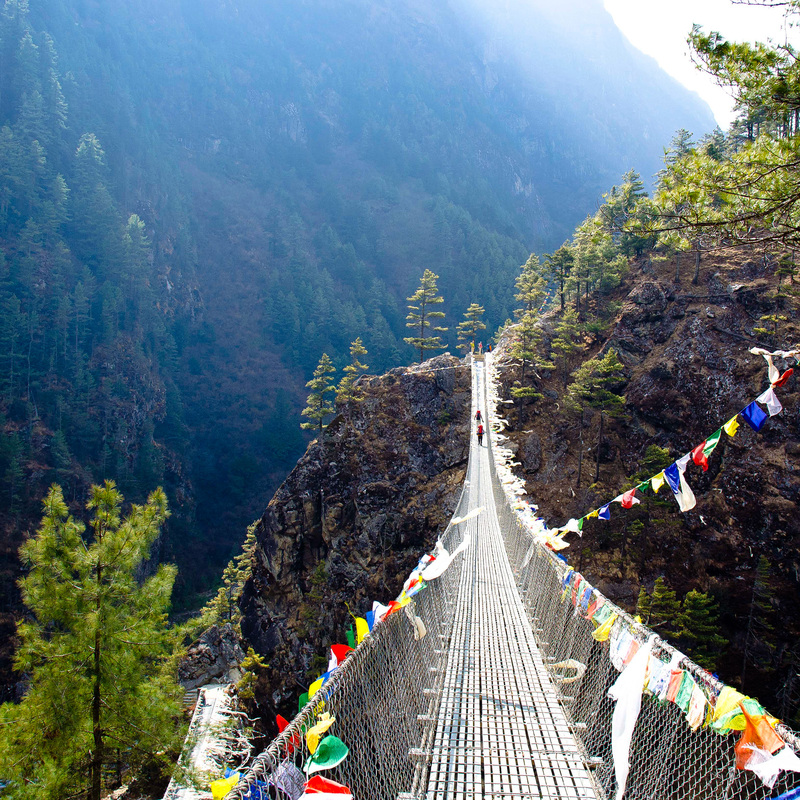 The plan for the team is to move to Namche on the 3rd, Lukla on the 4th, and fly to Kathmandu on the 5th. 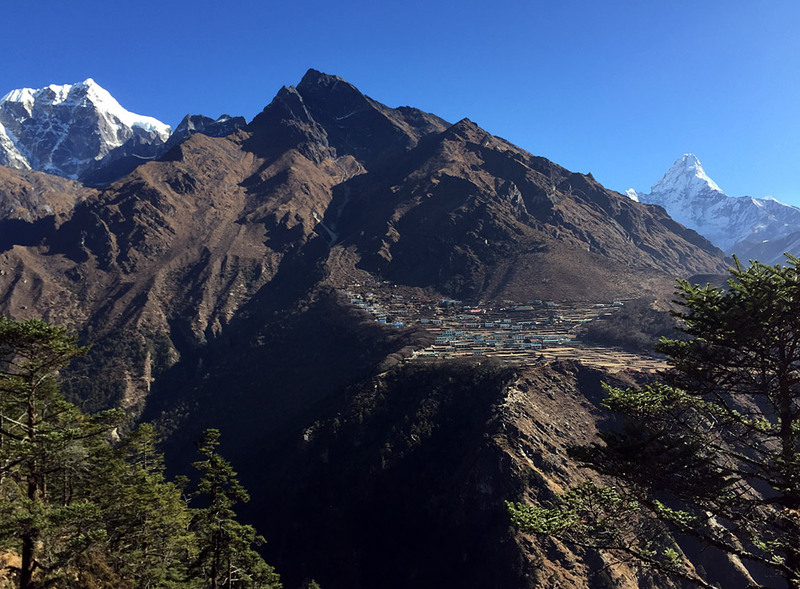 Greg and Jangbu descended via Tengboche and have reached Lukla, where they are now working on arranging for flights, porters, and safe camping spaces for our group. 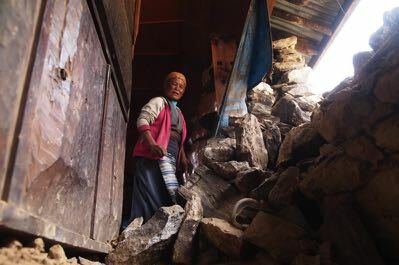 Pasang reports from Kathmandu that the aftershocks have subsided, and that he and his family have now moved back inside their house after camping outside for the last week. 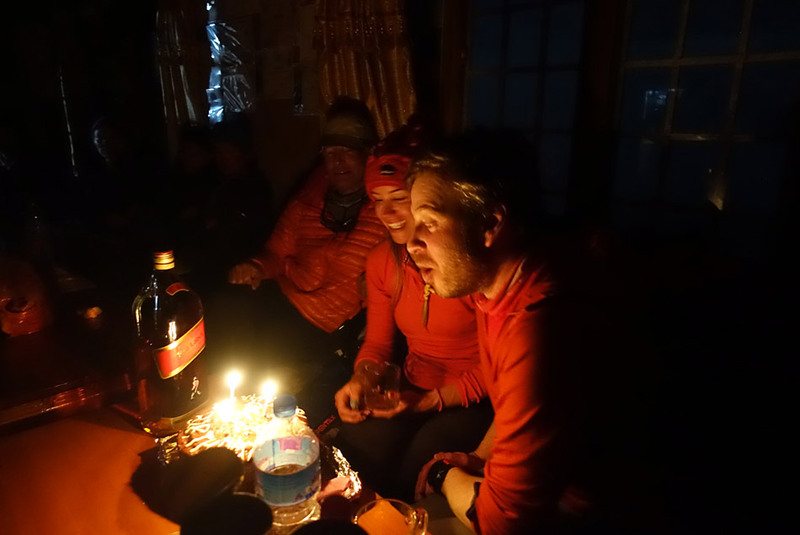 The main IMG team trekked from Pheriche to Phortse, and two of our members (Don and Paul) celebrated their birthdays last night. Today the team worked on three projects. 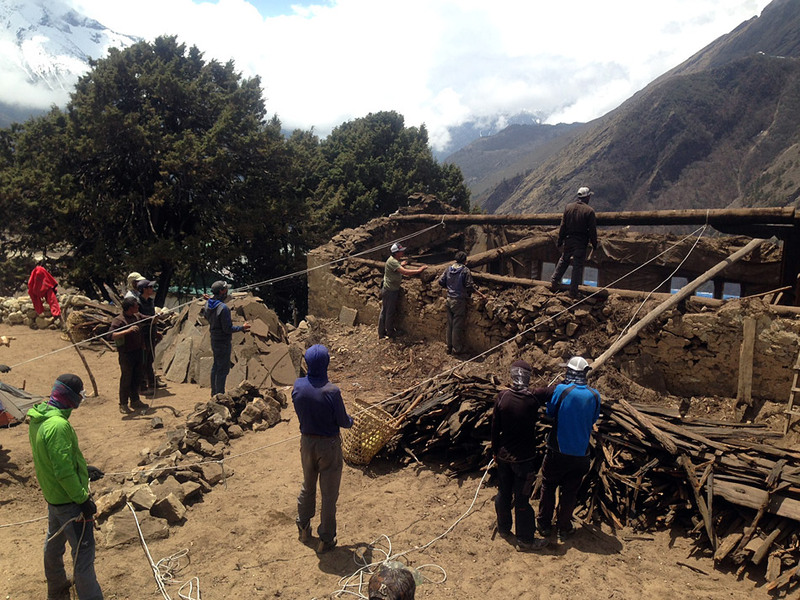 At our sherpa Palden's house they moved debris and helped disassemble the beams (big beams like this are very valuable, and will be used for rebuilding). 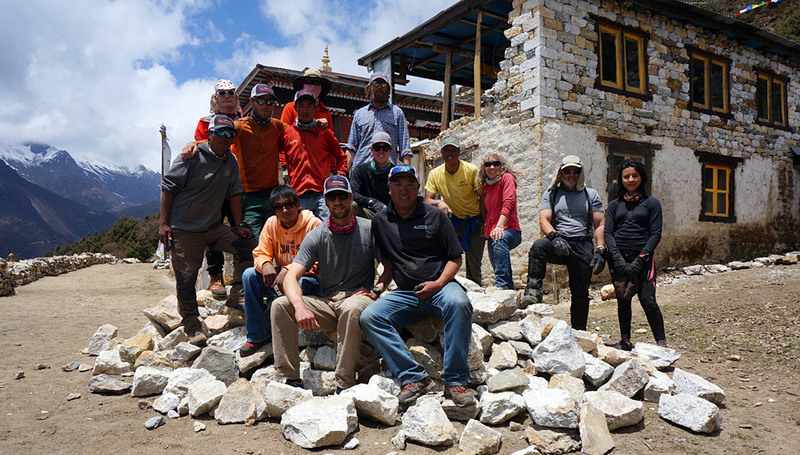 IMG climbers also helped remove a roof on Pendi's house (sister to Phunuru and Jangbu) which was partly destroyed, while other members of the team went up to help remove rubble from the local Phortse monastery. The tentative plan for tomorrow is to take another day in Phortse and do more work in the village, then move to Namche the following day. Meanwhile, Greg and Jangbu have continued down valley to work on the logistics for the next steps of our strategic withdrawal. Greg reports from Tengboche: "I wanted to take a minute while I have internet connection to let everyone at home know how proud I am of this team. Every IMG Team member has been doing his or her part since the earthquake hit Nepal, and their strength and patience has continued as we make our withdrawal down valley. A natural disaster of this size requires us to evaluate every move we make, and we are gathering information constantly. 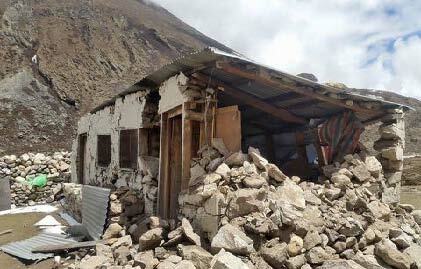 Phortse is a safe place for the team to stay while we evaluate the ongoing situation in Lukla and Kathmandu. Your loved ones are making the best use of their time waiting in Phortse by helping our Sherpa families pick up the pieces. 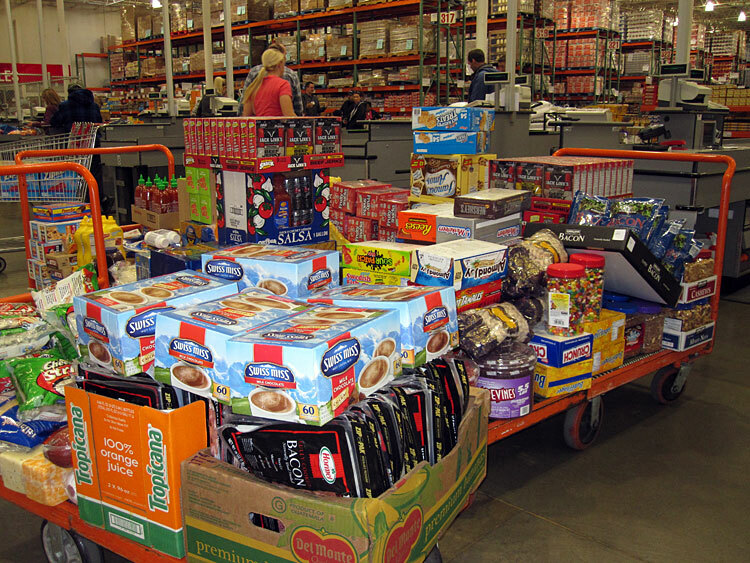 Whatever resources we had to spare at EBC have been sent to families in need. Thank you for your patience and support." We are hearing that there were as many as 1500 people trying to get out of Lukla, and that planes were flown in today to ferry people to Biratnagar (in southern Nepal) to relieve the backlog. 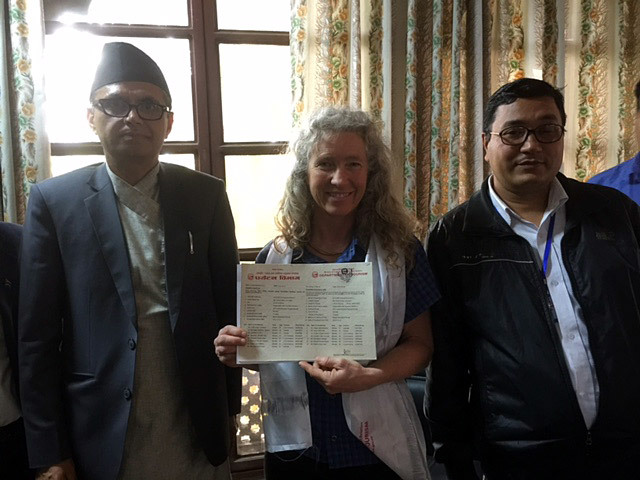 We are hoping that once the backlog is reduced, we will be able to fly our team directly to Kathmandu in a few days. Thursday morning in Nepal. Greg called from EBC to say he and Jangbu were ready to head out. 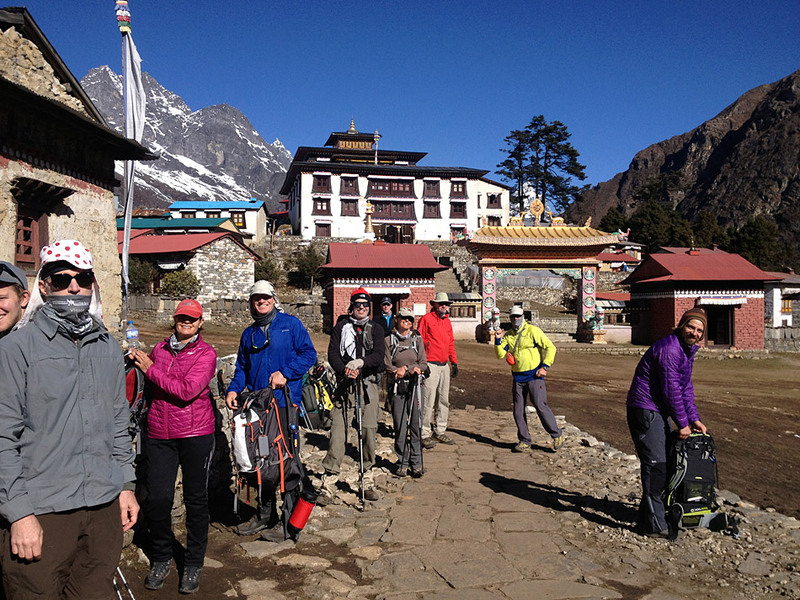 Down in Pheriche the team is up and getting ready to head for Pangboche and Phortse. Emily reports that "most buildings in Pheriche are still standing, but have sustained damage with isolated exterior walls, or sections of walls, collapsed, and interior walls and furnishings hanging in disarray. The ubiquitous stone walls that keep yaks in their pastures are damaged everywhere. We camped out beside the White Yak Inn up behind the HRA clinic, which looks reasonably intact." 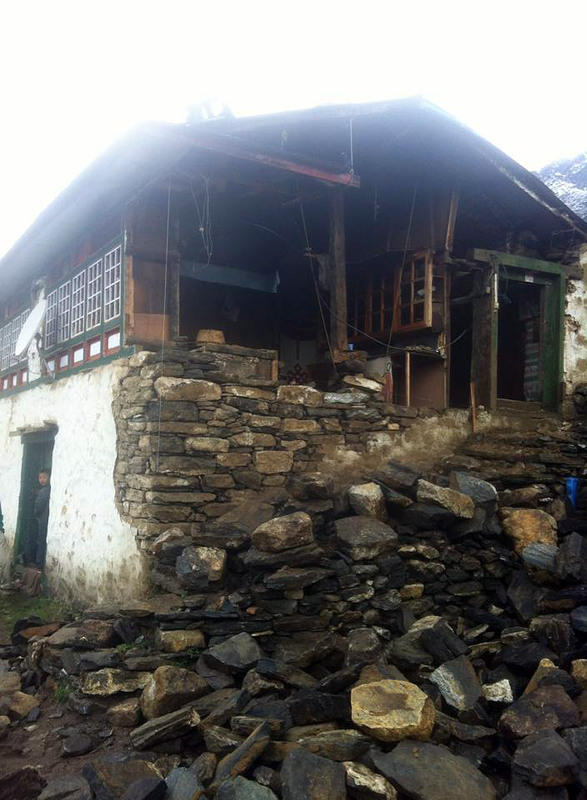 Pasang emailed us some pictures of several of our sherpas' homes that were damaged in Khunde (just above Namche). Sounds like some villages were hit a lot worse than others. 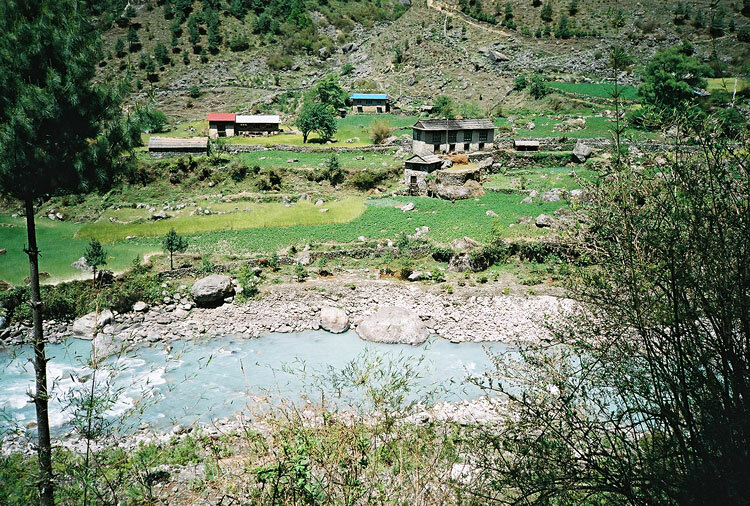 Our team is looking forward to getting to Phortse, the home of many of our staff. Tomorrow the plan is to descend to Pangboche (12,900 ft), then the high trail on the north side of the river to Phortse (12,500 ft). We'll get a report on local damage from the team tomorrow. Greg and Jangbu stayed up at EBC to supervise the packing up of the camp. They will meet the team tomorrow in Phortse. After a good rest day, the IMG team is leaving Base Camp this morning, headed downhill to Pheriche. 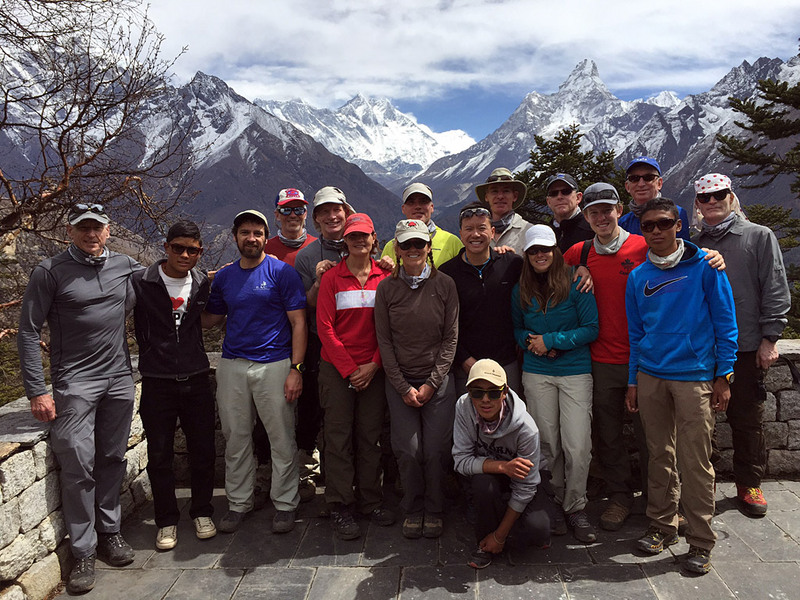 We have 28 climbers and guides, along with two of our cooks, five cook boys, and ten sherpas accompanying them. It is a good, strong team, with plenty of resources to deal with problems that might come up along the way. The rest of the sherpas are staying back a few days at Base Camp to inventory and pack all the gear and move everything over to our store room at Gorak Shep. 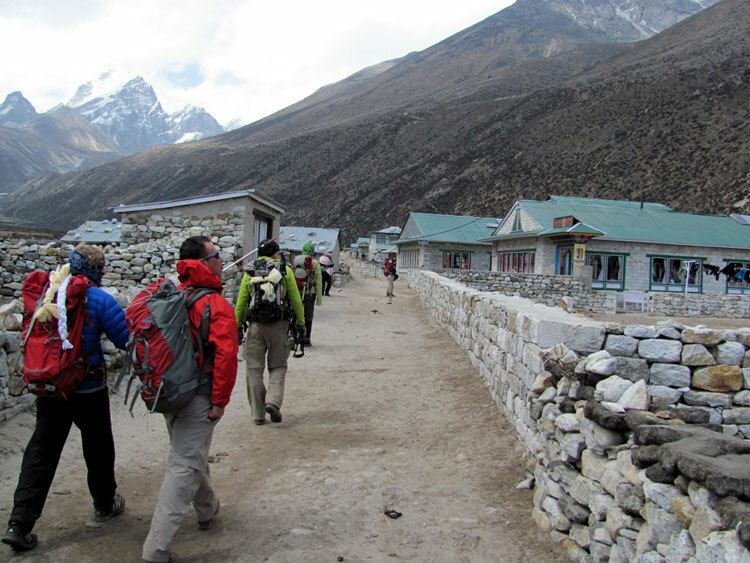 On the hike out the guides are going to survey the damage to homes and lodges in the Khumbu. Quite a number of our blog readers have asked "what can we do to help." 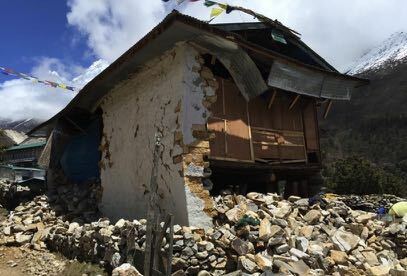 There are plenty of great charities doing fine work in Nepal these days, but we are especially interested in how our IMG sherpas' homes have done in the earthquake. If we can lend a hand, we'll start with the people who have stood with us on the mountain. 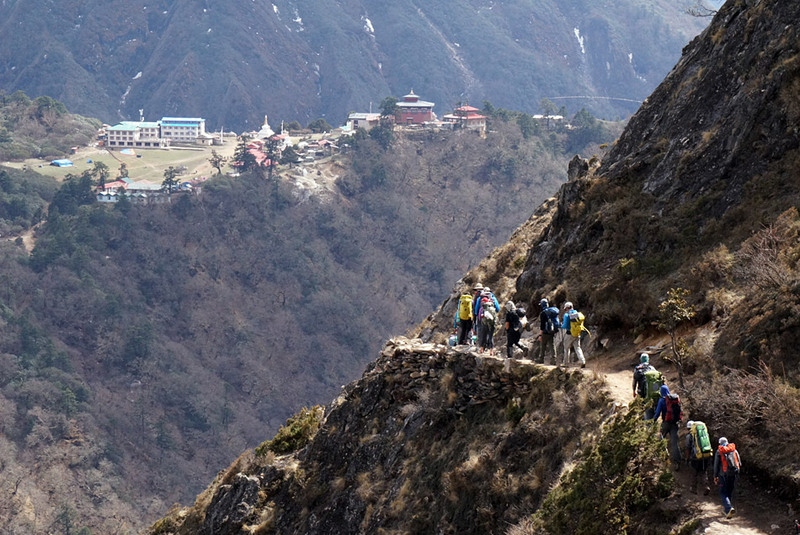 The team plan is to descend via Pangboche and Phortse, where many of our sherpa team live. We'll look forward to sharing this information with our blog readers as the team makes their way back to Kathmandu. Finally, there has been a lot of journalism over the last few days on the subject of the Nepal earthquake and the Everest avalanche. Some has been well written and researched, and some has been... well, not so great. 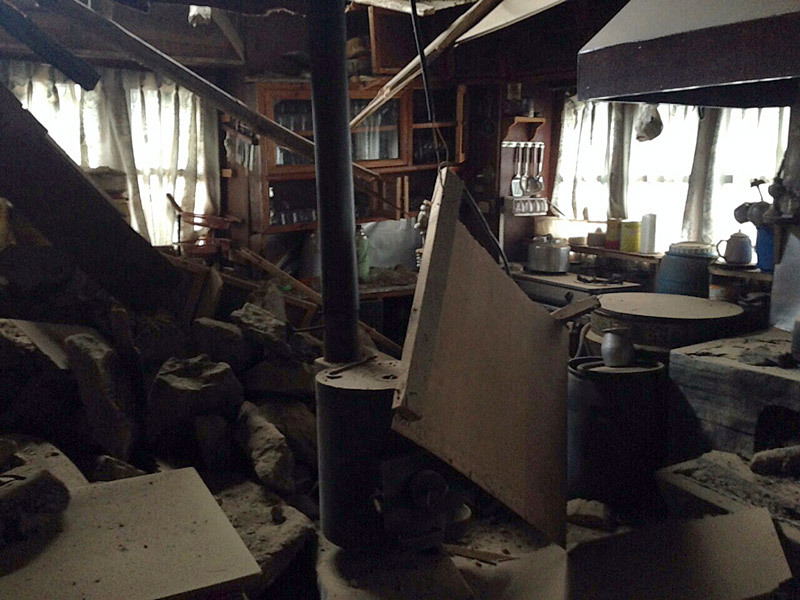 Here are links to two good articles that have recently come out: first, a very interesting summary of the Earthquake published in The New York Times. Second, IMG guide Mike Hamill has described his experience during the avalanche rescue for National Geographic. We'll continue to keep you posted! The early morning fog lifted at EBC enabling a helicopter to fly up and get the last of the gear down from Camp 1, as well as a few remaining climbers from another team who did not come down yesterday. These will be the last of the climbers on the mountain. 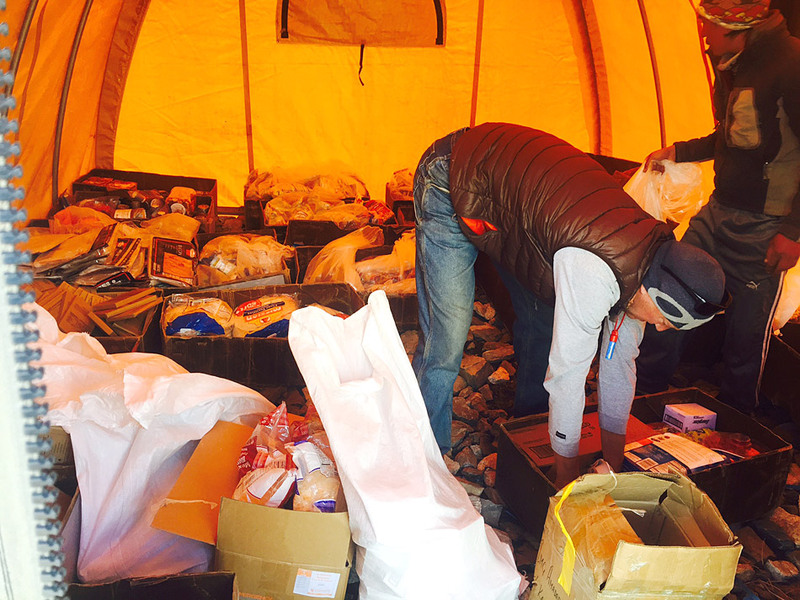 The IMG team are getting packed and organized today and will be heading to Pheriche in the morning with food, fuel, and tents, so they are self-sufficient. 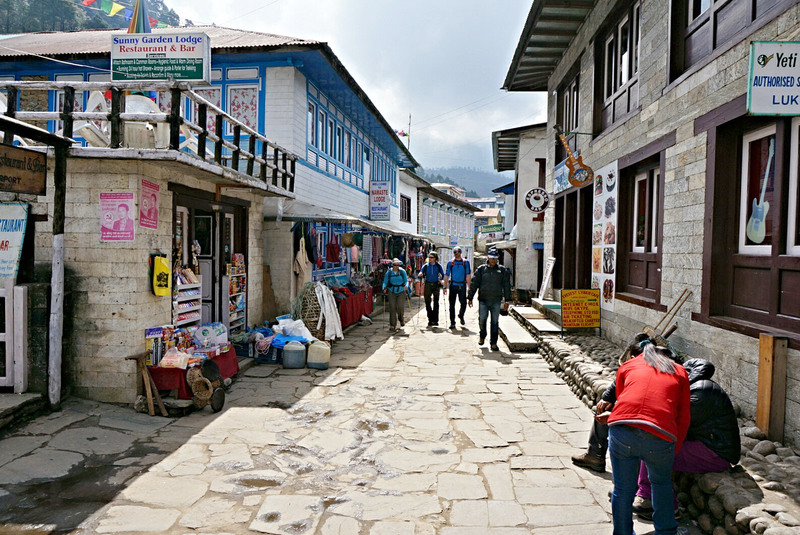 We are hoping that taking a few days to trek down the valley back to Lukla will allow some of the infrastructure to recover in Kathmandu, so things are not quite as chaotic when the team gets back there. It was a big day on the hill for everyone today, but it all worked out well for the IMG crew. 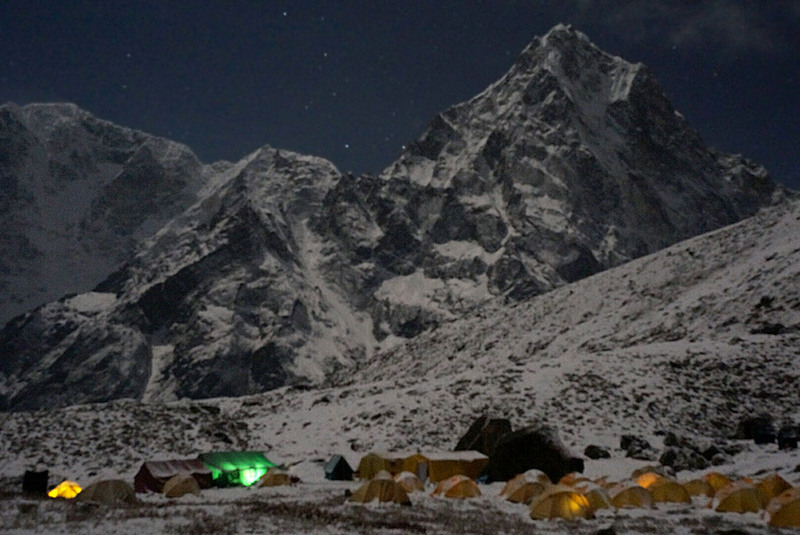 The climbers and sherpas were up at 1am at Camp 2, dismantling that camp and packing it up. They then roped up (due to new crevasses that have opened up) and carefully descended the Cwm to Camp 1. At Camp 1 Justin and Emily helped maintain order as more than 150 climbers from various teams were flown down over the course of the day. Down at Base Camp Greg, Jangbu, Mike, and Luke received the climbers and kept things running smoothly, with up to four helicopters flying at the same time, each making 6-10 minute roundtrip laps to Camp 1. 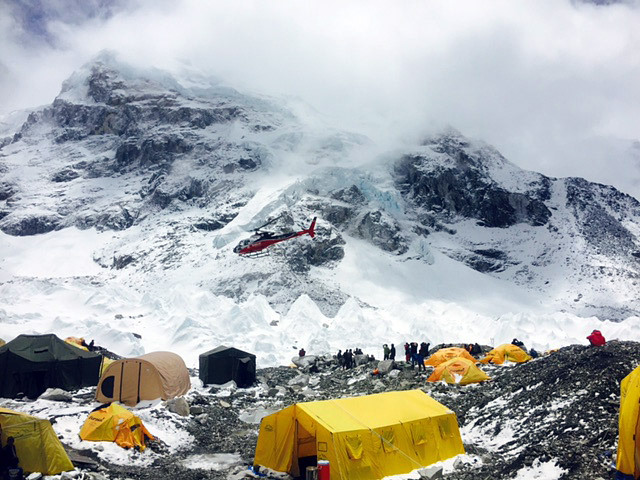 For the IMG team, it took 32 flights to get our 25 climbers and 33 sherpas all flown down. We still have some gear left at Camp 1, and we are hoping to get some more helicopter flights in tomorrow to recover this gear. 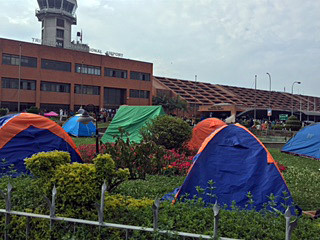 Back in Kathmandu, Pasang says that food and water are in very short supply, electricity is out, and tens of thousands of people are camping out in open areas because they are afraid of entering damaged buildings, as the aftershocks continue. Because of that, we need to make a strategic withdrawal from the mountain. The plan for tomorrow is for the team to take a rest day at EBC, get packed up and organized, and then move the following day down to Pheriche with tents, stoves, food, etc. 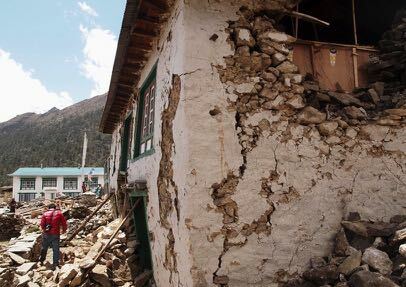 We know there has been a lot of damage in many of the villages, so we will need to be self-sufficient as we make our way out of the Khumbu, assuming nothing will be available for us along the way. To reiterate, everyone is safe on our team, we have sufficient food and fuel, and we intend to be thoughtful and considered with our withdrawal from the mountain, proceeding with caution rather than rushing into an uncontrolled situation. The weather is OK this morning, and we have several of the high performance AS350 B3e helicopters making laps between BC and Camp 1. 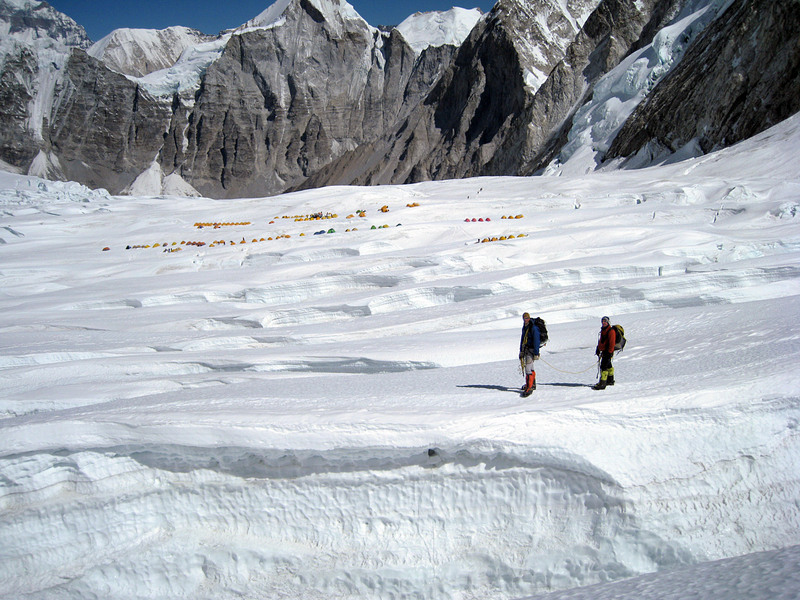 The Camp 2 climbers are descending to Camp 1. We are hoping that we can get everyone flown down today. After the injured climbers were evacuated this morning from Base Camp, and before the clouds came in this afternoon and shut down the helicopter operations for the day, we had a reconnaissance of the Khumbu Icefall route from the air. Bottom line is that the route is badly broken up, many ladders are lost, and ropes buried. IMG guide Justin Merle and several guides from other teams descended from Camp 1 to observe the upper route and they confirm this. Several violent aftershocks have also caused more ice to collapse in the Icefall. Bottom line is that the Icefall route is not safe to descend at this time, so we are working on a plan to evacuate the climbers and sherpas up in the Western Cwm by helicopter down to EBC and are hoping for good weather again tomorrow to start this operation. 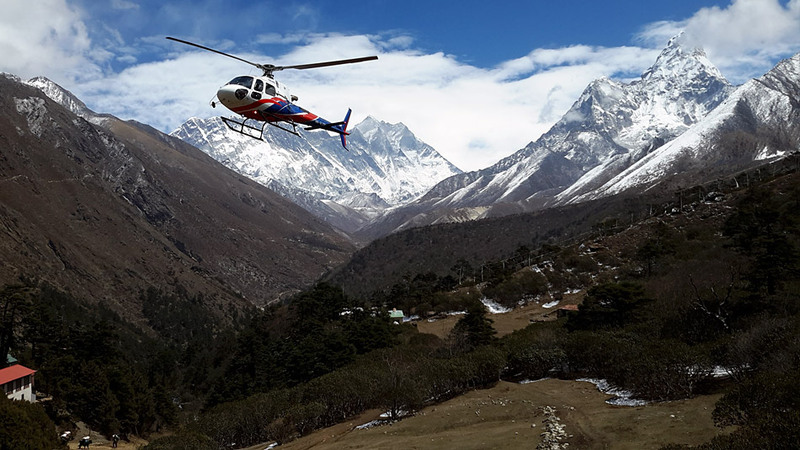 Good news: IMG leaders Greg and Jangbu report that the weather is decent this morning at Everest Base Camp, allowing a steady stream of helicopters to make it in and evacuate people with injuries. Once that is finished, a helicopter will be used to carefully inspect the Icefall Route from the air. 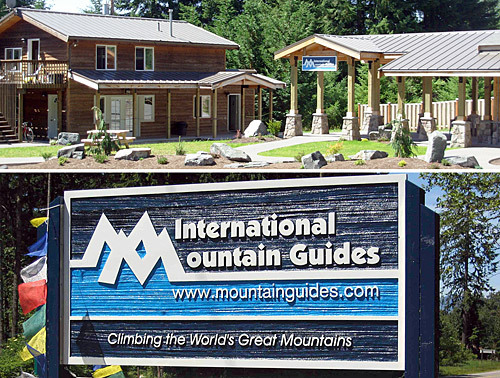 Our IMG climbers at Camps 1 and 2 are all doing well. 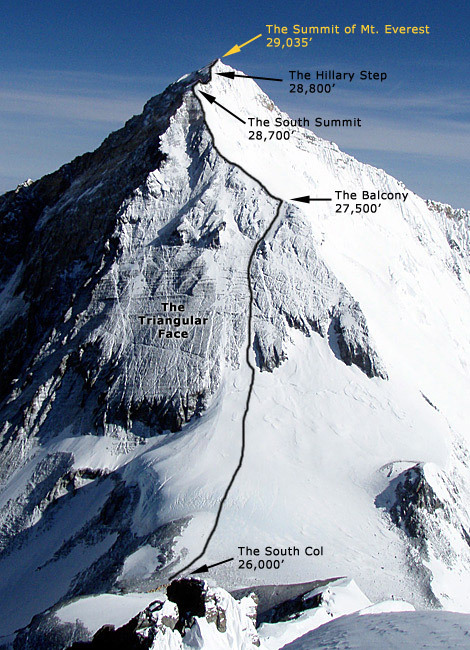 The plan remains for them to stay up there and not descend until the Icefall route is checked out (not today, maybe tomorrow). Greg says that while the main focus at EBC yesterday was the care of the injured, today there remains a lot of work to do digging through the avalanche debris at the upper EBC site to recover any further missing climbers. 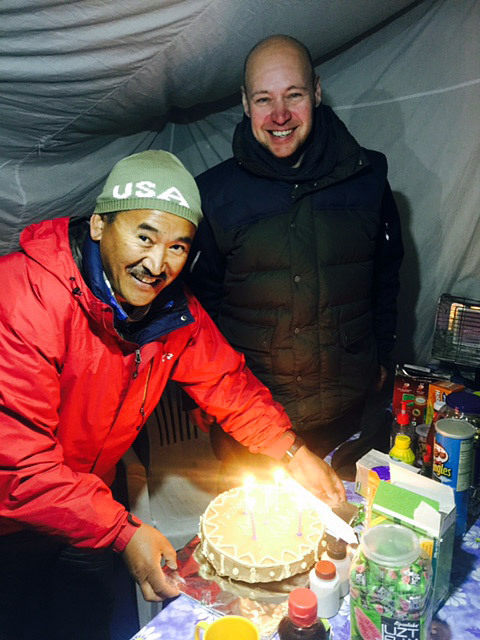 I have talked several times to Greg and Jangbu on the sat phone from Base Camp, and also to our teams up at Camps 1 and 2. 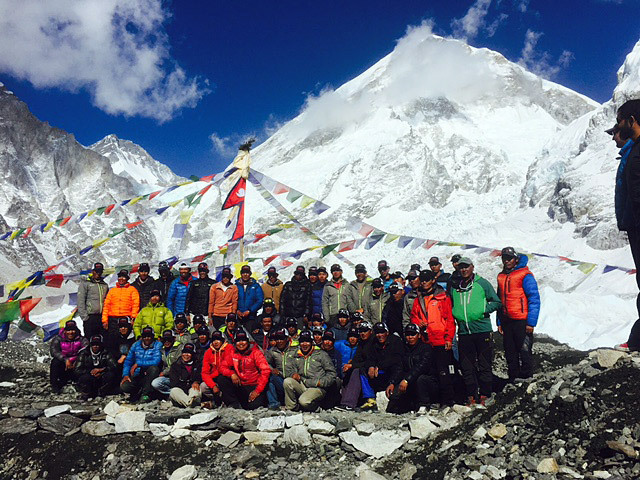 All the IMG members and sherpas are safe. 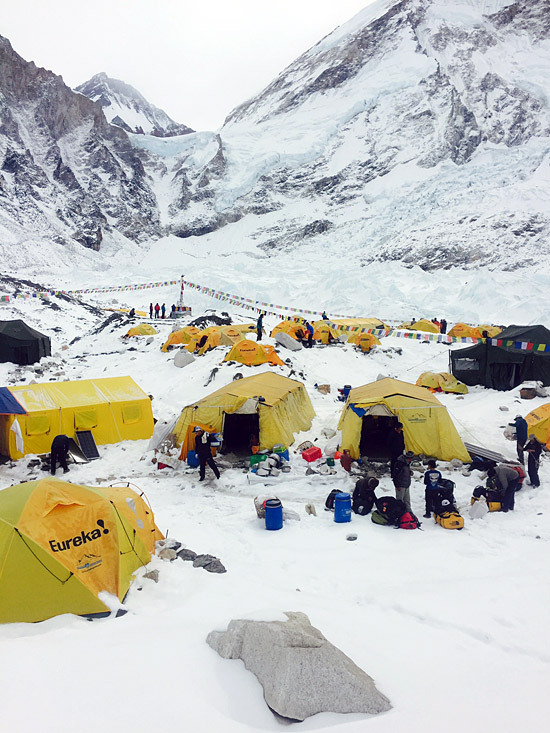 The many climbers up at Camps 1 and 2 from several different teams are all doing well, and we feel there is no rush to bring them down to the current situation in Base Camp until things have stabilized, and we have had a chance to re-evaluate the Icefall route. This saddle is at 6150m and EBC is 5360m, so the difference is 790m (or about 2,591 ft). The tons and tons of falling ice going this vertical distance created a huge aerosol avalanche and accompanying air blast that hit the upper part of Everest BC and blew many tents across the Khumbu Glacier towards the lower Icefall. 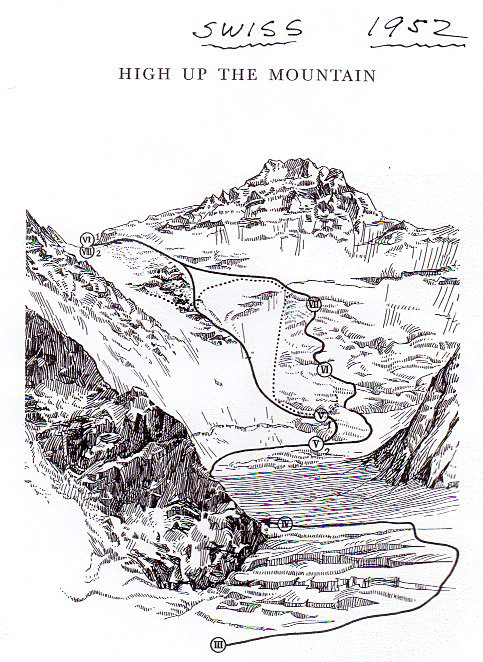 Apparently the air blast and earthquake also caused many big rocks to shift around as well, which were the cause of some of the crushing injuries suffered by climbers in these upper base camps. 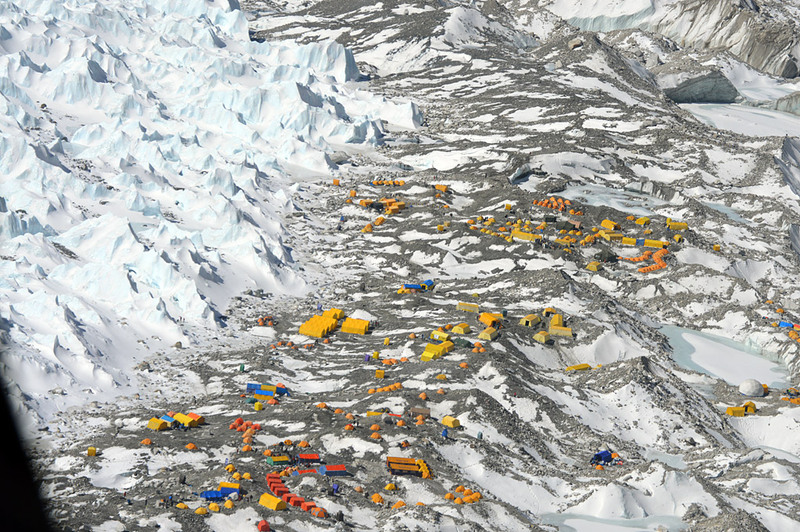 The base camps farther down the glacier (like the IMG camp) were untouched. It is worth noting that over many expeditions we have never seen an avalanche from this area that was even remotely of this scale. It was truly a freak event caused by a tremendous earthquake. Greg reports that the IMG Base Camp has been turned into a triage center, and our big dining tents are now being used as hospital tents. 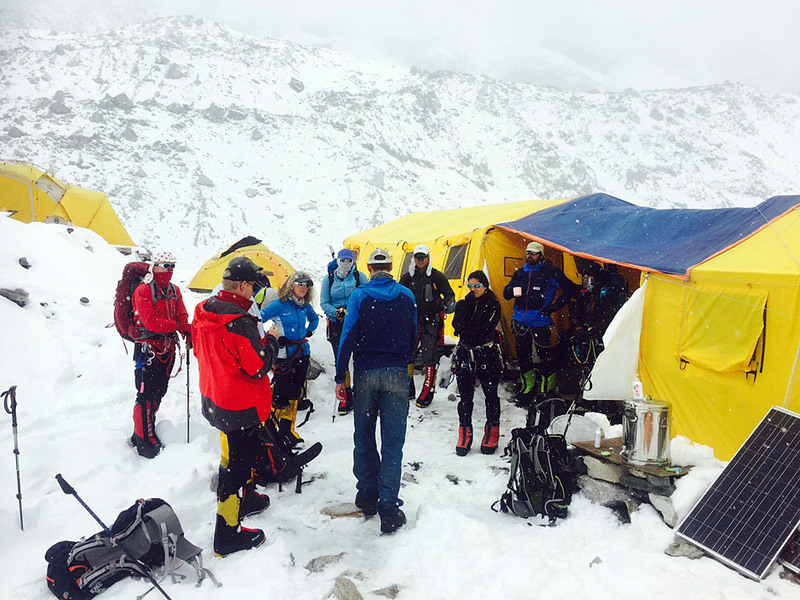 Asian Trekking and Himex are also treating injured climbers at their camps. Current reports are 14 dead and about 50 injured. 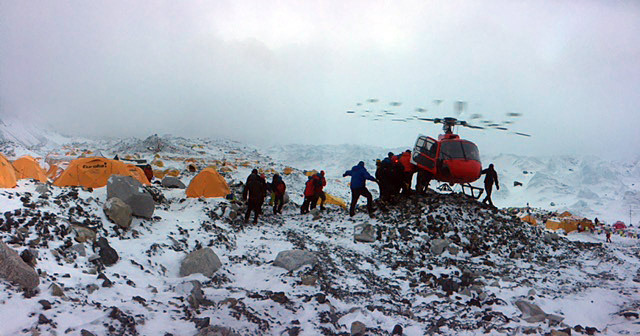 It snowed all afternoon and no helicopters were able to reach Base Camp today. There are a number of helicopters on standby in Lukla ready to fly as soon as the weather improves, hopefully first thing in the morning tomorrow. 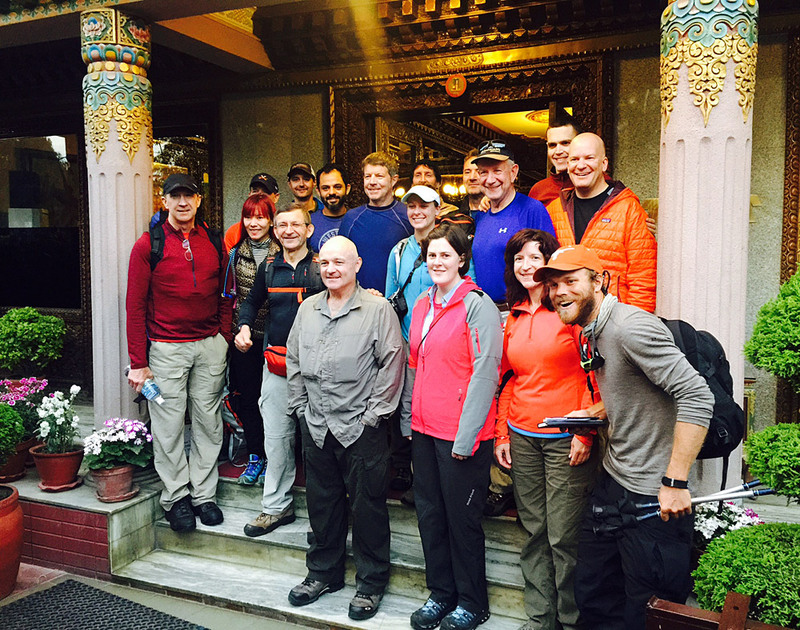 Down in Kathmandu, our partner Pasang reports that the final group of IMG trekkers all reached Kathmandu before the earthquake struck and are safe and sound at Hotel Tibet. There are a lot of damaged buildings (mainly the old ones built of brick). It sounds like a real mess down there too. Everyone is doing the best they can to deal with a very difficult situation. 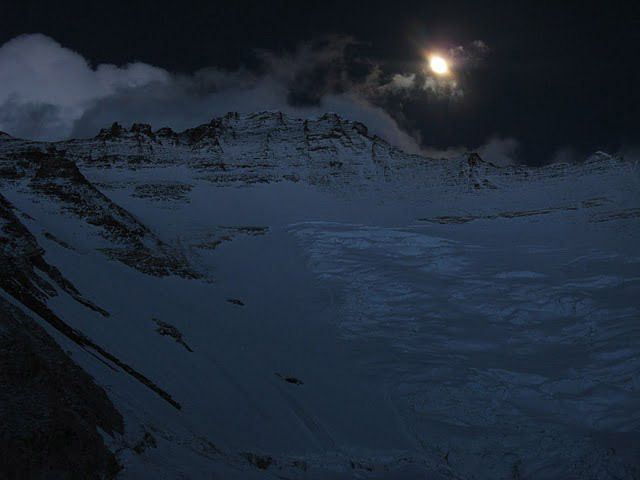 The team called from base camp (around 1pm Nepal time) to let us know there's been an earthquake, but that everyone on the IMG team (members and Sherpas) in all camps are ok.
Andy and the Hybrid team had a good night at Camp 1 and a nice walk part way up the Western Cwm. 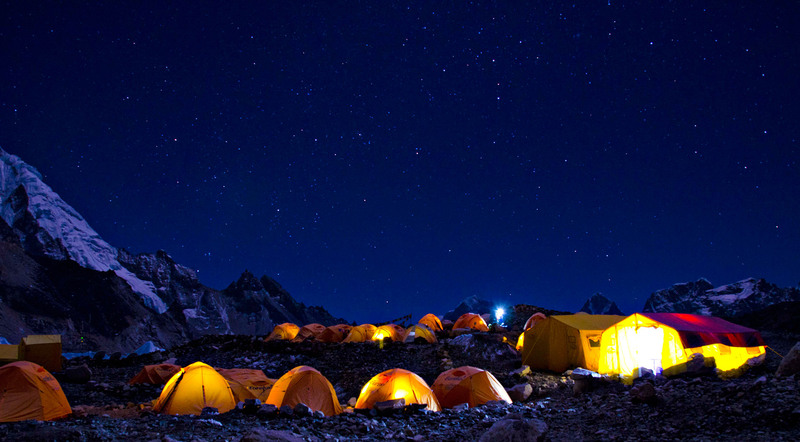 Tomorrow, they will move up to Camp 2. The first wave of the Classic Team will be on the move early tomorrow morning, with their plan to also spend a couple nights at Camp 1 for acclimatization, and then move up to Camp 2. 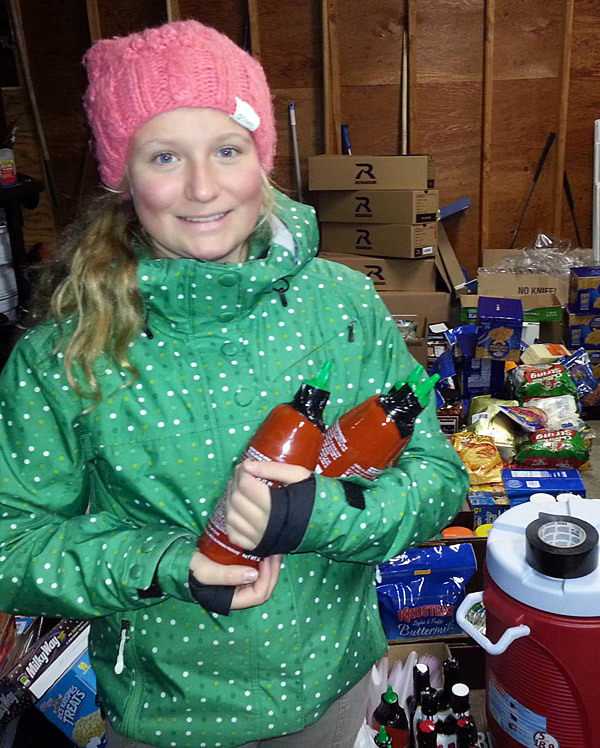 Today, they packed their Camp 1 food and the gear they will need on the upper mountain. Looking at the weather forecasts, it looks like we are settling into more "normal" Everest weather. Calm and clear mornings and overcast afternoons with some snow flurries. Let's just not have too many snow flurries; it has been wet enough this spring! The good news is that the winds have been low, as we are between two jetstream tracks. Over the next few days it looks like we will continue to get moisture pumped into the area. 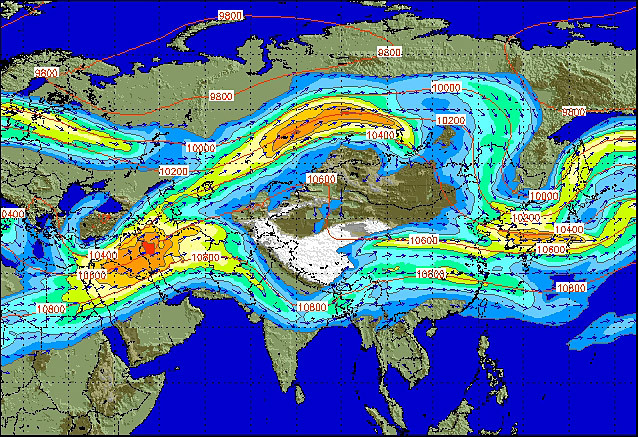 Then, by the 29th, the jet stream is predicted to move east and push over the top of Mt. Everest. All is well on Everest. 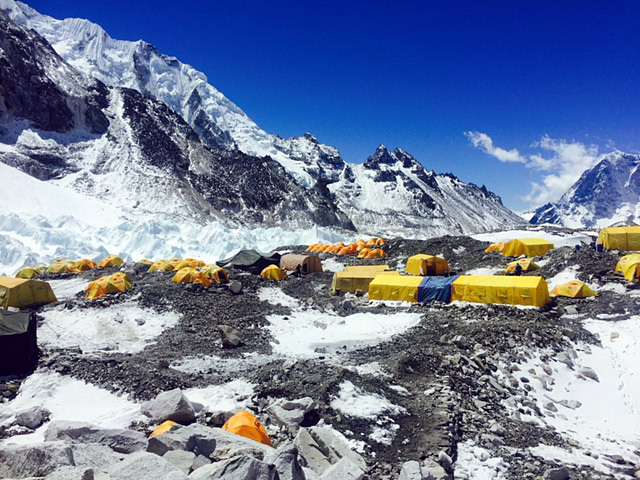 Greg and Jangbu report from Everest BC that Karma Rita and our sherpa team up at Camp 2 are making good progress on getting that camp built. First they needed to build the tent platforms, and now they now have two big dining tents and the kitchen tent erected. Next, they will be building the platforms for all the smaller sleeping tents. 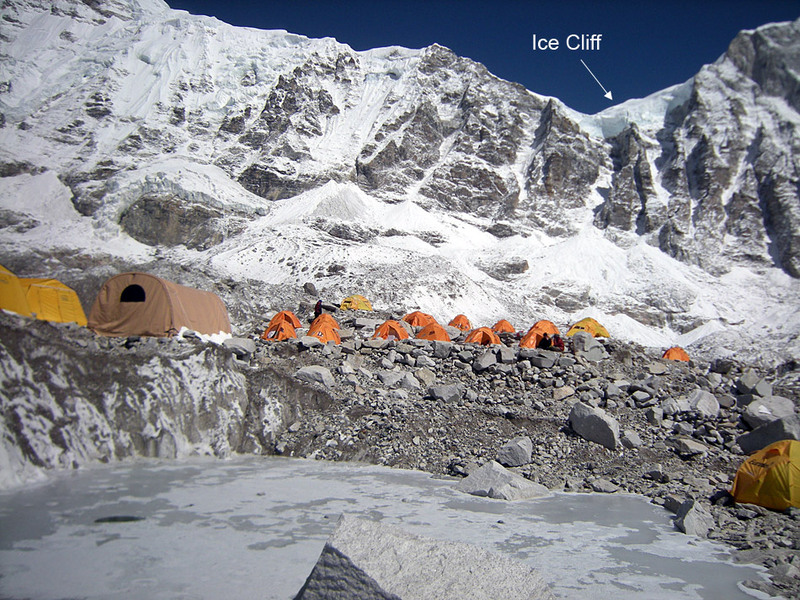 Their timing is good, because today our first climbers moved up the Icefall to Camp 1. 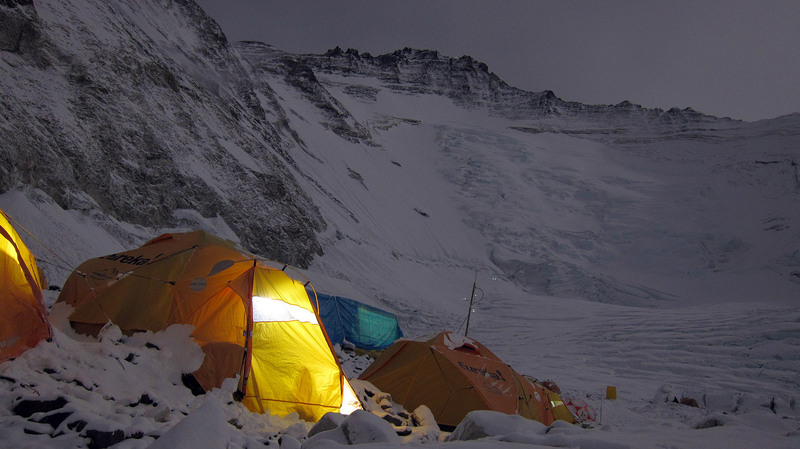 Hybrid team guide Andy Polloczek reports that all is well up at Camp 1. 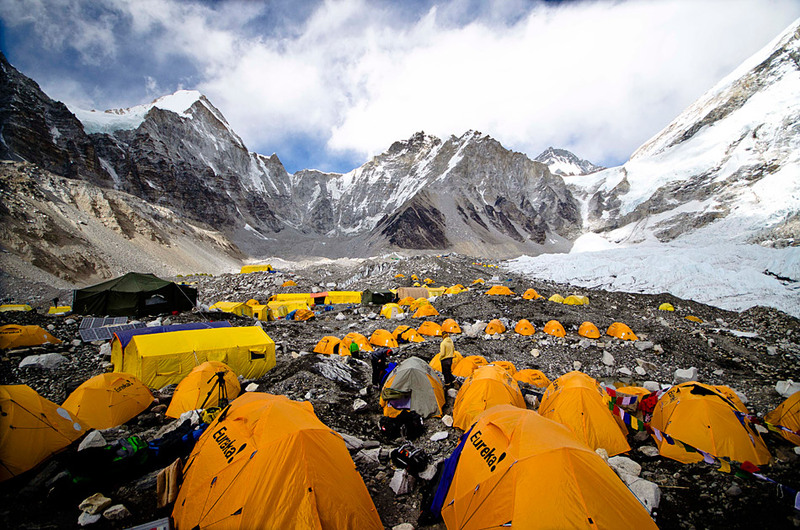 The Hybrid climbers and their personal sherpas will spend an acclimatization day at Camp 1 tomorrow and then move up to Camp 2 the following day. Tomorrow morning we have more climbers starting up, and the first team of Classic climbers and their personal sherpas are planning to go up the following day. 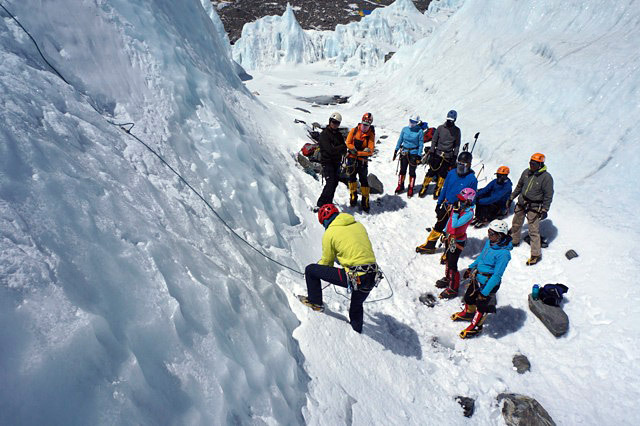 This is an exciting time for everyone, as the climbers finally come face to face with the famous Icefall. I remember very well my first trip up there and the incredible feeling of satisfaction and relief as we climbed over the top of the final ice ladder section, felt the warmth of the sun, and saw the first big view up the Western Cwm. Pretty hard to describe unless you have experienced it! Over the next several weeks our team members will be making two "acclimatization rotations." 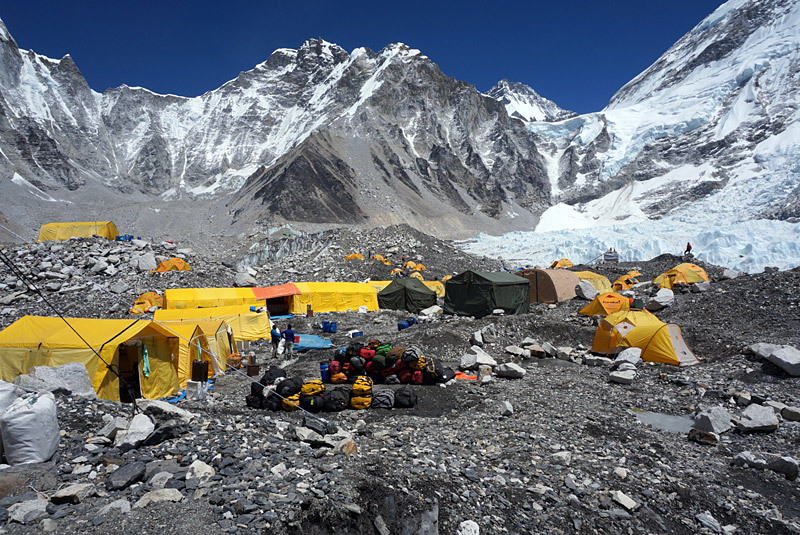 The first rotation, which is now starting, will see the climbers spending several nights up at Camp 2 and maybe hiking up to the base of the Lhotse Face before coming back down. 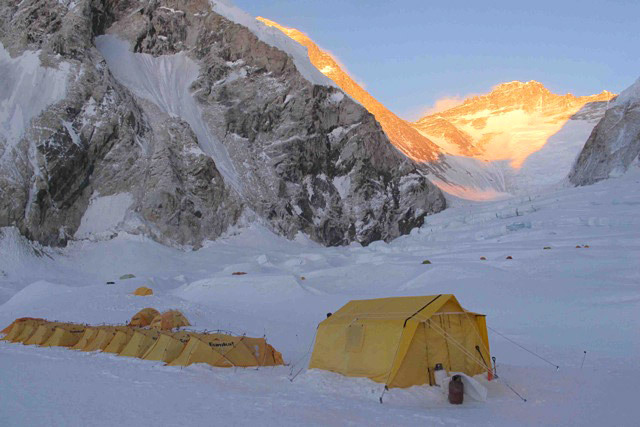 Then the second rotation will take them up to Camp 3 (24,000 ft) for an overnight stay. 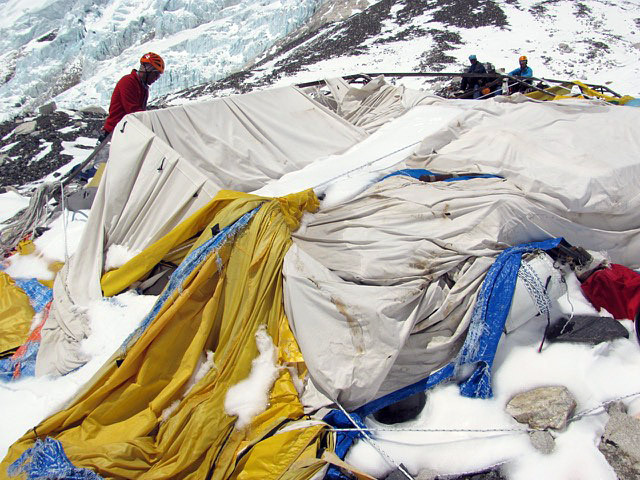 Before the second rotation can happen, however, 1300 kg of rope and supplies will need to be transported to Camp 2 for fixing the route above. IMG (in addition to the other expeditions) have signed a petition to the Nepal government to allow this gear to be flown by heli to Camp 2, but if that does not happen then it will go up the old fashioned way. Our Team is Healthy and Strong! 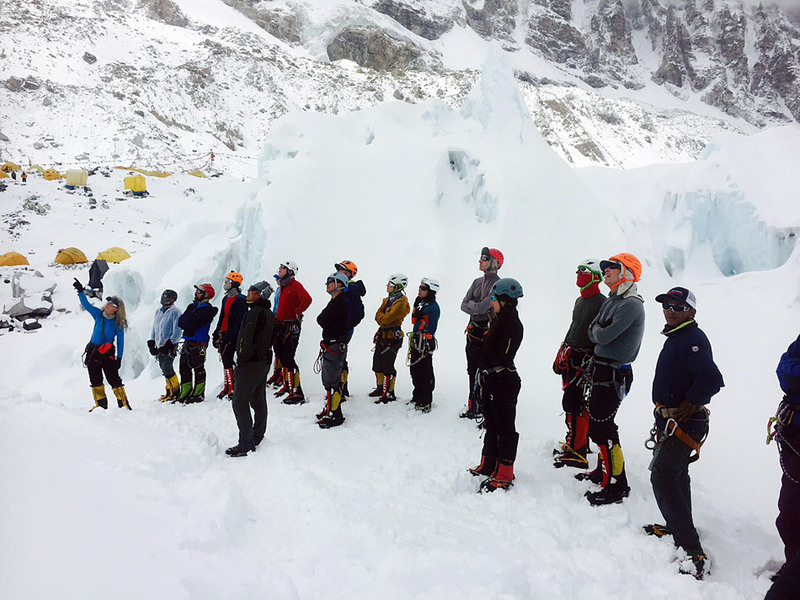 The first wave of the Classic Team had their "dress rehearsal" this morning in the Icefall. Everyone did a great job. 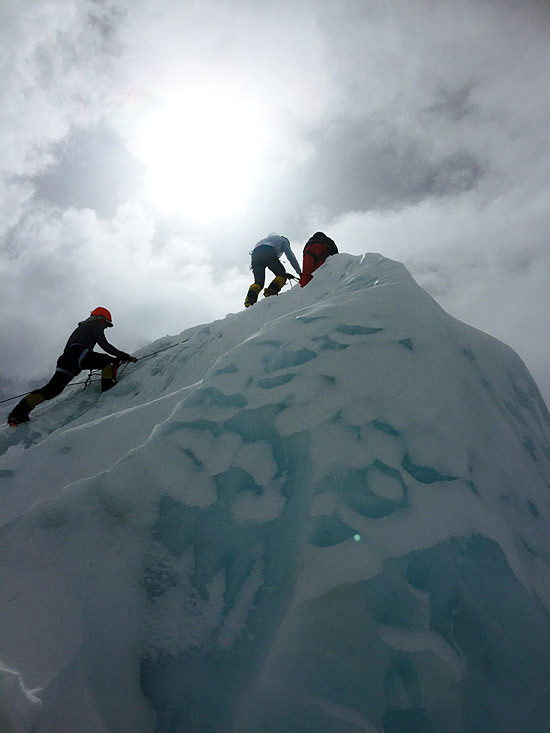 The reports from all climbers is that the lower half of the Icefall is smooth and "fun." Bottom line here is that when I see this many climbers with their sherpa coming into camp, smiling and giving high fives, that is a good sign. I enjoy waking up with the climbers and observing their routines. Our entire team has a pretty good system which will get fine tuned a little more as the season continues. Our Hybrid Team will head up to Camp 1 tomorrow morning for their Camp 1 and 2 rotation. 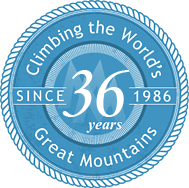 Our Second Wave of Classic Climbers will head into the Icefall for their dress rehearsal. 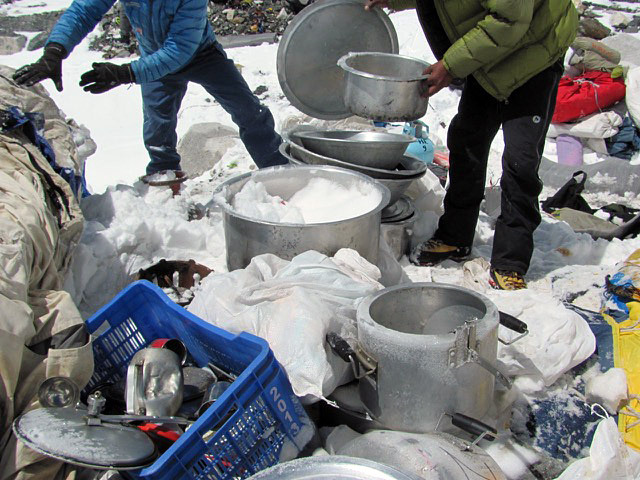 Up at Camp 2, our sherpa team headed up by Karma Rita is making tent platforms and getting the kitchen together. 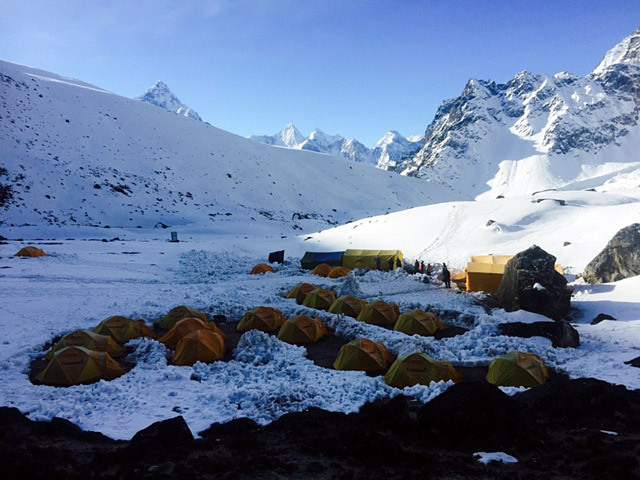 There is a lot of movement within our camp, and we are looking forward to getting more views of the Lhotse Face and the upper mountain soon! 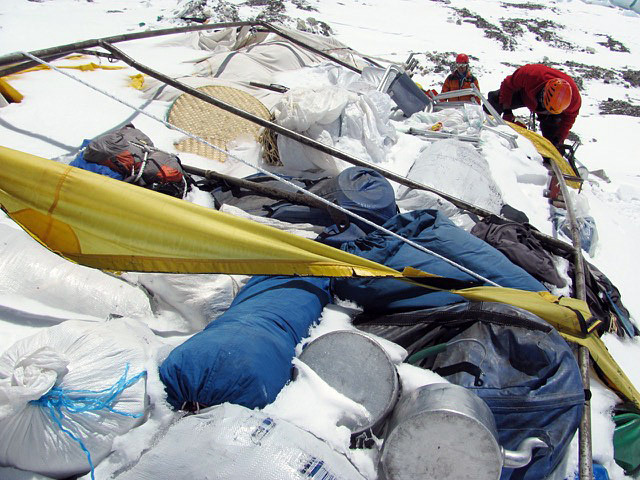 Greg and Jangbu called on the sat phone to report that the sherpas finished excavating the Camp 2 cache (which was buried by all the snow) and inventoried all the gear left after 2014. After spending the night up there, they descended (along with Max Bunce who overnighted at Camp 1) back to Base Camp this morning. They all report that the route was smooth and fast, with several very steep sections (one of which has six ladder sections in a row tied together up a vertical ice wall). 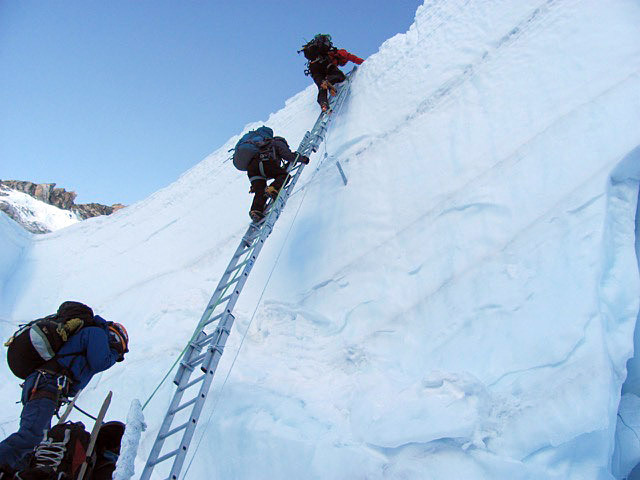 The Icefall Doctors were back at work today, installing some additional ladders. 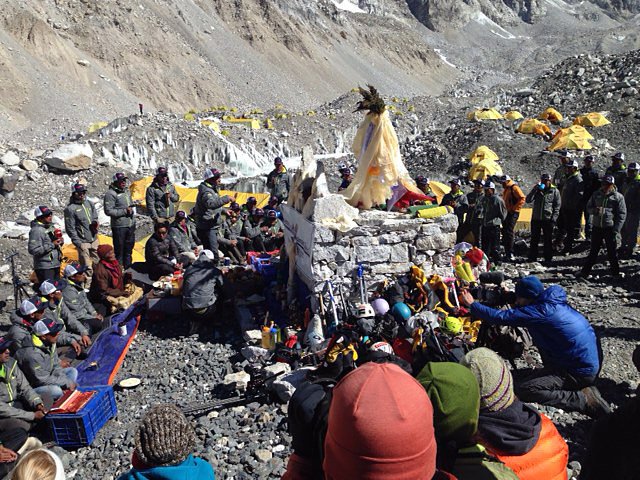 Today was probably the only day of the expedition that the entire team was together at EBC, and it was the members' turn to do their puja ceremony and receive the traditional sherpa blessing for good luck on the climb. The weather was excellent, and everyone had a great time. Greg says they took a lot of photos of the team (and also the Icefall) which they will try to send as soon as the internet is back up. The plan for tomorrow is for 18 IMG sherpas to carry to Camp 1 and descend, while another 11 will go to Camp 2 with Karma Rita, planning to stay up there and work on getting the camp built. Also, tomorrow, we have 14 Classic climbers with their personal sherpas and Emily Johnston heading up into the Icefall for their dry run. The Hybrid team is now planning to go to Camp 1 the following day. Good news: the route is open to Camps 1 and 2! 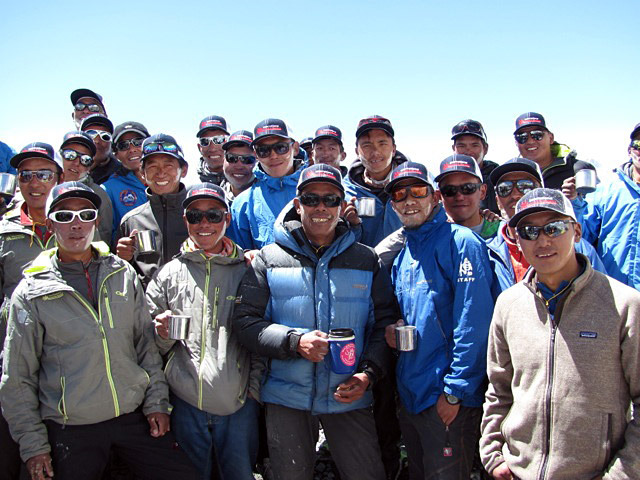 IMG leaders Greg and Jangbu report that 31 IMG sherpas were able to reach Camp 1 today and seven continued on up to Camp 2. Apparently the snow was very deep above the Icefall, knee to thigh deep most of the way up the Western Cwm, with waist deep snow in places! 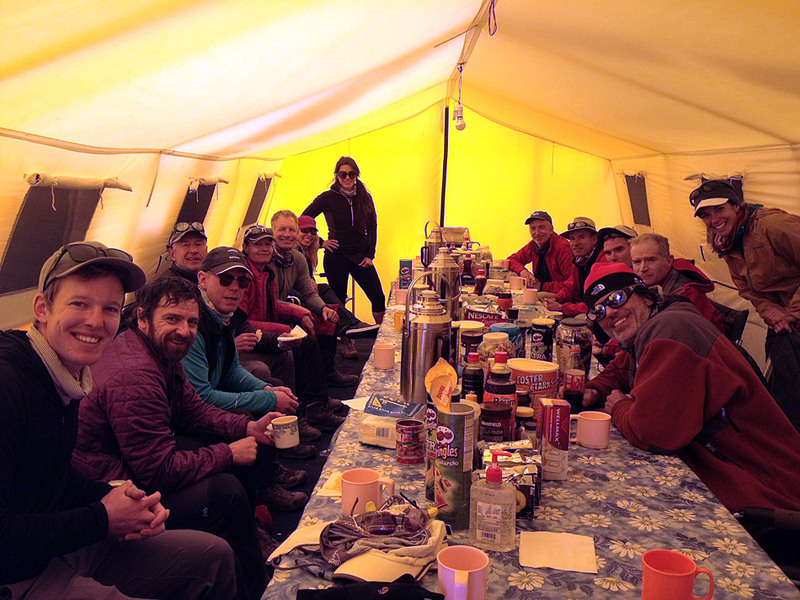 Our Camp 2 team was joined by sherpas from the other companies that cached gear with IMG after the 2014 expedition. They were able to locate the Camp 2 cache and are working on excavating and inventorying it. 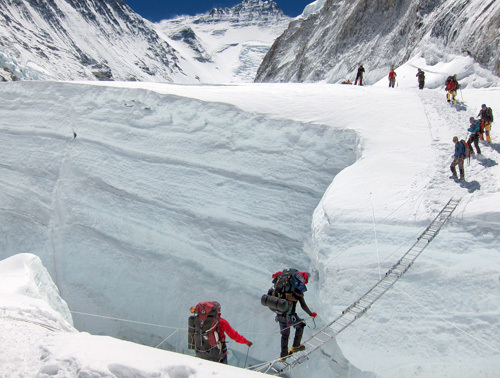 The sherpas will stay up there to finish the job and come back down tomorrow. 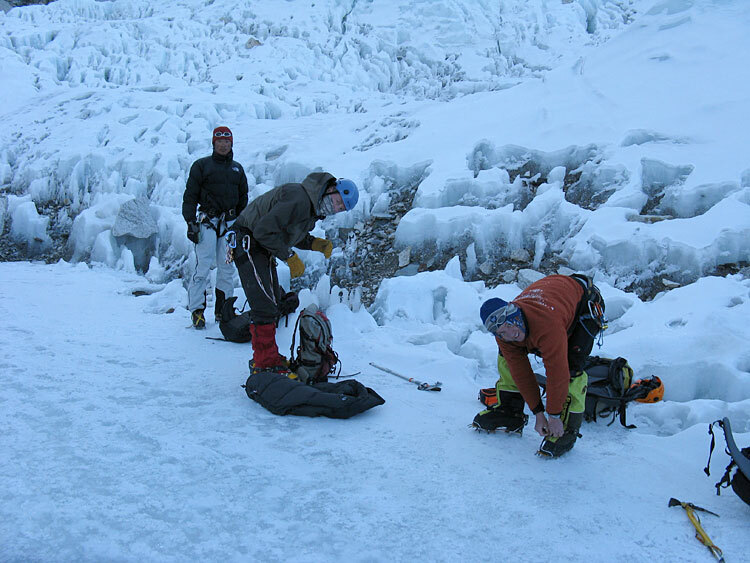 IMG guides Merle, Hamill, and Polloczek also went up the Icefall to the Football field, guide Max Bunce continued up to Camp 1, and they report that the ropes and ladders in the Icefall look good and are ready for our team. Luke Reilly and the last Lobuche team moved up to EBC today, so all the IMG climbers are now in Base Camp. Greg reports that everyone is healthy and doing well. 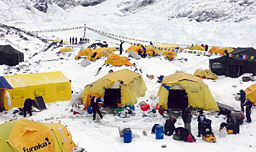 The plan for tomorrow is for the climbers to have their puja ceremony at Base Camp. 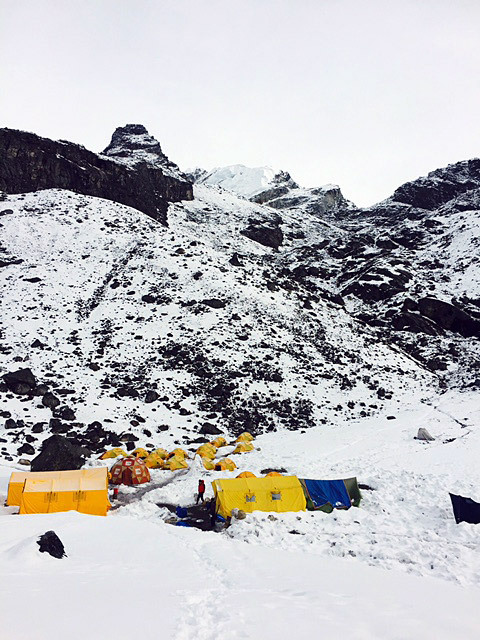 Meanwhile, the sherpas will continue to work on Camps 1 and 2 with the hope that the first IMG climbers can start their rotations up there day after tomorrow. The only glitch right now is that the internet is down at Base Camp. Apparently a windstorm damaged an antenna down near Ama Dablam. 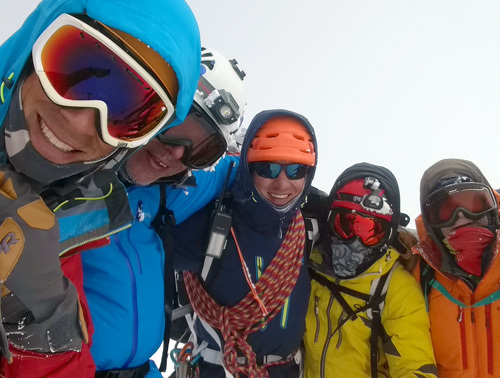 Greg reports from Base Camp that IMG guide Luke Reilly and the final team of Classic climbers reached the summit of Lobuche Peak and have now safely descended. 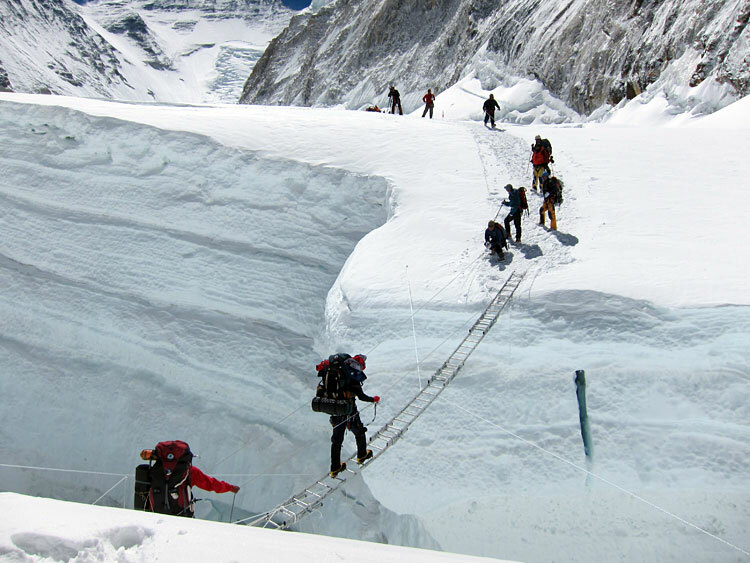 They will be moving back up to Everest Base Camp in the next couple days. 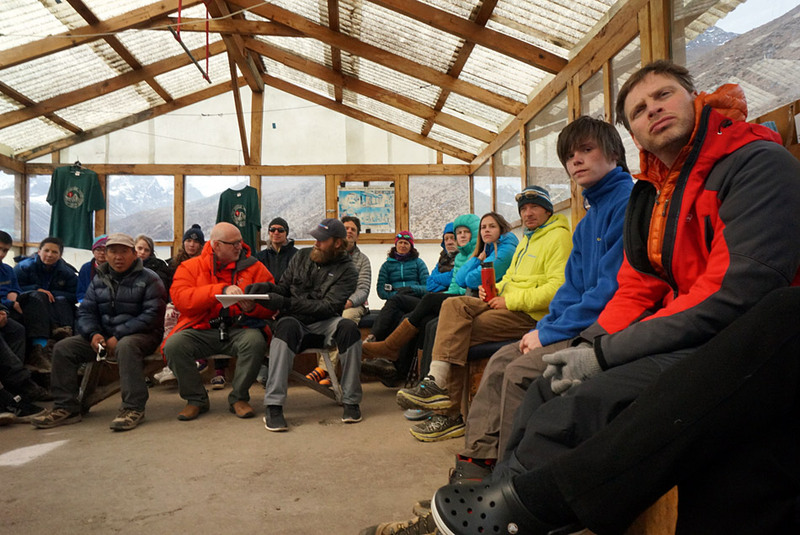 That wraps up our Lobuche program for the spring season, and this camp and fixed ropes will now be removed. Thanks again to our stalwart Lobuche crew, including climbing sherpas Tashi Tsering and Karma Rita, and head cook Jor Bahadur. Up at EBC, Justin, Andy, and the Hybrid team did a dry run today up into the lower Icefall to get a feel for the ladders and terrain. The Icefall Doctors were working today higher up, repairing the route and getting the trail opened up after all the snowfall. The weather has been frustrating but finally shows signs of improving. 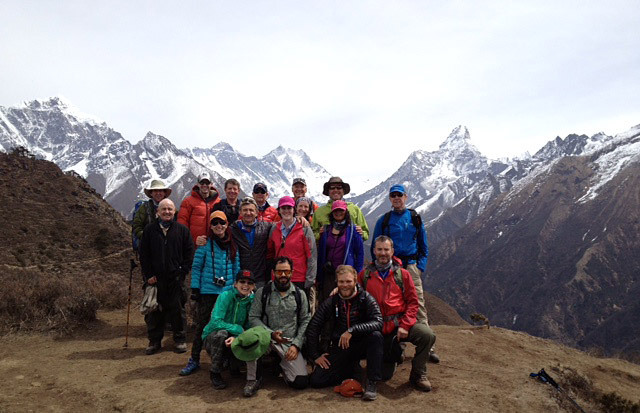 The sherpa team is ready to take another crack at getting up to Camps 1 and 2 tomorrow. 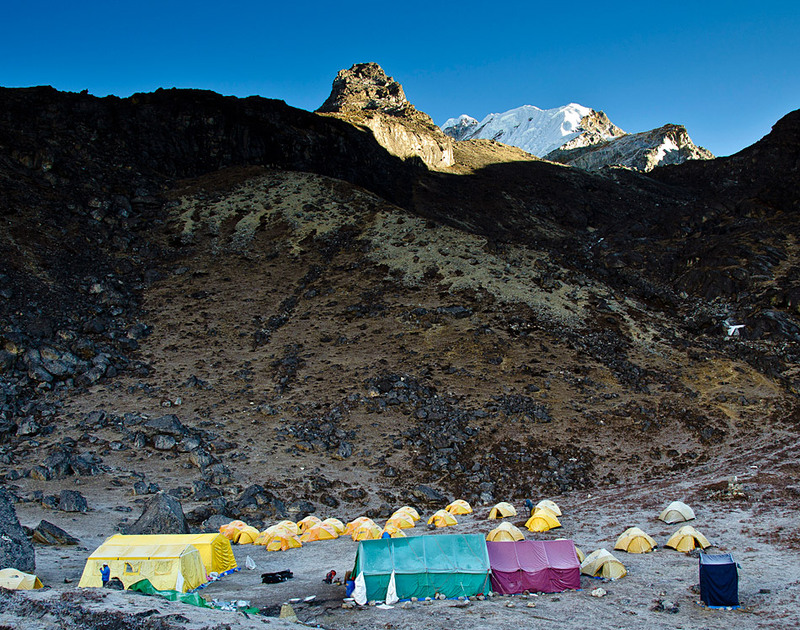 The Sherpa were up early today and headed for Camp 1. 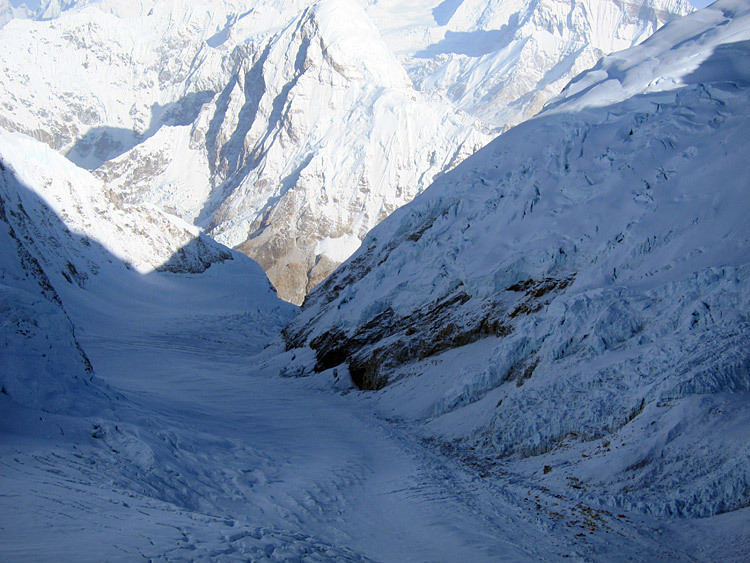 This would be our first look at the new route up the center of the Icefall with our own eyes. The route started off well from Crampon Point over the rolls. Our thirteen sherpa were making good time on the lower end. As our sherpa entered the Popcorn section, about halfway up, the snow got deeper from the storm that we have been on the edge of. The snow was thigh deep, and they were pulling out the fixed rope from the deep snow. 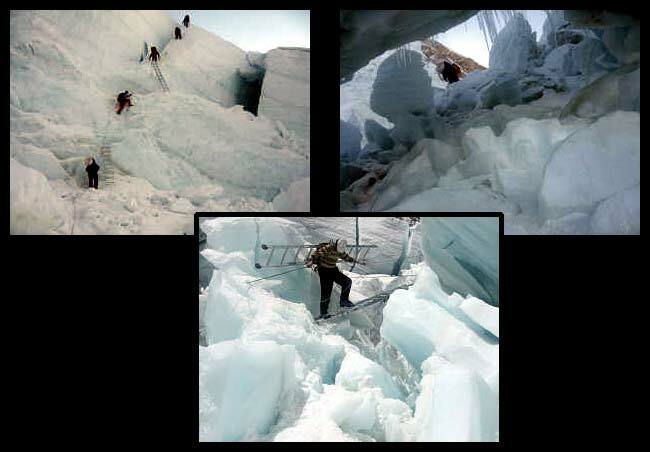 Our sherpa are strong, and they kept going until the rope could not be pulled any longer, and they came to a crevasse that was missing a few ladders. The ladders were out from a piece of ice that had fallen. 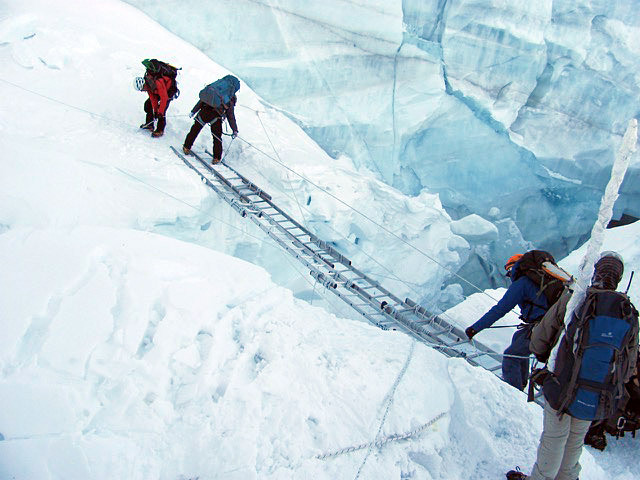 They called on the radio, and we got in touch with the Icefall Doctors. 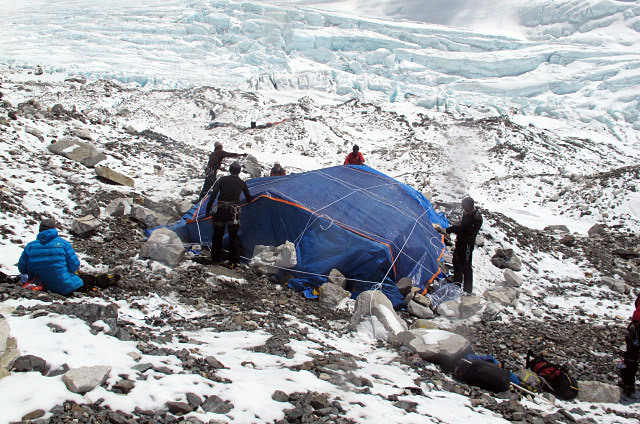 Our sherpas descended back to Base Camp and the Icefall Doctors went up and repaired the route. We'll try again tomorrow to get up to the Western Cwm! Luke and the final wave of Classic Climbers took a rest day at Lobuche Base Camp today. It is working out well because it is snowing again right now. 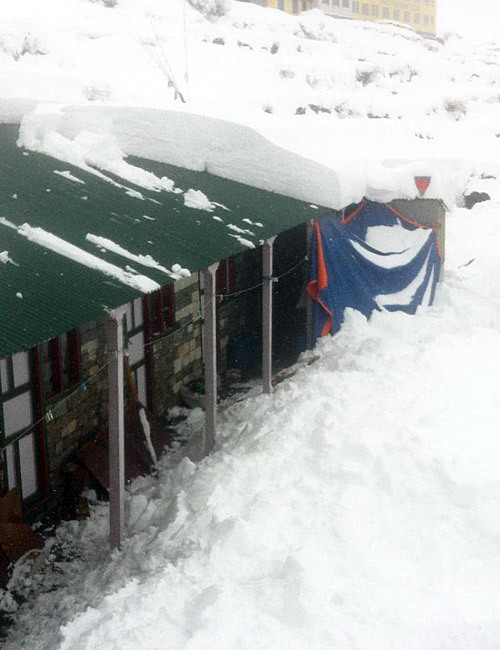 The snow is forecasted to taper off and the team are hoping to move to high camp tomorrow. Our final climb of Lobuche and some work on Camp 1 and 2 are on the way! Greg and Jangbu report that the Classic climbers with Emily reached the summit of Lobuche and have now safely descended. Sounds like the weather was not great, so congrats to this team for getting the job done! Also today, the third wave of climbers and trekkers headed down from Everest Base Camp, with the climbers going to Lobuche BC and the Trekkers to Pheriche. Back up at Everest BC, the team received some more snow and decided to wait another day before sending the sherpa team up the hill. 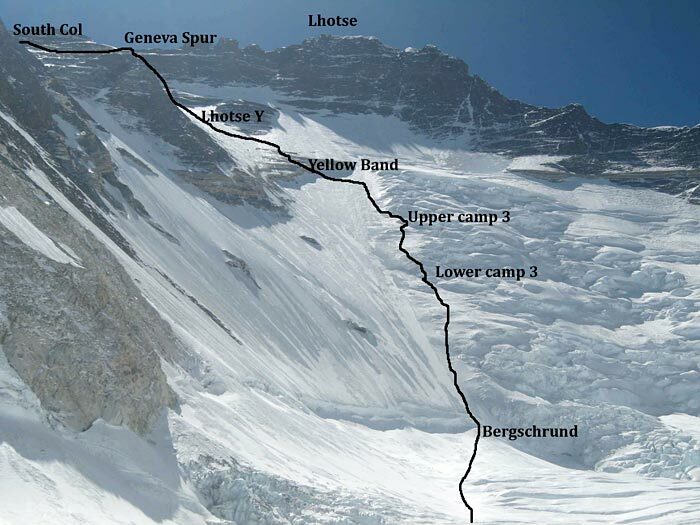 Today the sherpas were going to break the trail up into the lower part of the Icefall, so it will be easy to follow in the dark tomorrow morning. Hopefully the weather will allow them to finally make the big move up there to Camps 1 and 2. It was a good morning on Lobuche. Our Hybrid Team was up early and out the door on time. They climbed together all morning and reached the summit of Lobuche at 8:40am! Nice job! 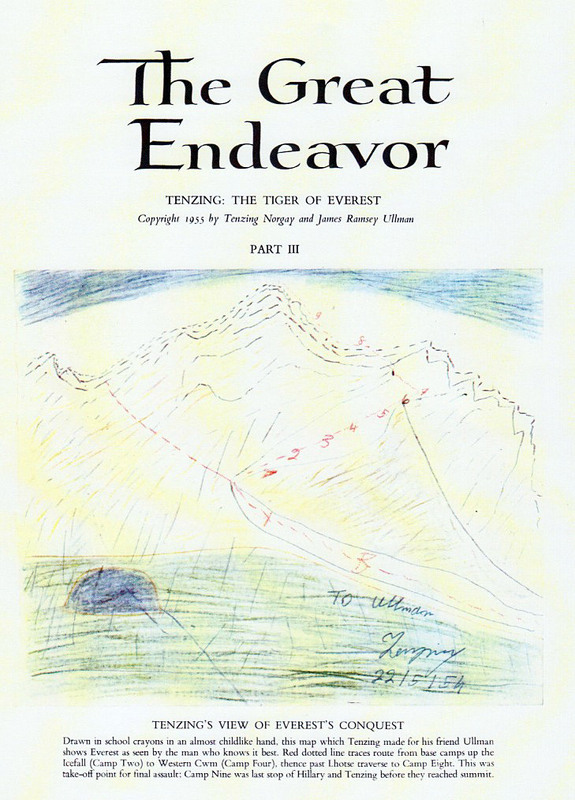 On their descent, they traded places with the first group of Classic climbers at High Camp. This next team will head for the top early tomorrow morning... if the weather holds for us. Max and the second group of Classic climbers had perfect conditions for training today on the glacier, with a light snow and breeze. They did fixed line training and some rappelling to dust off the cobwebs. 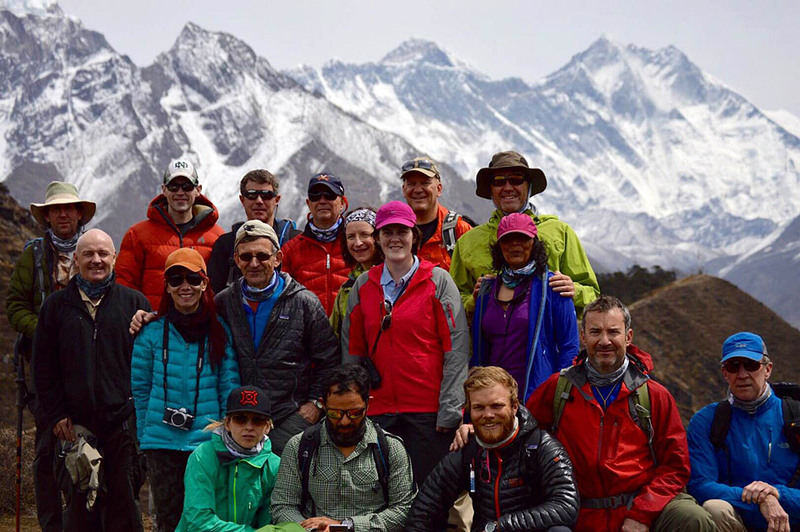 This wave of climbers and trekkers has really bonded during the past couple of weeks, and they are looking forward to heading down to Lobuche Peak. 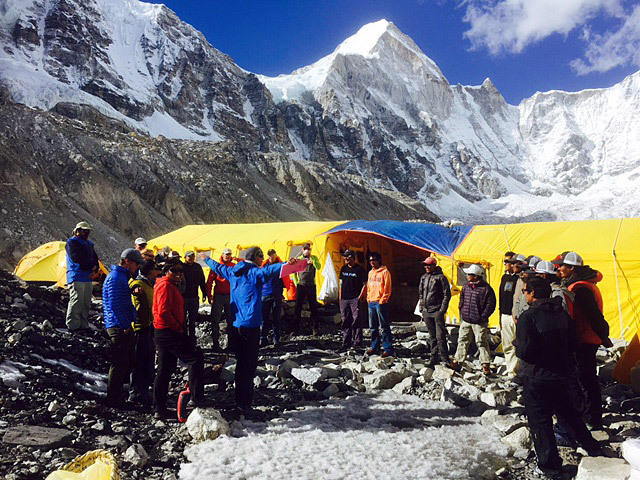 Our Sherpas are poised and eager to get up the Icefall to Camp 1 and 2. We are waking up at 2am and getting to crampon point by 4am. However, there is a catch for the teams climbing tomorrow: this pesky storm that has an edge over us doesn't want to go away. We have had just enough afternoon snow today to keep us on our toes for the morning. 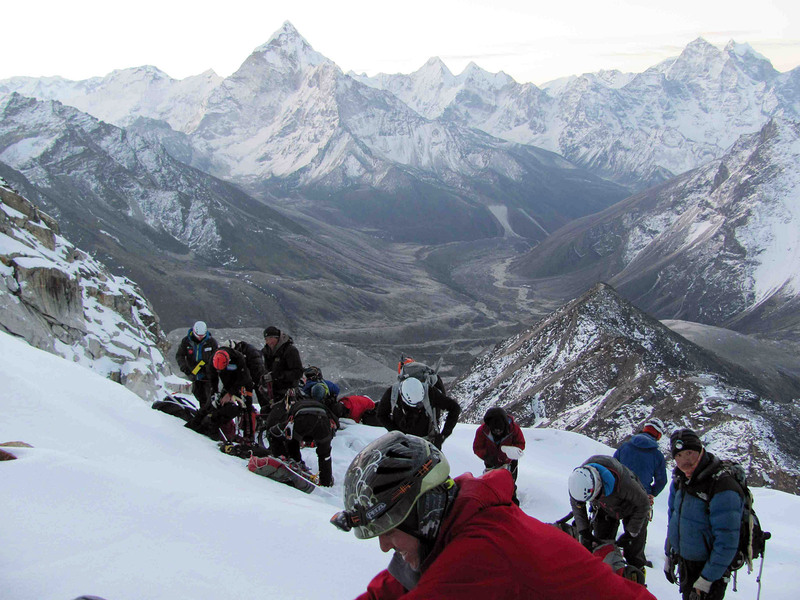 So, the teams on Lobuche and our Sherpas here will wake up and evaluate the conditions. It is a long season. Greg called from Everest BC to report that the weather has improved, the route to the summit of Lobuche has been well fixed by Tashi Tsering and Karma Rita, and the IMG teams are moving into position. It is Lobuche summit time! Justin and the first group of Lobuche climbers are actually heading for the summit right now (Wednesday morning in Nepal). Emily and the second team are moving to high camp today and will climb tonight. Max and the third wave are at Everest BC training now, and will be headed down to Lobuche in the next couple days. 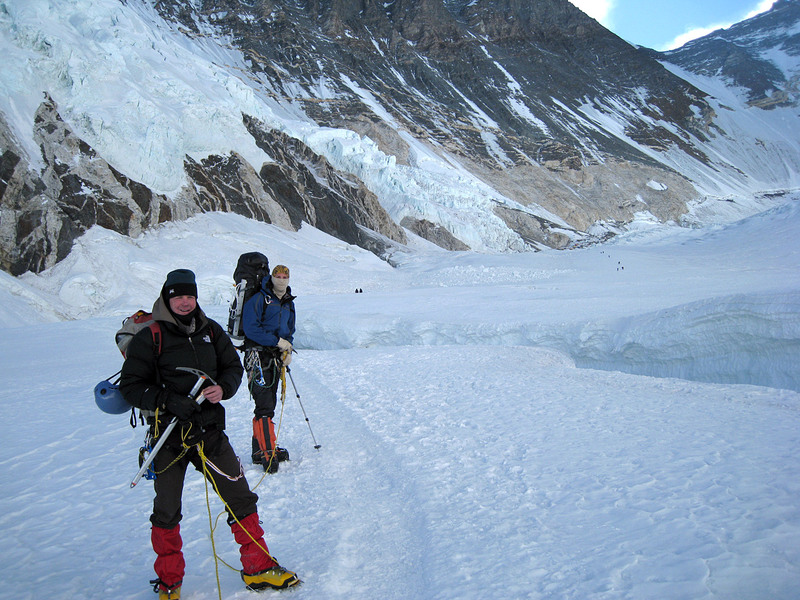 Luke and Stewart pulled into Lobuche Base Camp too. Way to go everyone! Up at Everest BC the Sherpas took a rest today and are ready to head for Camp&s;1 and 2 early tomorrow morning. 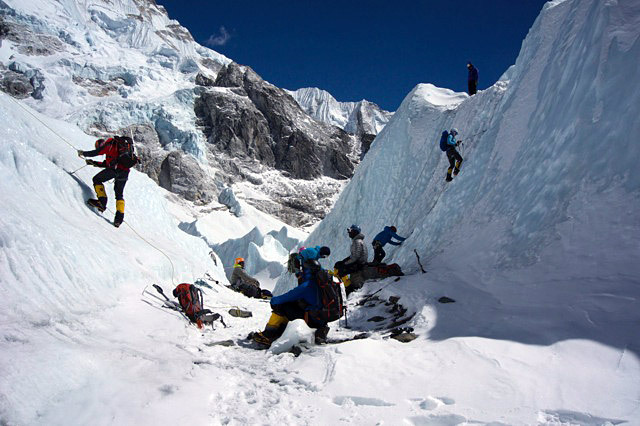 This will be their first big push up the Khumbu Icefall. Their goal will be to establish Camps 1 and 2, and to dig out the 2014 cache at C2. All is well on Everest. The edge of a weak snow storm came in last night and put down a thick blanket on the Khumbu Valley. 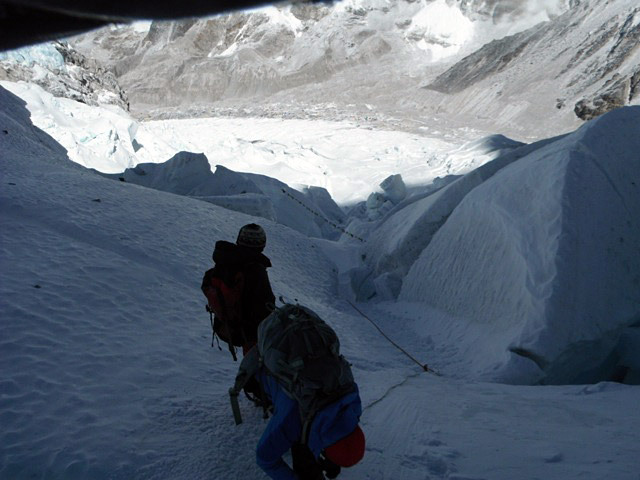 As a result of the snow, we put the brakes on our plans for moving up Everest as well as Lobuche. All of our teams are doing well and preparing for tomorrow. 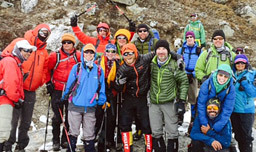 Luke and his team are planning on moving into Lobuche Base Camp, and Max and the second wave of trekkers and climbers will move into EBC. 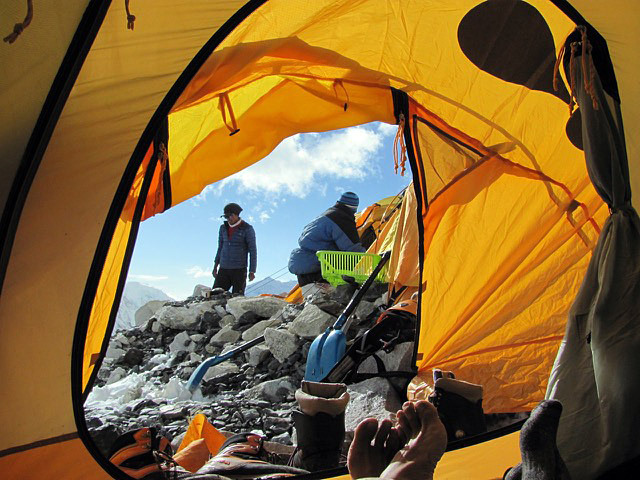 The Hybrid team will head back to High Camp on Lobuche. 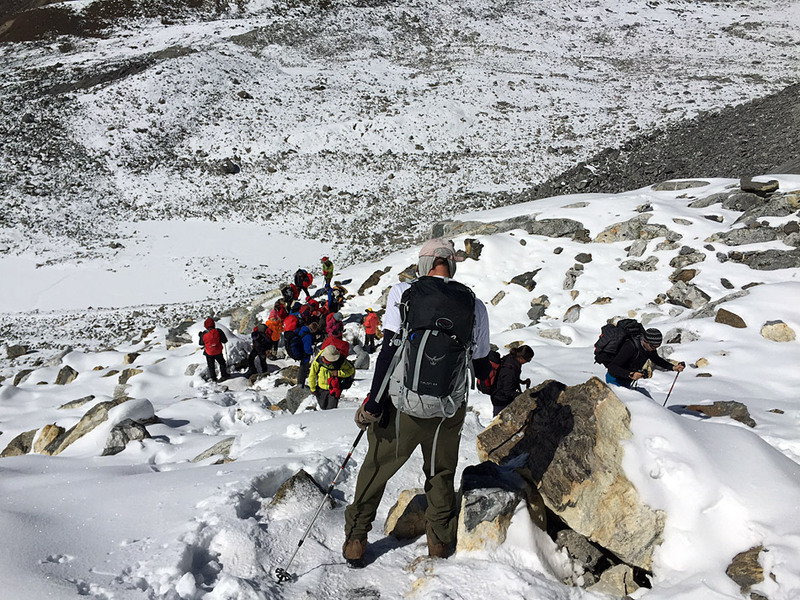 At Everest Base Camp, we did not let the snow stop us from getting in a great afternoon of training on the lower glacier. The team strapped on the spikes and worked through the rope course set up by our sherpa team. 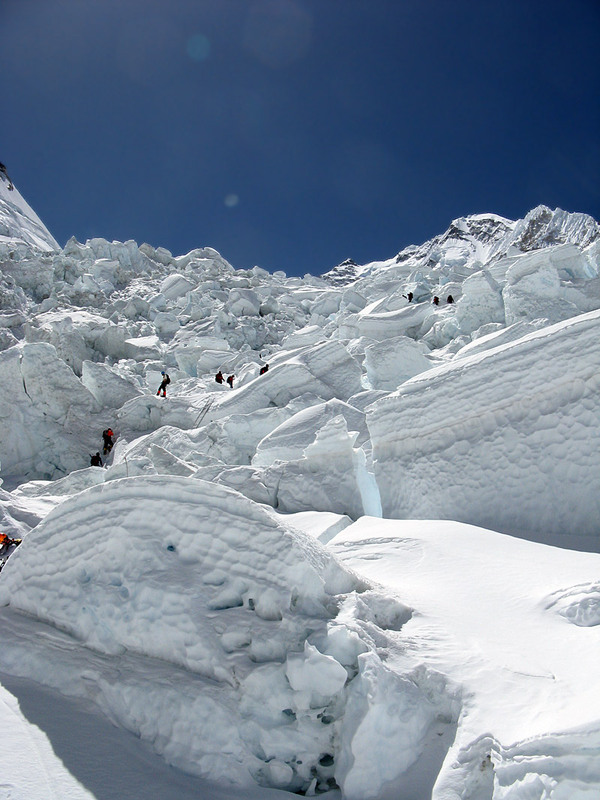 The first wave will head to Lobuche and put themselves in position to climb. The forecast has some cloud cover and light snow for the next few days. With that said, we are prepared to move forward or be patient and wait until our opportunity. Such is the weather and climbing on Mount Everest! 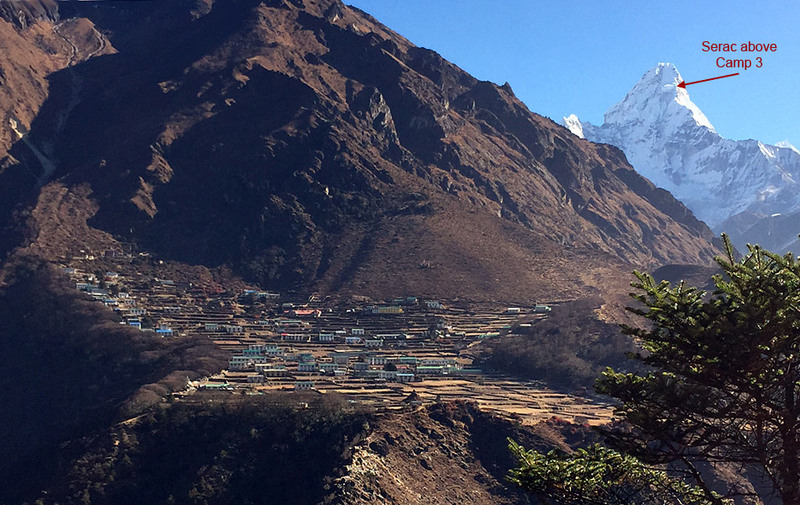 Today was busy and productive up and down the Khumbu Valley. 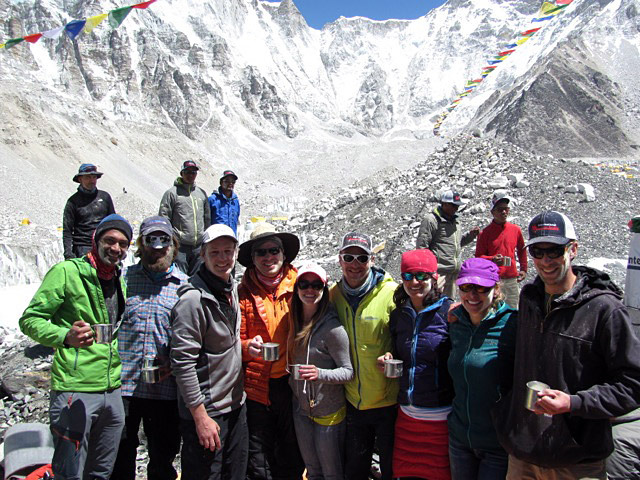 The Hybrid Team has moved into High Camp on Lobuche and is ready for their climb tonight. 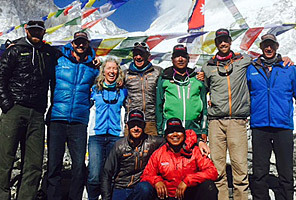 The Classic Team at Base Camp worked with our Sherpa staff and rigged their harnesses. They also got the chance to take a few showers. 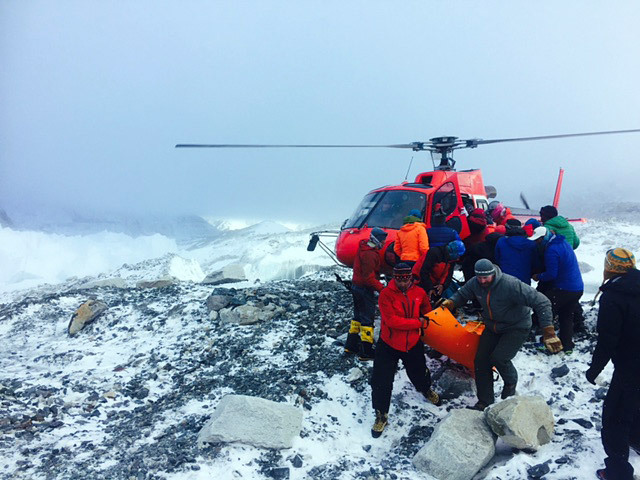 Our EBC trekking team visited Crampon Point at the foot of the Khumbu Icefall. It was a great day to see up the Icefall and watch descending climbers. During afternoon tea-time, Phunuru and I took the opportunity to introduce one of our new guides to Everest this season. Emily was welcomed by the sherpa team and then gave a great training session with avalanche beacons. One of the highlights of the day came during dinner. Our Classic Base Camp trekking team will be heading down hill tomorrow. As always, I like to give credit where credit is due. 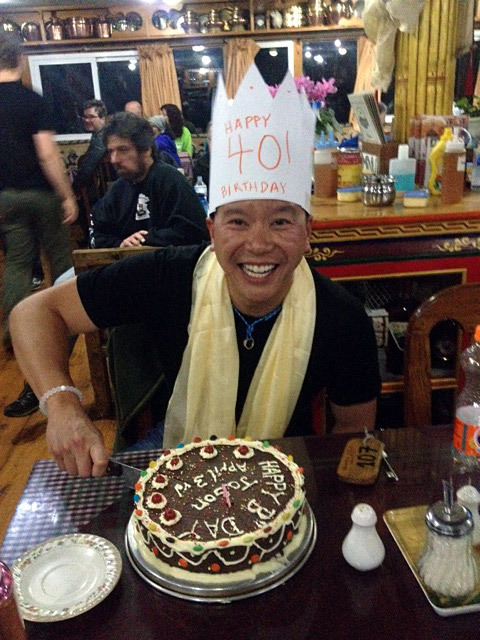 Our longtime IMG trekking sirdar, Phu Tashi received many thanks along with a Boy Scouts Of America Merit Badge! So, what is coming up for tomorrow? 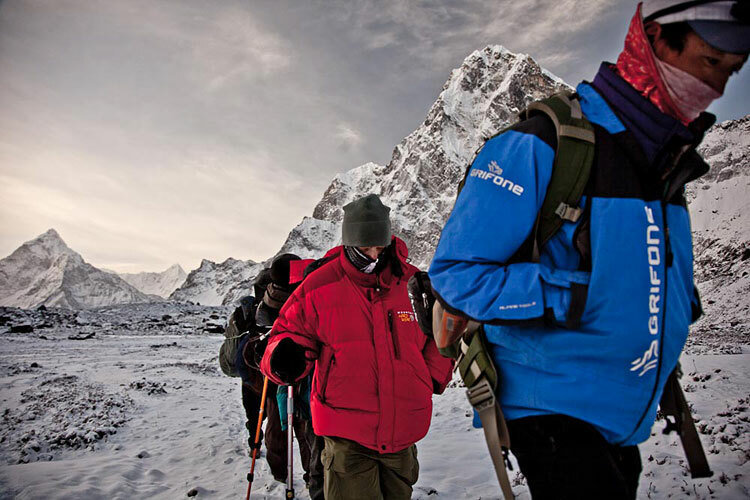 Our Hybrid Team will be up early and climbing Lobuche at 4am. 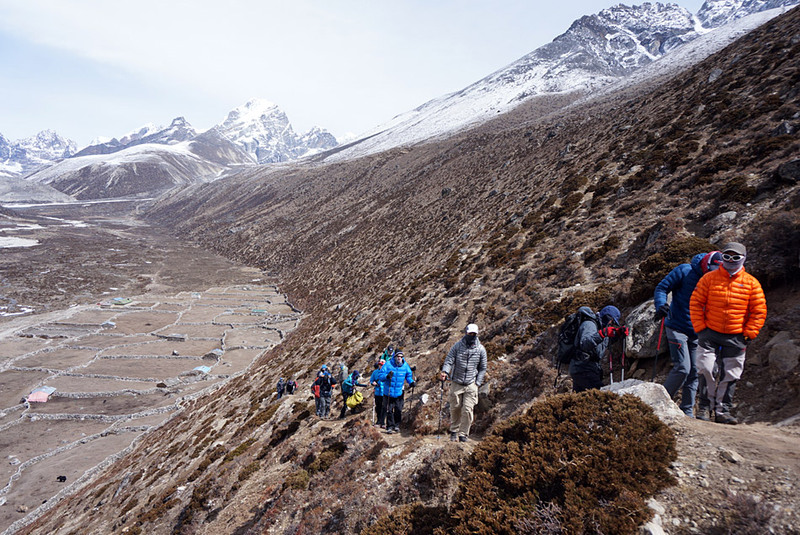 At EBC, we have our first team of Sherpa heading up to Camp 1 and Camp 2. 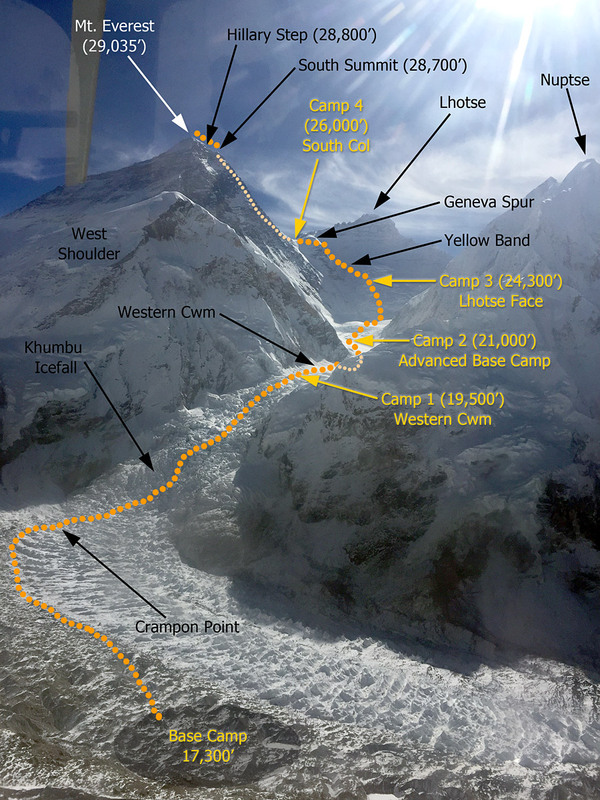 The Icefall doctors now have the route open and the hopefully we will get up to Camp 2 tomorrow and excavate the cache up there from 2014. IMG, along with 6 other teams, left some gear up there after the early end to lasts year's climb. This will be our first real look at the Icefall! 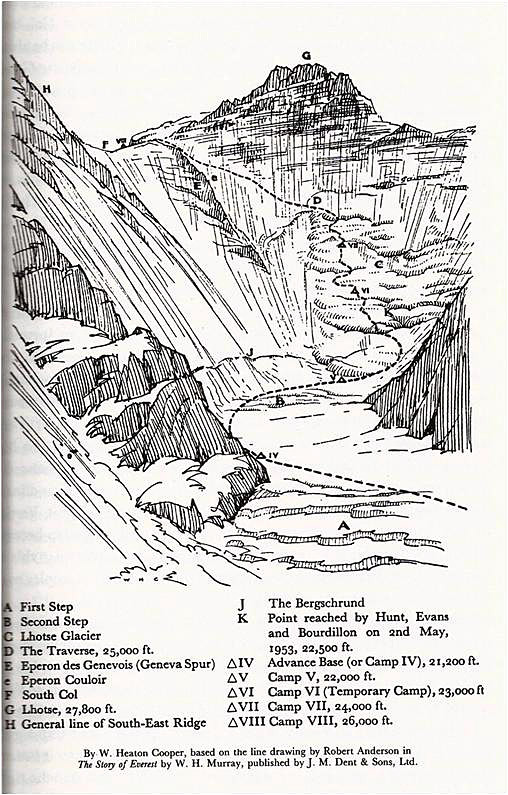 Early reports on the route include two vertical sections with four connected ladders and two horizontal sections with three connected ladders. A quick look at the icefall begins at crampon point. The guys will put their spikes on and move through a section of rolls. Once they pass the first ladder, they will climb steadily to the football field. The football field has changed over the past couple years, it is not as large an area as in the past. After the football field the heavy climbing starts. Vertical ladders and altitude. We will have a full report from our team in a couple days and some photos too. Everything is moving well here on Everest! All teams had successful moves today. 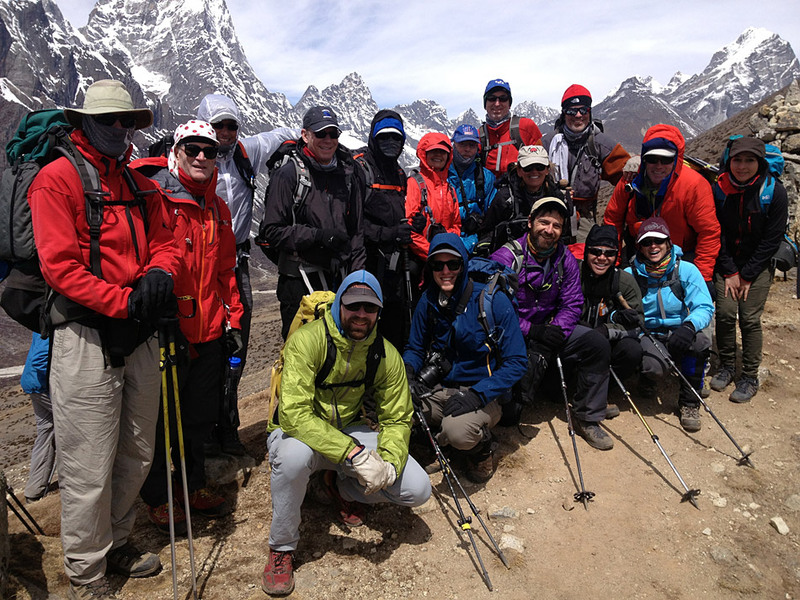 The Hybrid Team is at Lobuche Base Camp and ready to climb. The first Classic wave came into EBC after a long trek, and the second wave of climbers and trekkers are into Lobuche Base Camp without missing a beat. 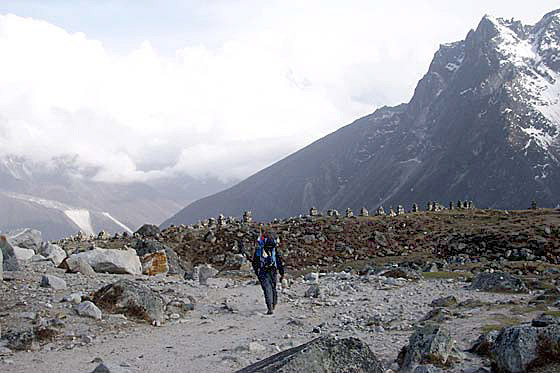 The trek from Lobuche Base Camp to Everest Base Camp is the real deal the first time you do it. One of the things I like to see from all of the climbers is the progress each member makes after coming to EBC the first time, acclimatizing and then returning to Lobuche for the climb. Their second time up to EBC shows how good this program is. All members are healthy and ready to start climbing. The trekkers will visit crampon point tomorrow. 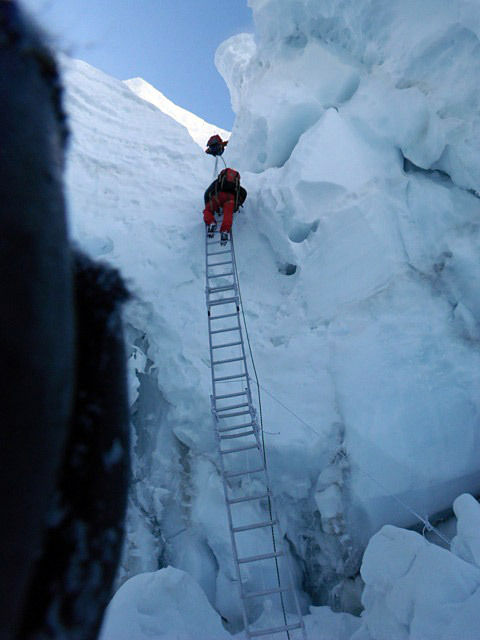 Crampon point is the very beginning of the Khumbu Icefall. Luke's Team is cranking away down valley and are eager to climb! Great day for the Puja here at EBC! Perfect weather with no wind and sun all day. Tomorrow, everyone is on the move. 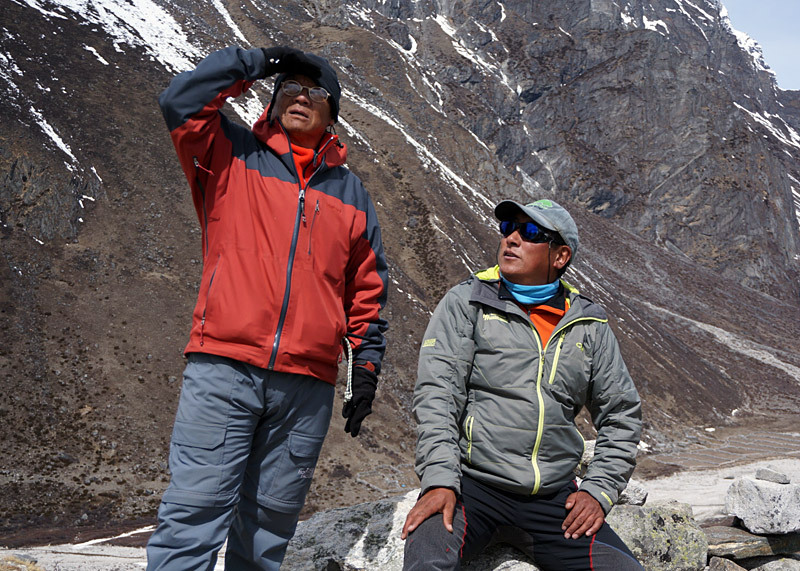 The Hybrid Team will head to Lobuche Base Camp and get ready for their first acclimatization run up Lobuche. Every member has said the same thing: "I am ready to get my spikes on and do some climbing." That is right where they want to be. The first wave of Classic Climbers will be coming into EBC to reunite with their climbing duffles and get familiar with base camp. The second wave of Classic Climbers is moving up to Lobuche base camp. They will break from the Tea houses. All is great with the IMG team! 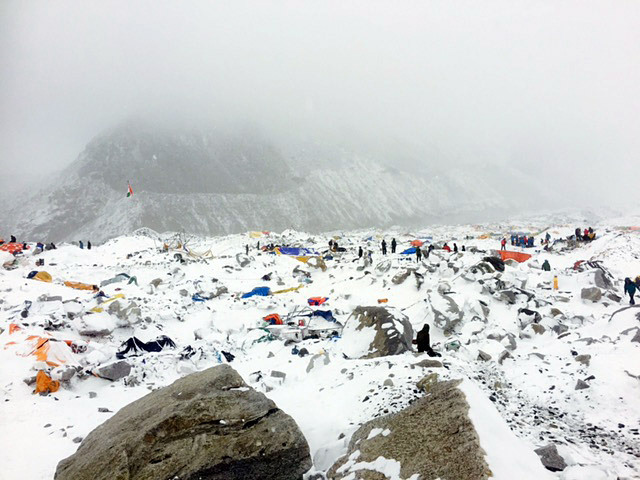 Greg and Jangbu report from Everest Base Camp that everything is going smoothly. 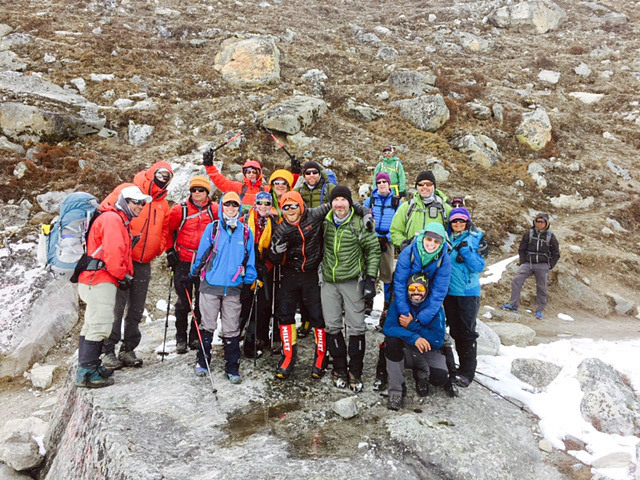 The Hybrid team spent a day on the Khumbu Glacier training and preparing their gear in preparation for their warmup climb of Lobuche Peak. 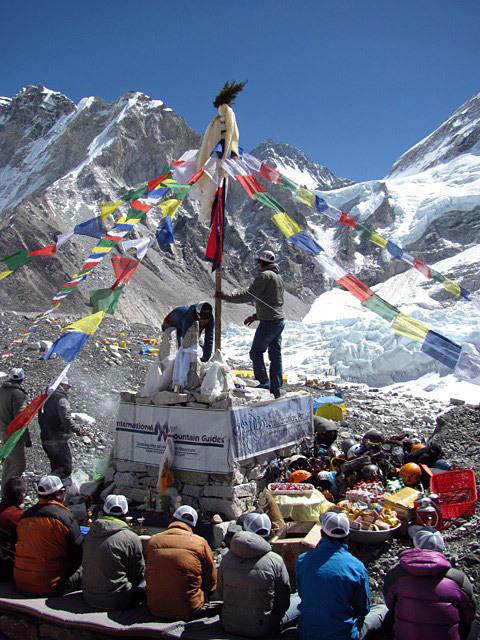 Meanwhile, the IMG sherpa team is preparing for their puja today and planning for tomorrow to head up the Icefall for the first time. The Icefall doctors now have the route open to Camp 1, and we hope to get to Camp 2 tomorrow and recover our cache from 2014. Down at Lobuche BC, Emily and our second team are acclimatizing and the sherpas are preparing to fix the route on Lobuche Peak. Max and the third team are now in Pheriche. So far, so good! 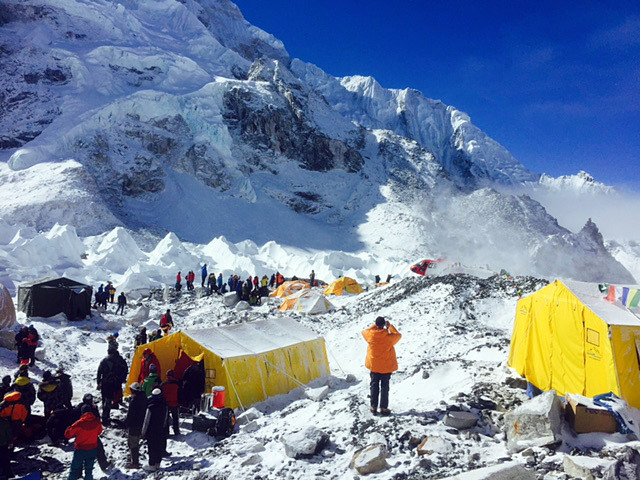 The first wave has arrived at Everest Base Camp on a beautiful day. This is the first afternoon that we have not had snow! Everest Base Camp looks fantastic. The sherpa have been working very hard and it shows. Walking down the ridge and onto the glacier I was greeted by the entire Sherpa team working on the trail into EBC. In camp, Jangbu has been working with the internet, and we now have that up and running. The trail up to EBC has been unusually wet and muddy this year due to all the recent snow. All of our teams are moving well. 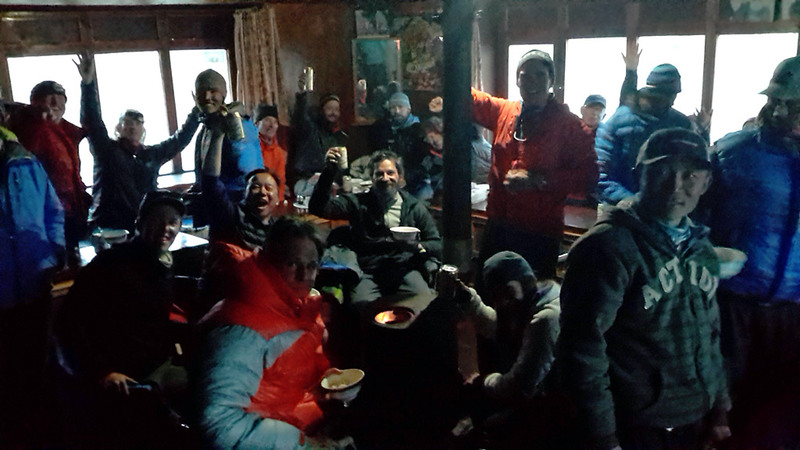 The second wave has pulled into Lobuche Base Camp and will acclimatize and enjoy Jor Bahadur's great cooking. Wave three is in Pheriche, or as I call it, the last wild west town before EBC. 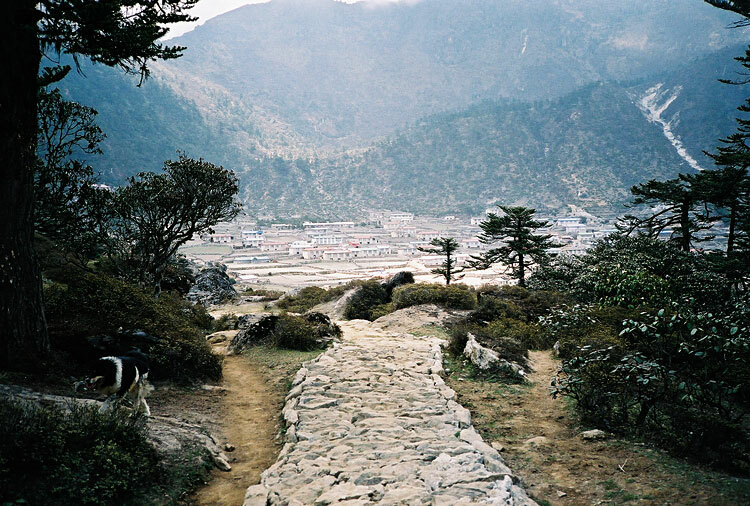 Pheriche is one "road" with teahouses on either side of the trail. You can get a great view of Cho Oyu and Lobuche from here. We are in full speed here at Base Camp already and looking forward to getting the route on Lobuche fixed. The plan for the next few days is to get settled in, have a Puja and train for the Lobuche climb. There is great energy in camp. That is all for now from EBC! Ang Jangbu reports from Lobuche Base Camp (15,800 ft) that the first team is doing well up there, and has been doing some good acclimatization hiking. As you can see from his photo, there is snow on the ground! The plan for the first team will be to move up to Everest BC tomorrow. 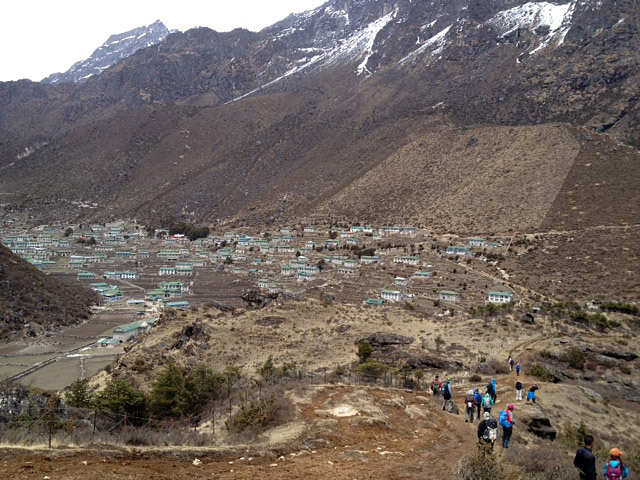 Down in Pheriche (14,300 ft) Emily Johnston reports that the second team had a good active rest day, went for a short hike this morning, and visited the HRA clinic this afternoon. She says that everyone is adapting well to the altitude, hanging out, and enjoying the fine mix of music in the sitting room at the Himalayan Hotel. They will move to Lobuche BC tomorrow. 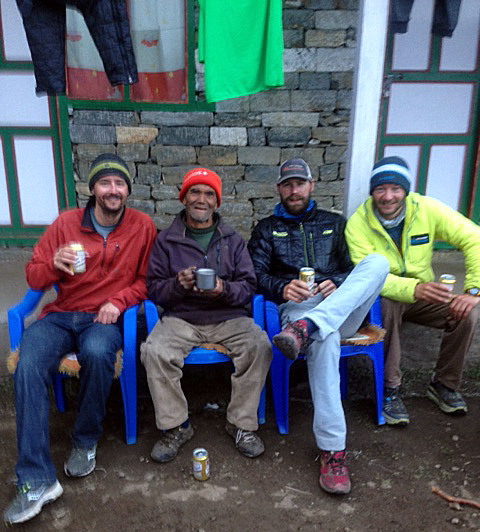 Max Bunce and the third team are having an acclimatization day at Tengboche (12,700 ft) and are all doing fine. They will move to Pheriche tomorrow. Back in Kathmandu, Pasang reports that today is the first day of a three-day General Strike (Nepal Bandh) led by the opposition parties over the contentious issues of constitution drafting. Pasang says that there are very few vehicles seen on the street, and the market and most stores are all closed. Good news. Pasang reports from Kathmandu that our backlogged cargo flew in today by helicopter from Phaplu to Shangboche (above Namche), where our sirdar Ang Pasang met it. 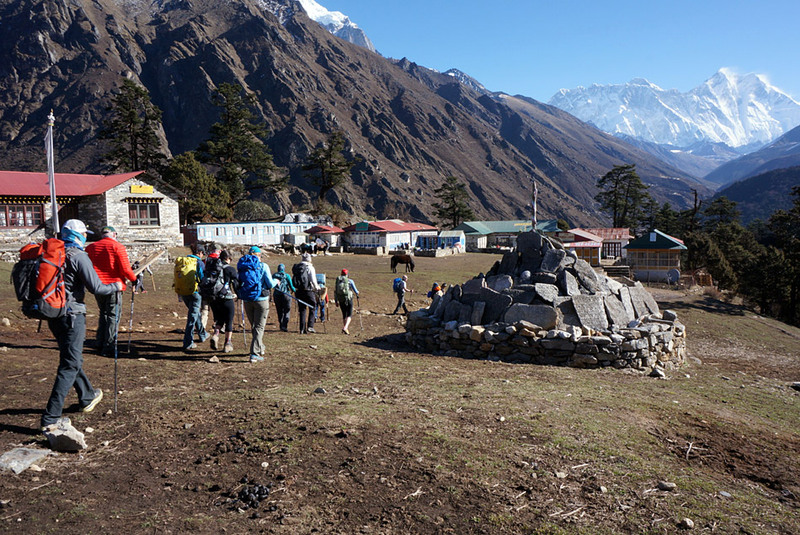 Sounds like there is a shortage of porters in the Khumbu now, as all the various teams start moving up the valley. 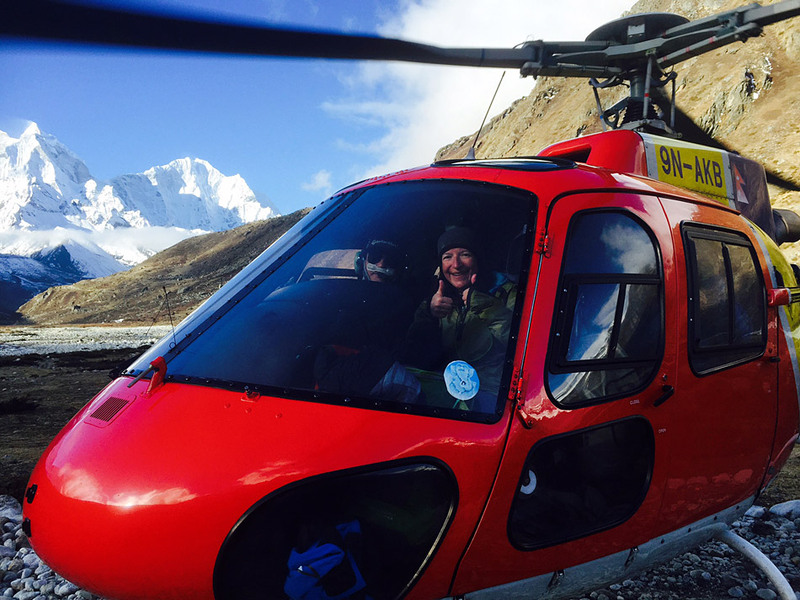 Also, Jangbu flew in by helicopter yesterday, and Greg is moving up to join him at Lobuche Base Camp, as our teams rotate through that camp. 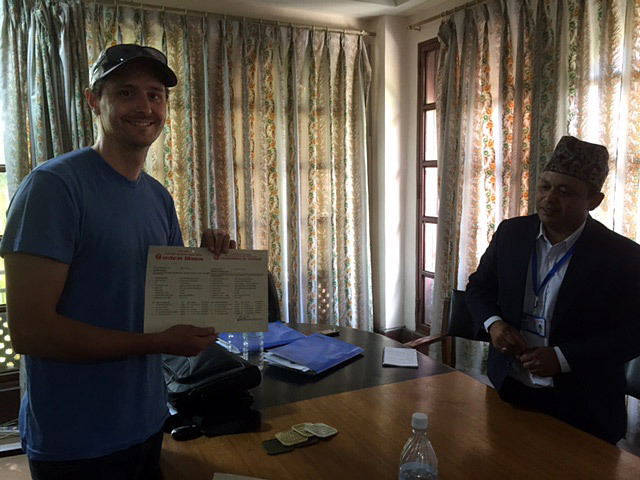 Back in Kathmandu, IMG guide Luke Reilly hit town and went to the Ministry to get our last permit. He will be spearheading a final contingent of IMG climbers who are coming in later, on custom itineraries. This includes several members who have been pre-acclimatizing using altitude chambers. 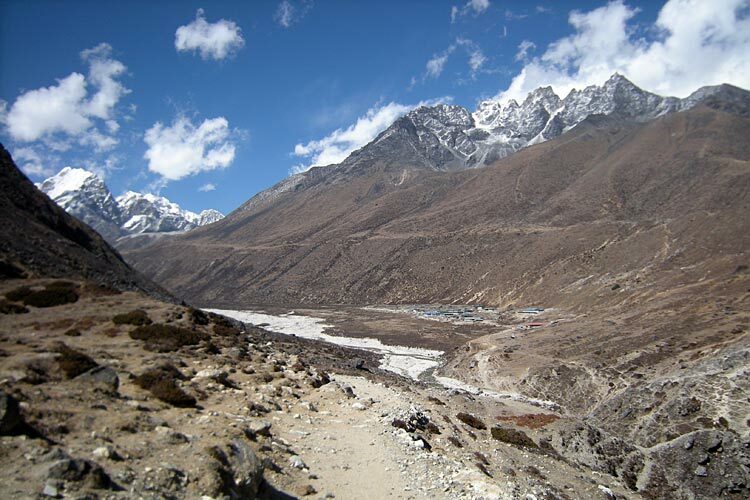 The three IMG teams are all making good progress up the Khumbu valley. Guides Justin Merle, Andy Polloczek, Lopsang and Phinjo report that the first team had a nice rest day in Pheriche yesterday, and today have made the move up to Lobuche Base Camp (15,800 ft). This will be their first night in a tent! IMG sherpas Tashi Tsering and Karma Rita have been working hard to get that Lobuche camp all set, and we will use it for several weeks now as our teams rotate through there. Time spent at this altitude is super important, so that when the teams move up to Everest Base Camp, they will be well acclimatized! Lower in the Khumbu valley, guides Mike Hamill and Emily Johnston and the second team took a nice rest day at Tengboche yesterday, and today moved up to Pheriche (about 14,000 ft). They will do some acclimatization hiking tomorrow and also visit the HRA clinic. Back in Namche, Max Bunce and the third team had a good rest day today, also doing some nice acclimatization hiking up to Khumjung and Khunde. Their plan for tomorrow will be to move up to Tengboche. Down in Kathmandu, the huge cargo backlog at the airport (waiting to fly to Lukla) prompted Jangbu and Pasang to put all the remaining IMG cargo on a truck and send it far east to Phaplu. We are hoping that it will fly by helicopter tomorrow from Phaplu up to Syangboche (just above Namche), where Ang Pasang is waiting with a bunch of yaks to transport it up to Base Camp. 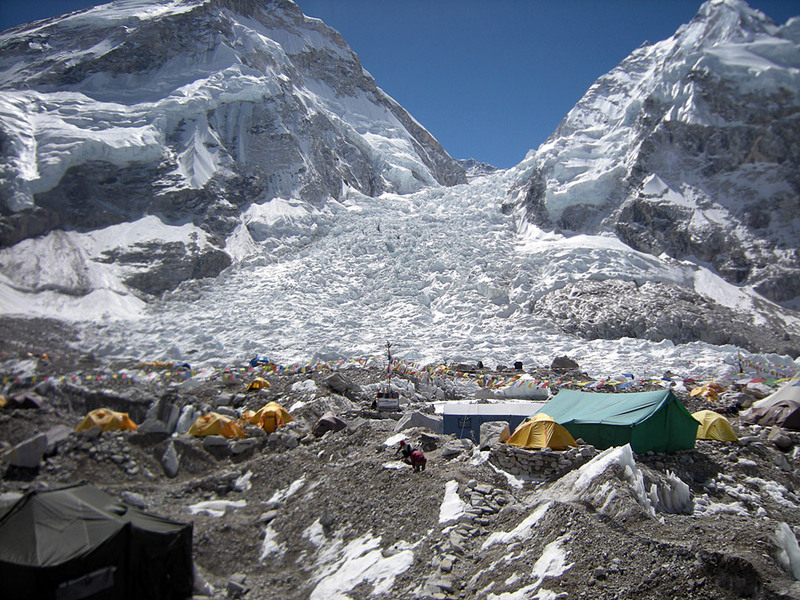 Speaking of Base Camp, Phunuru reports that all's well there and that most of the IMG sherpas have now reported for duty. Lots of moving pieces! Andy and Justin called this evening on the sat phone from Pheriche. 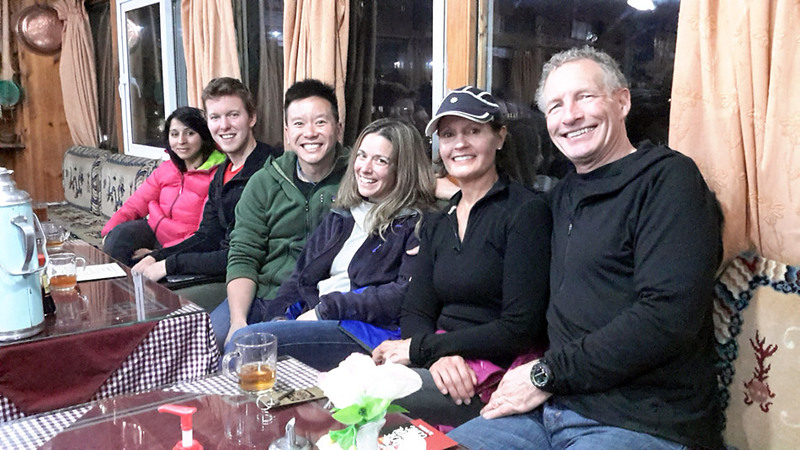 The first team is doing well, and they are taking a rest day tomorrow and hoping to move to Lobuche BC the day after. Today they visited Lama Geshe at Pangboche monastery, to get his blessing for a safe expedition. Phunuru called from Everest BC. 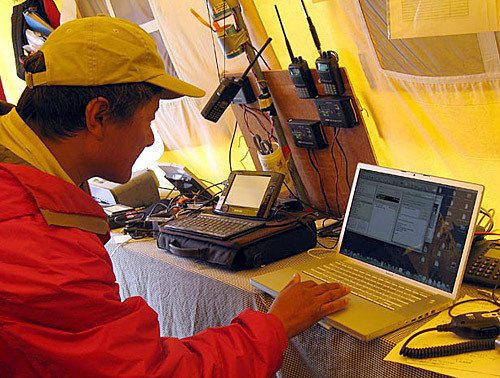 They now have the VHF base station and big antennae set up and were able to talk to Lopsang in Pheriche and also Tashi/Karma Rita at Lobuche BC, who are working to get that camp ready. They report lots of snow shoveling required to set up tents at Lobuche BC, and they now have the big, 4-section dining tent set up and are working on tent platforms. 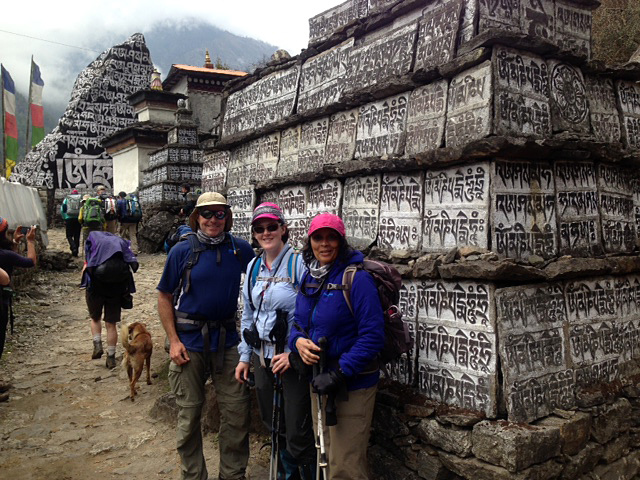 The second team with Mike and Emily are doing well at Namche. 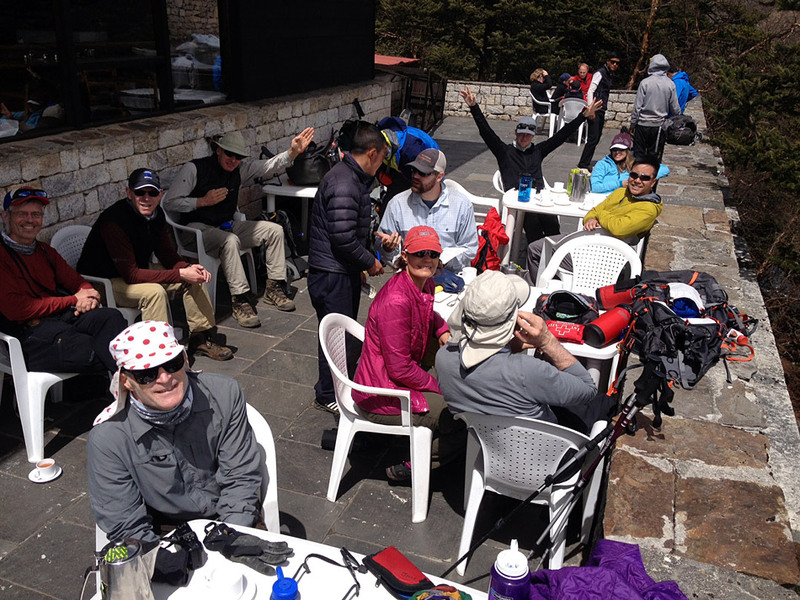 They did an acclimatization hike today to the Everest View Hotel above Syangboche. 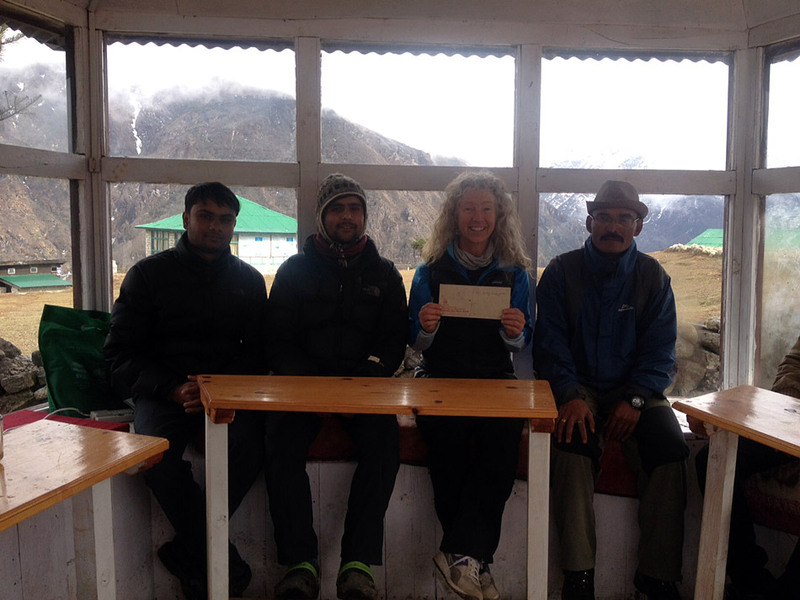 Also, our sirdar Ang Pasang met Emily and the Liaison officers in Namche, and they checked in with National Park and SPCC and got those permits. 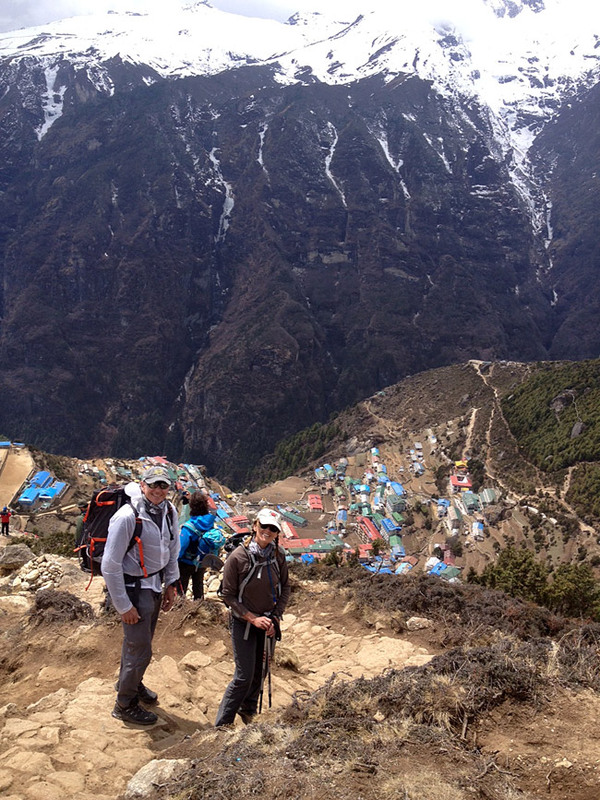 Greg and Max and the third team arrived Namche and are also doing well. They report lots of beautiful rhododendrons this year on the trail, more than normal. The trekking duffel bags have all been flown in now, but we still have about 1300 kilo of cargo waiting to fly, due to all the flight cancellations this past week. Hopefully we get some more good weather so this backlog can be flown in. Ang Jangbu reports that all members of the third team are now in Lukla. Weather is "in and out" with clouds in the area. We are hoping more flights get in, as there are still duffel bags to fly. Higher up the valley, Andy and the Hybrid team called this morning from Tengboche. Everything is going well for them up there. Good news. 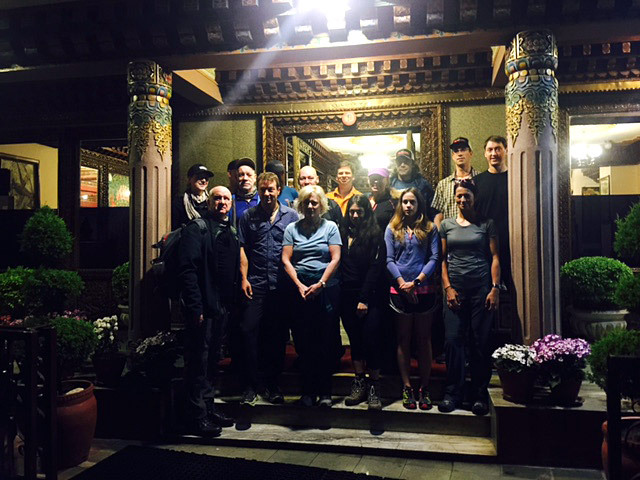 After a day of delay in Kathmandu due to bad weather and cancelled Lukla flights, IMG guides Mike Hamill, Emily Johnston, and the second team of climbers and trekkers made it to Lukla today and have begun their trek. Ang Jangbu also reports that they were able to get all their trekking duffels flown in too, which was good news considering that the Lukla flights are all backed up now with many expedition teams hitting town and many cancelled flights over the past few days. Meanwhile, Greg Vernovage and Max Bunce are getting the third IMG team ready to go with equipment checks and a team dinner tonight. 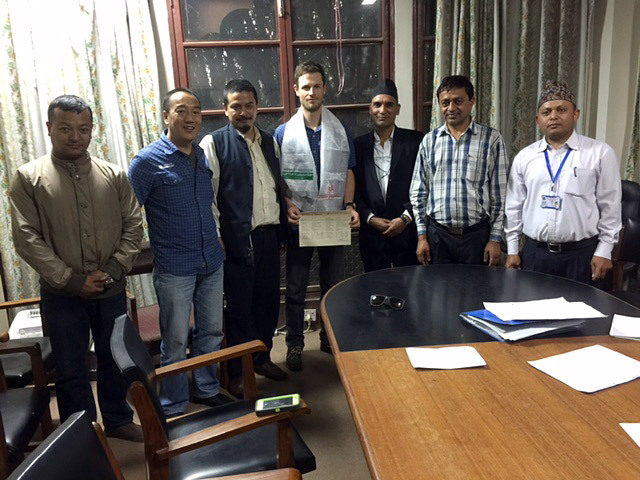 Also today, Max and Pasang went to the Ministry and got another of our Everest permits, and also our Lhotse permit. So far, so good! Yesterday was another busy day in Kathmandu, with our second team getting ready for their departure to Lukla on Monday morning. However, the weather has not cooperated and Lukla airport is currently shut down with zero visibility, so they will likely have to wait another day to fly. Yesterday IMG guide Emily Johnston and Pasang went to the Ministry to get permits, and we are happy to report that we are making progress with these (the final IMG permits will be issued when our third team hits town in a few days). 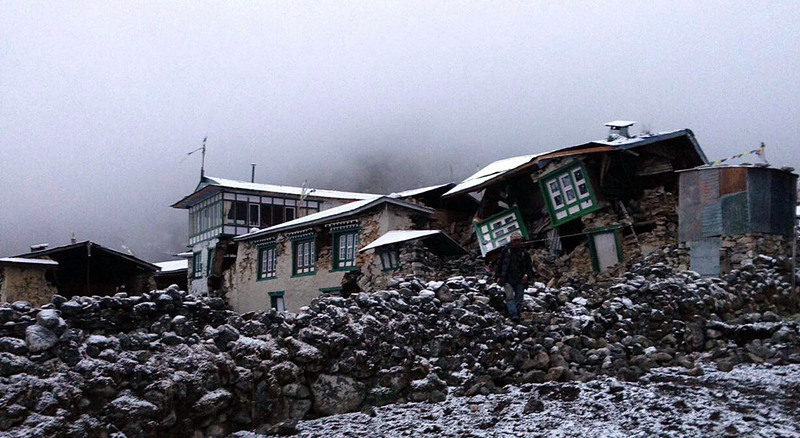 Up in Namche our first team is taking an acclimatization day, and will be going for a hike. Sounds like everyone is doing well. 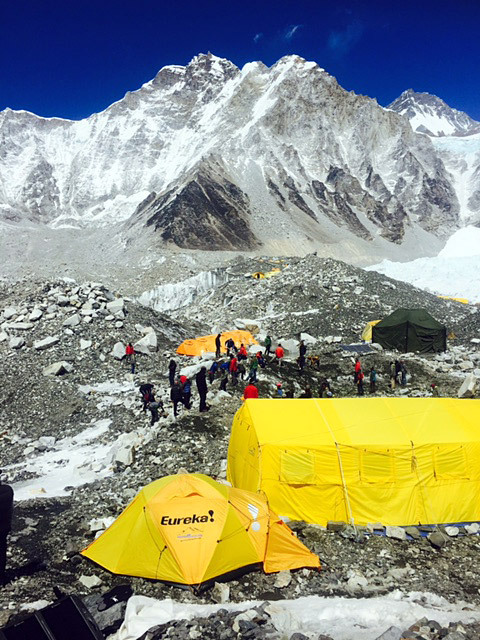 At Everest BC Phunuru reports that the IMG lead sherpa team now have all the big tents set up and the puja altar constructed. 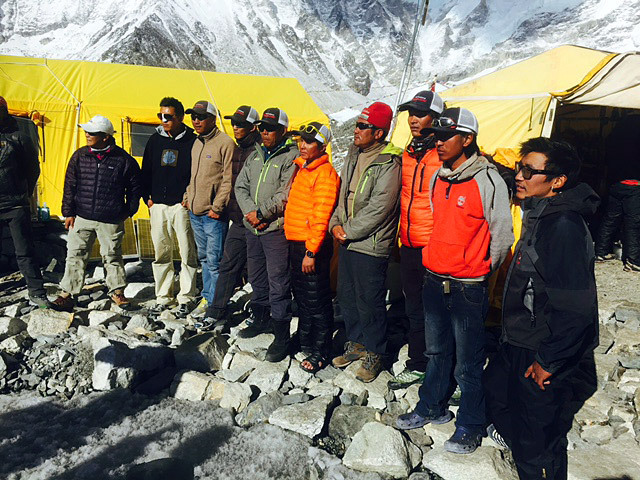 They will keep 5 sherpas and 2 cooks at EBC to continue to work on the camp, while the rest of them will go home for a 3-day break and return to EBC on 2 April. All the remainder of the IMG sherpas will report to EBC on April 5th. 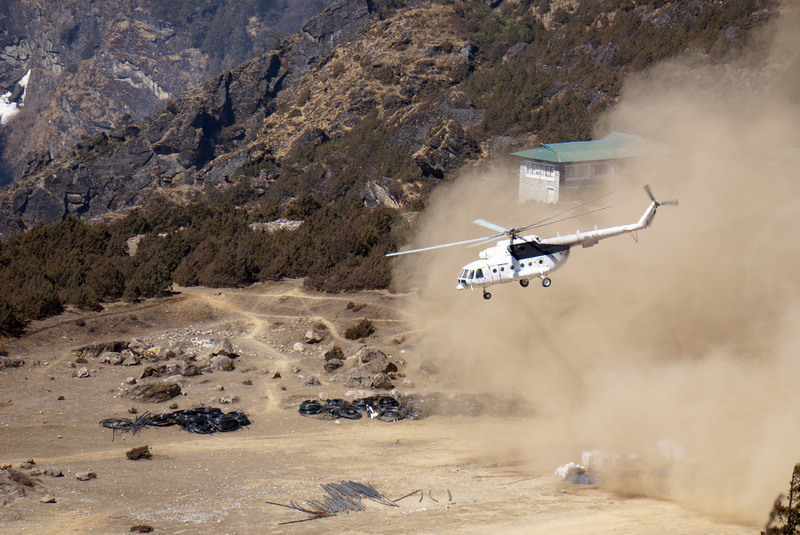 IMG guides Justin Merle and Andy Polloczek called to report that the first team made it to Lukla by helicopter yesterday, along with all their luggage. 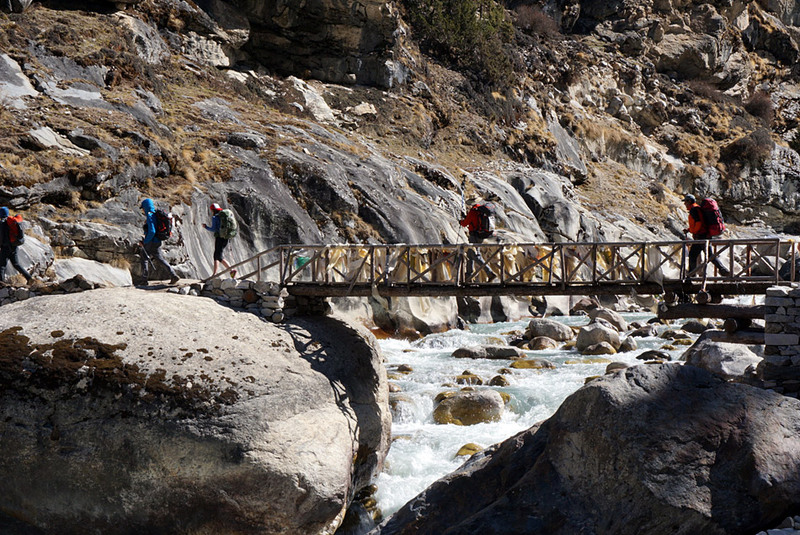 They had lunch in Lukla, then continued on to Phakding, for the first night of the trek down by the river. This is a beautiful and relaxing camp, after all the stress and travel of the past week! 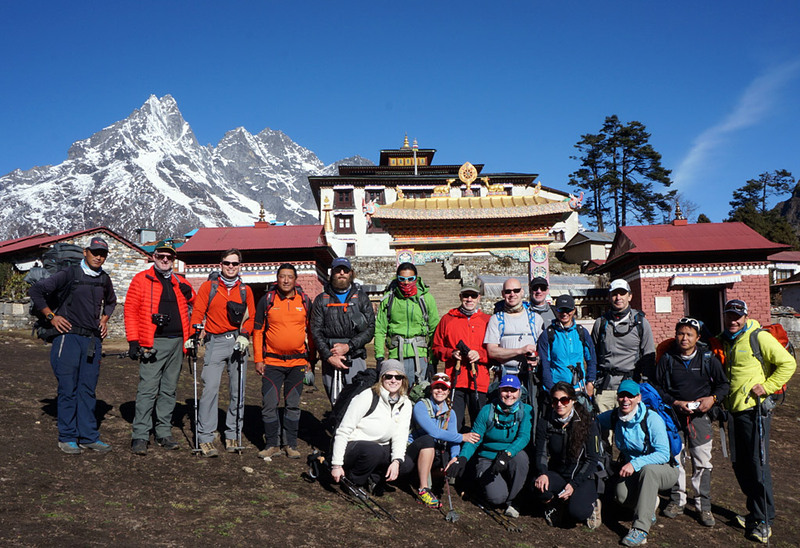 This morning the team will enter Sagarmatha National Park and make their way up to Namche Bazaar, the main town in the Khumbu area. Back in Kathmandu, guides Mike Hamill, Emily Johnston and the second team are planning to fly to Lukla early tomorrow morning. Today they have a big day of equipment checks and last minute preparations. Everest leaders Greg Vernovage and Ang Jangbu report that they will be going to the Ministry today to wrap up the permits. 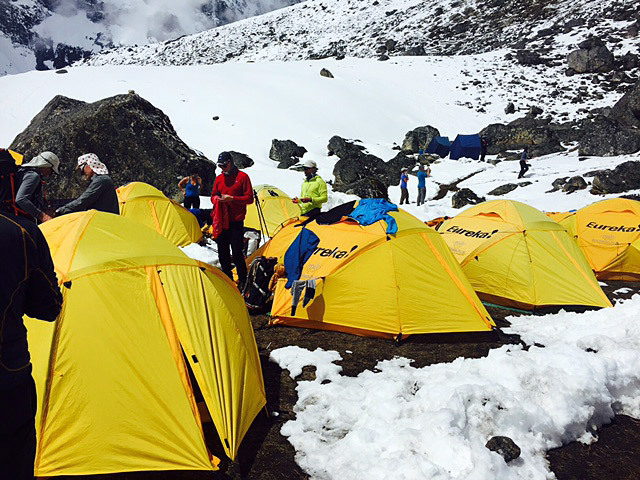 Up at Base Camp, our IMG sherpas have now got most of the big kitchen and dining tent platforms built, and the tents erected. 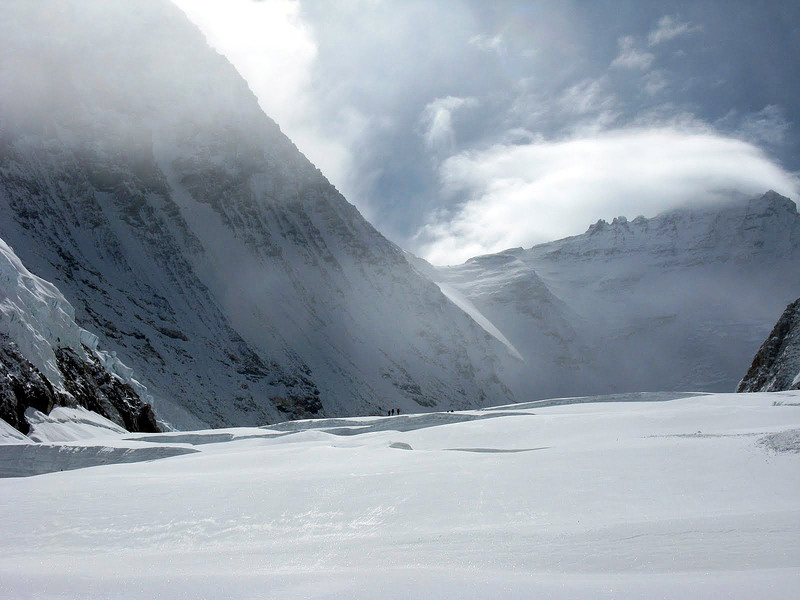 They report that the Icefall doctors are making good progress on the climbing route up the Icefall, and now they are over halfway finished up to Camp 1. 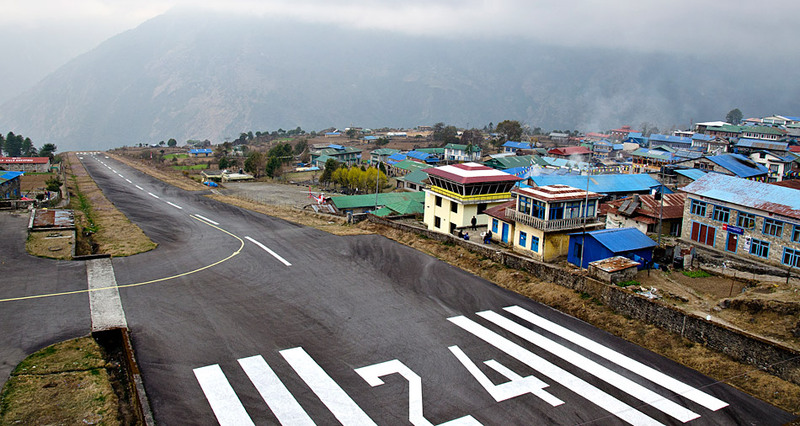 Lukla flights got cancelled today. Foggy in Kathmandu early in the morning and when it finally cleared in Kathmandu, then Lukla got covered up. They kept the flights on standby until 11:30 AM but then cancelled because weather did not improve in Lukla. 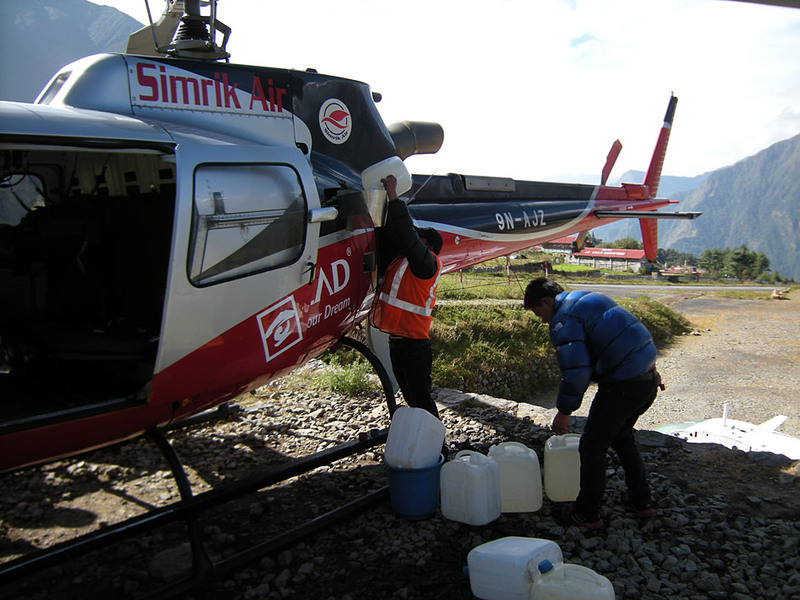 We attempted to charter heli flights this afternoon but then helicopters couldn't get out of Lukla either. We now have helicopters booked for tomorrow morning for the first team (because all the fixed wing flights are fully booked). Most of the second team arrived to Kathmandu today and the guides are doing their equipment checks now. 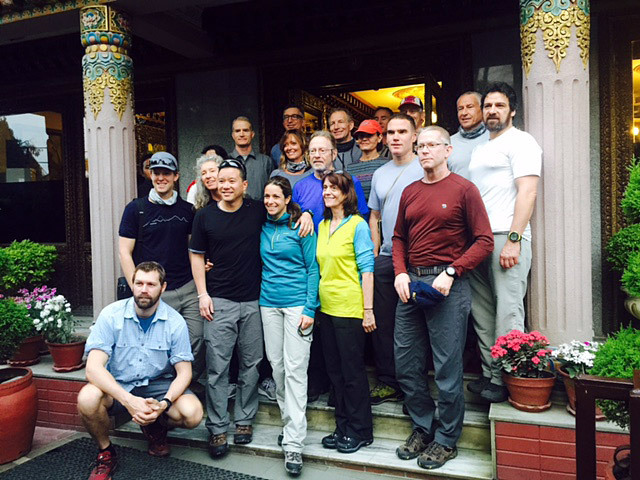 The IMG team members and guides have begun arriving in Kathmandu. 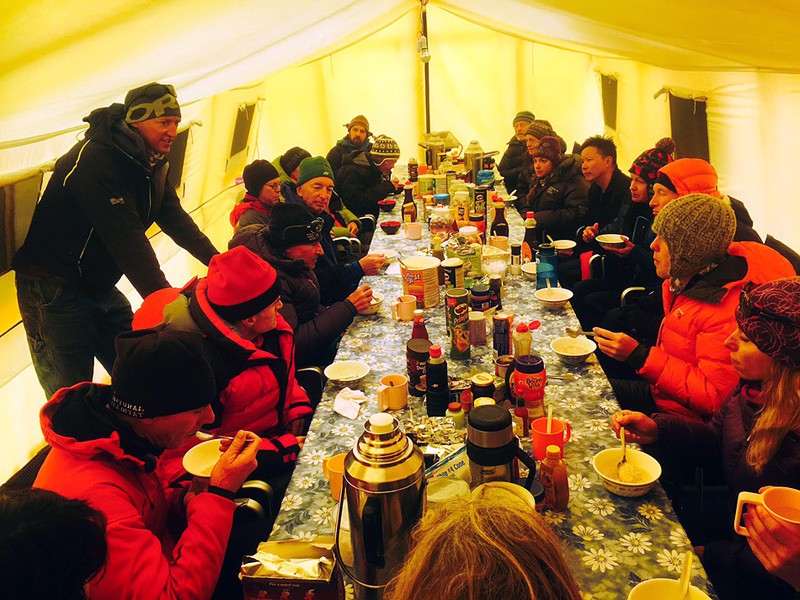 Yesterday the first group of trekkers and Hybrid team climbers did gear checks and finished packing, followed by their first team dinner. This morning everyone was up early to fly to Lukla. 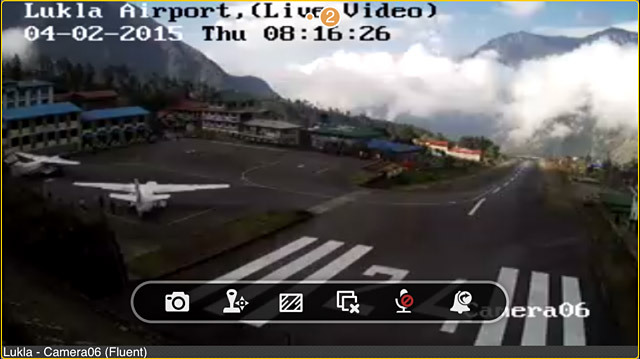 The weather up in Lukla is good, but in Kathmandu it is cloudy, and the flights are delayed. Hopefully it will clear up so they can fly later in the day! 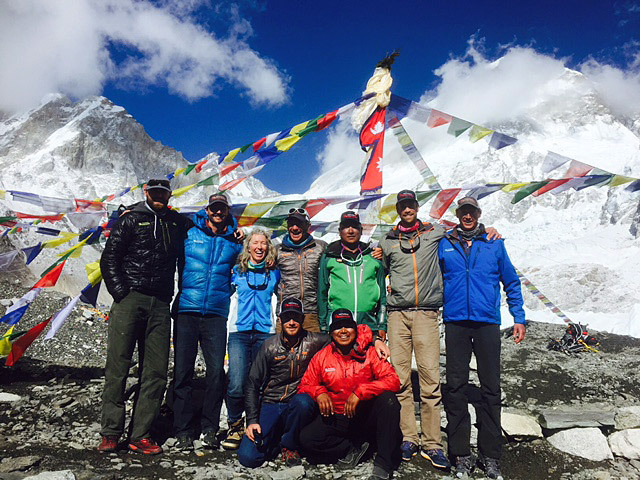 The IMG lead sherpa team pulled into EBC on the 16th in stormy weather, but it cleared in the evening. 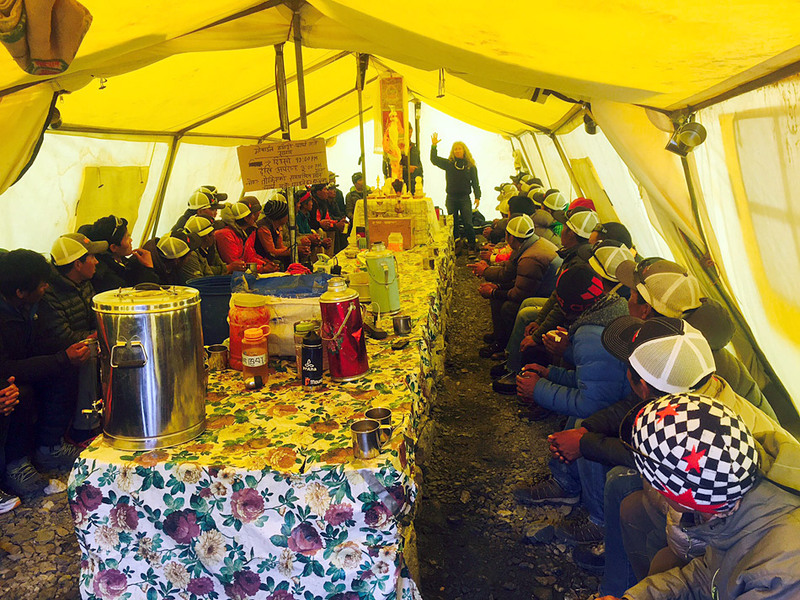 I talked to Nuru Gyalzen at base camp yesterday, and he says that the 17th was a nice day and they managed to set up the Sherpa kitchen and dining. 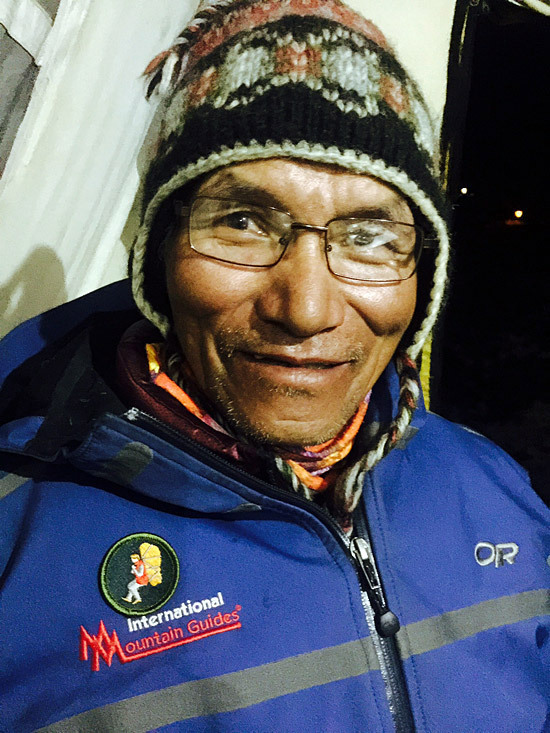 He reports that the SPCC team (the " Icefall Doctors") had their Puja two days ago and that yesterday they started looking for a route up the middle of the Khumbu Icefall. 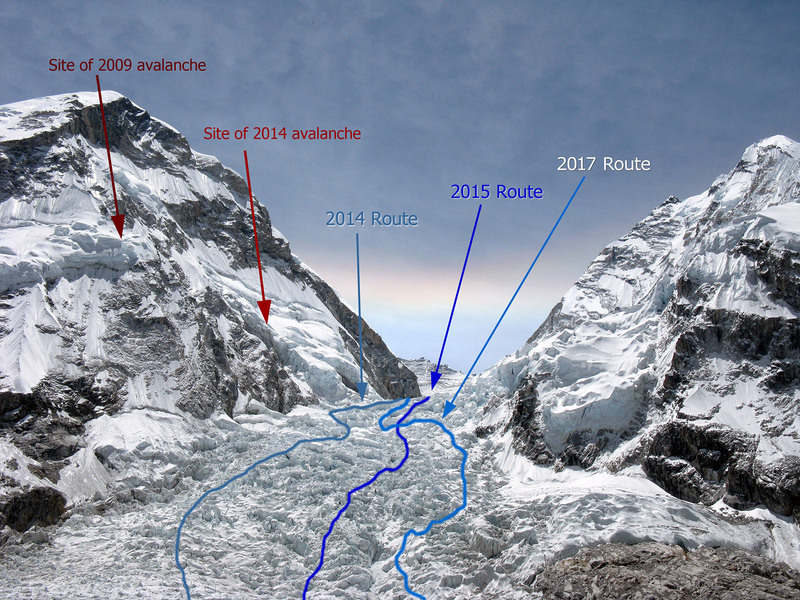 Their plan is to attempt to locate the Icefall route for 2015 more in the middle, and not so close to the West Shoulder as has been used in the past few years. The energy is building and excitement is in the air. Our first team will be off to Nepal in less than two weeks. The IMG guides are ready to go... gear checks and meeting the team in Kathmandu is just around the corner! 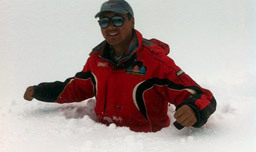 Up in the Khumbu, Phunuru reports that everyone is still dealing with all the recent snowfall, up to a meter deep. This includes the yaks, who do not like to break trail! 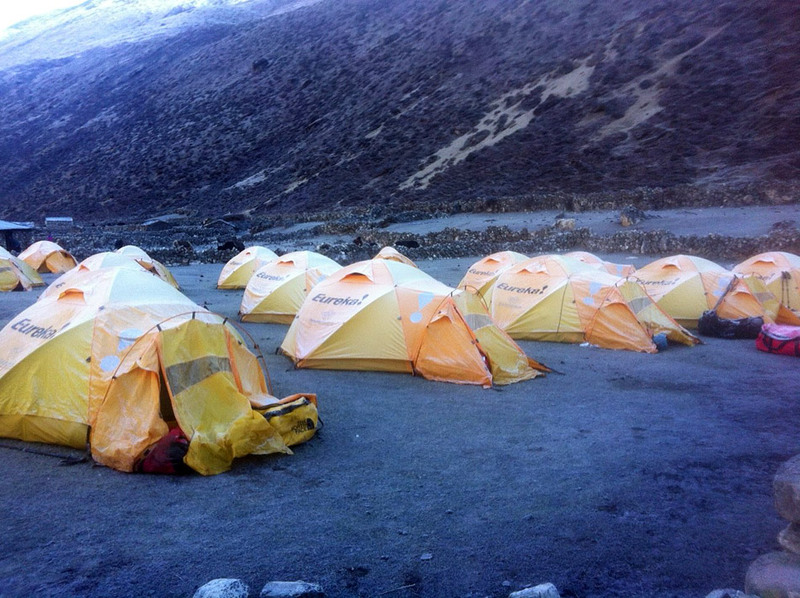 Our Sherpas are getting ready to transform the glacier into our IMG Base Camp. It will take several weeks to build all the tent platforms. Nawang and Rinji, the two base camp Sherpa team cooks, will meet Ang Pasang in Namche on Thursday the 12th to buy more provisions. 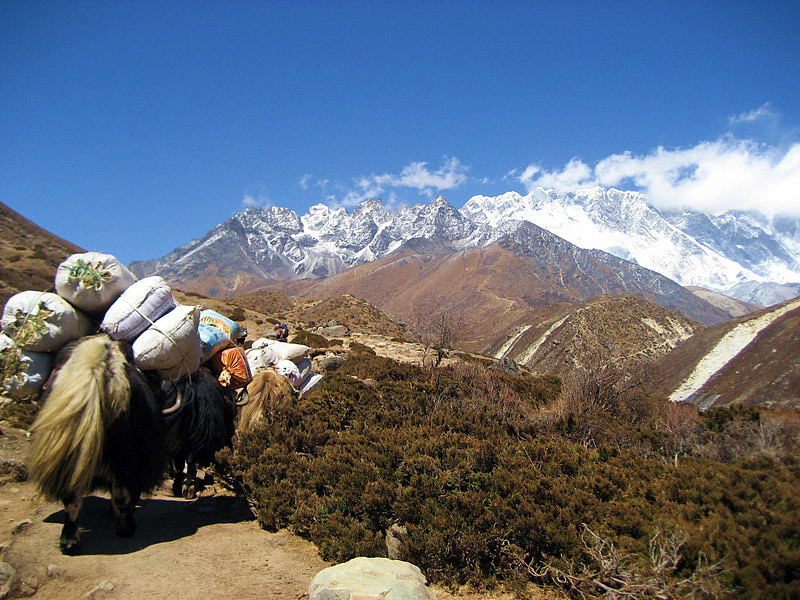 Then, they will load up the yaks and meet 15 sherpas in Gorak Shep on Sunday. 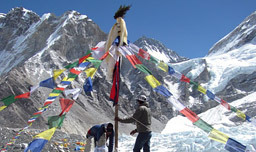 On Monday, March 16th, everyone will go to Everest base camp to begin construction. 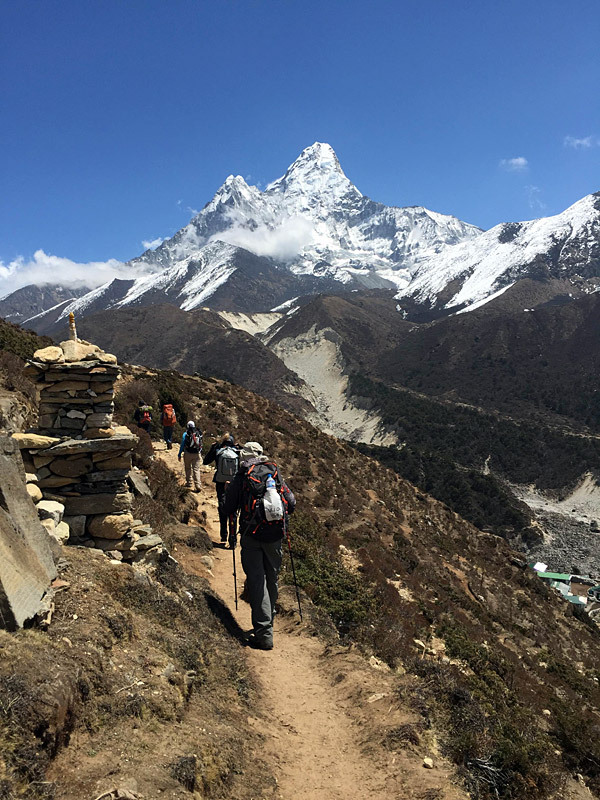 Along the way, Phunuru is going to take a good look at Ama Dablam. 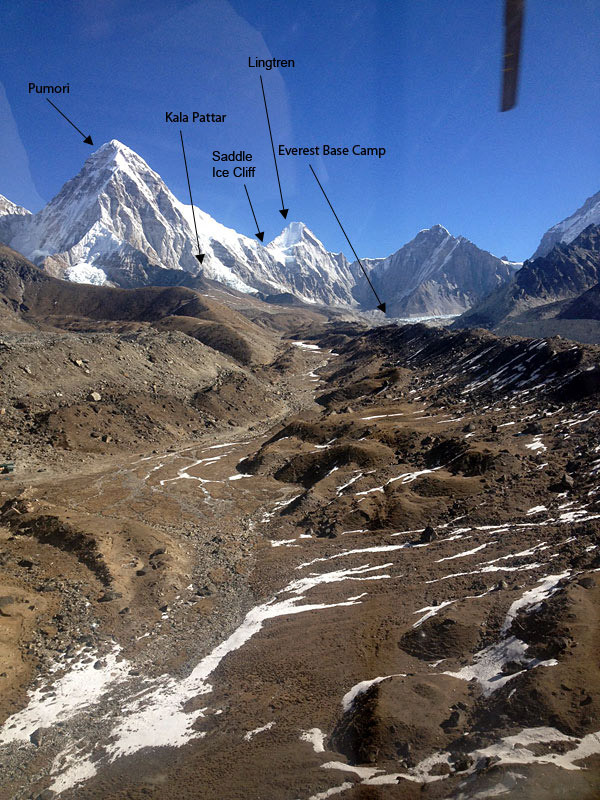 We want to see how the Dablam Glacier looks upon close inspection, before we commit to running the autumn 2015 Ama Dablam expedition. It was an ice avalanche from a serac above Camp 3 that hit several climbers in autumn 2014, as they ascended fixed ropes below. Hopefully, more of this unstable ice has now peeled off. We have loaded a truck and sent it to Ramechap Airport (Manthali) this afternoon. 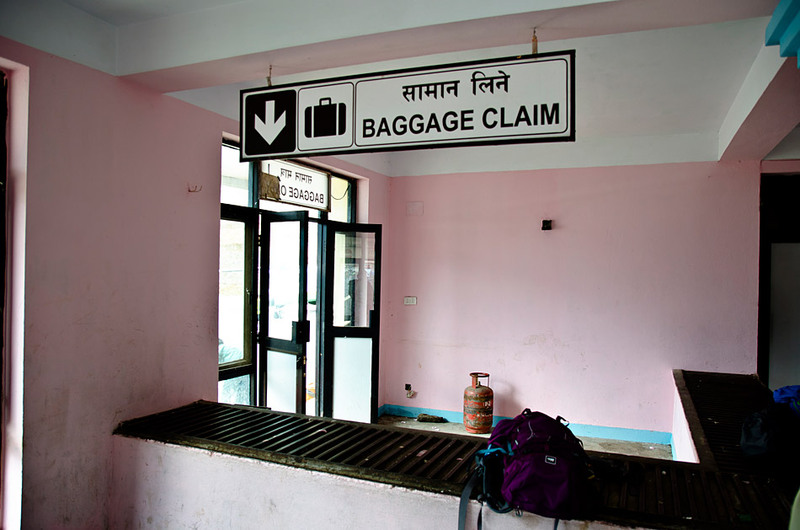 This is the airport to the east of Kathmandu, which is often used for cargo flights. 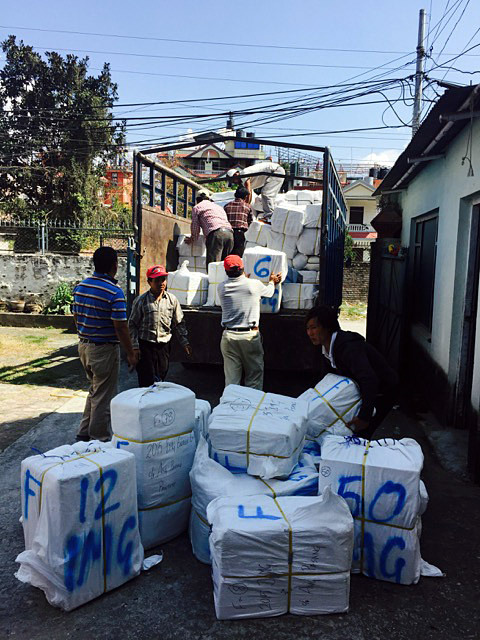 Supplies packed up for Base Camp included food purchased in Kathmandu, tents, and other gear. 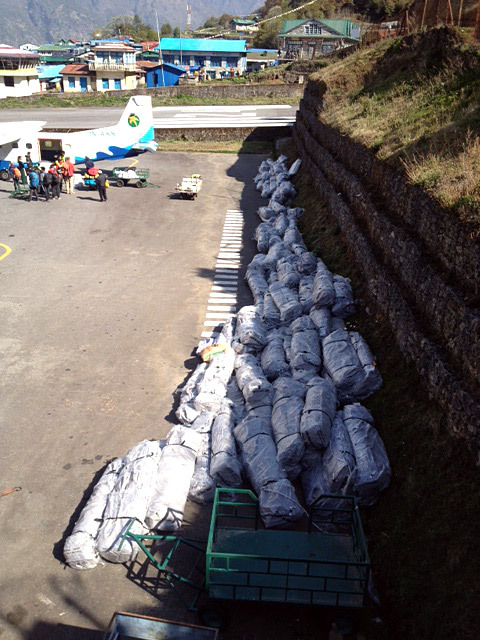 Hopefully we will get this lot of cargo flown to Lukla in the next couple of days. With a nod to the old time weather report on Radio Nepal (and Ed Webster's Everest book), we can report that we had a big dose of snow in Khumbu the last few days. Thanks to IMG climber Warren Wilhide's support, Phunuru and Nima Karma had a great time at the American Alpine Club meeting in New York. Phunuru made it back to Nepal and flew up to Phortse just in time for the big snowstorm. Sounds like the Khumbu has been hit hard. It may be an inconvenience for now, but it is always good to get some early season snow up on the big hill. 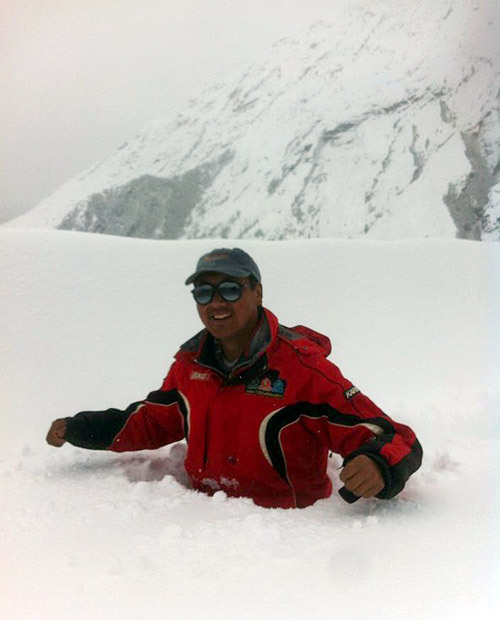 Phunuru sent several photos from Phortse... check out waist deep Mingma Tenzing (who is 5'10"). 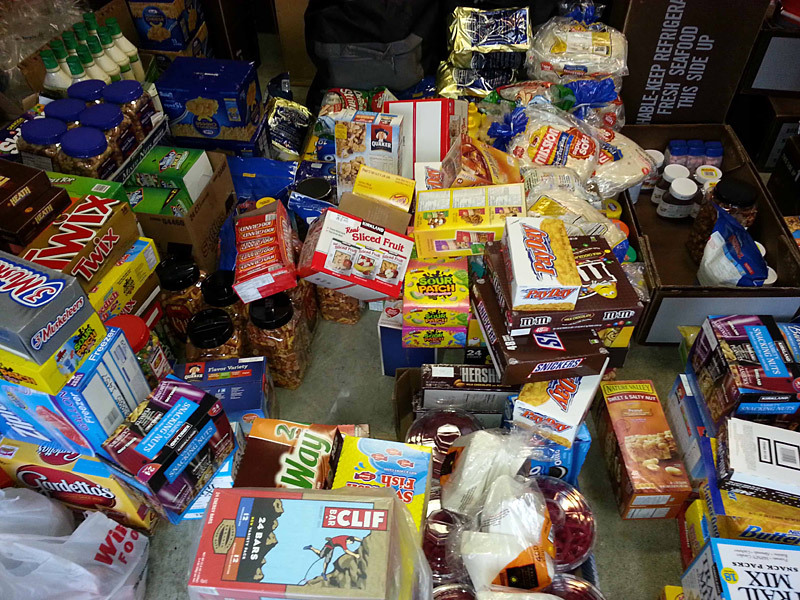 Ang Jangbu and our Kathmandu team have been packing food and gear, getting ready to send more loads up to Khumbu. 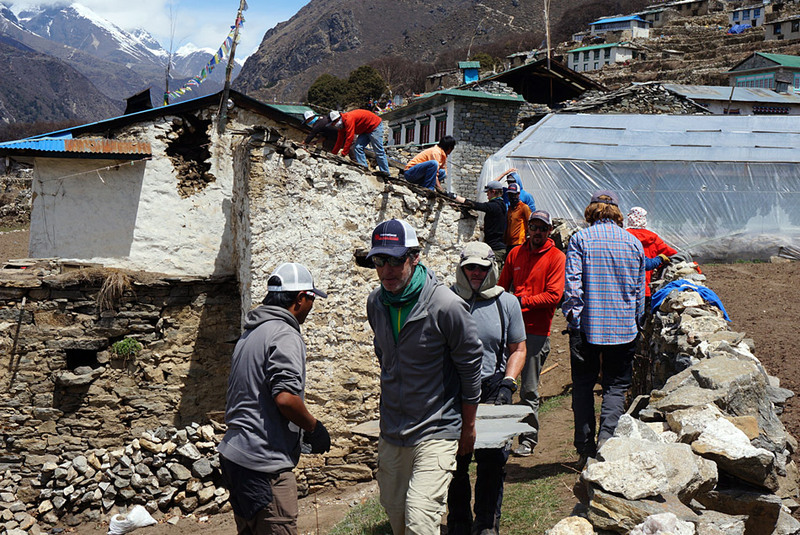 Phunuru will be working with our IMG sherpas up in Khumbu, as they start constructing our Everest Base Camp and moving our expedition loads uphill (once everyone gets done digging out)! We are looking to another great year on Everest. 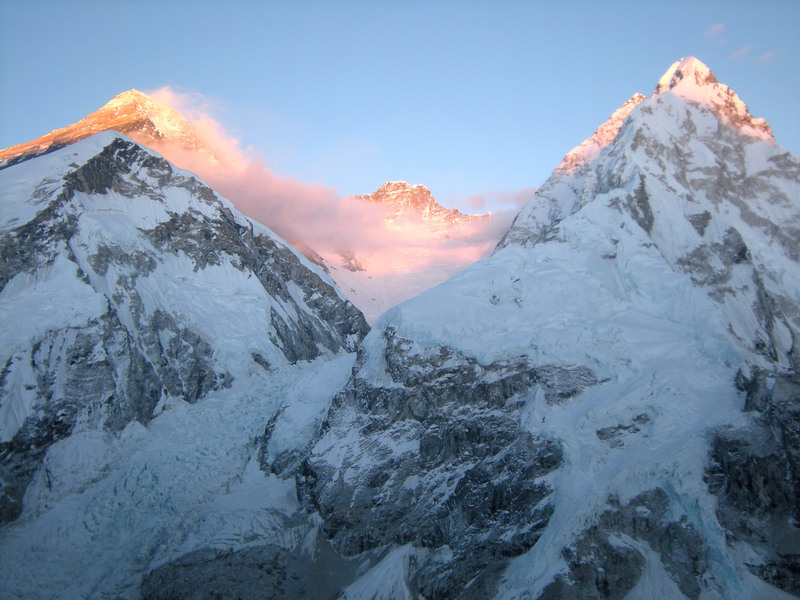 This upcoming 2015 expedition will be the 23rd that we have conducted to the world's highest peak. So far we have led 381 people from 22 countries to the summit. We have a good looking team shaping up for spring 2015, with our members representing 7 different countries. 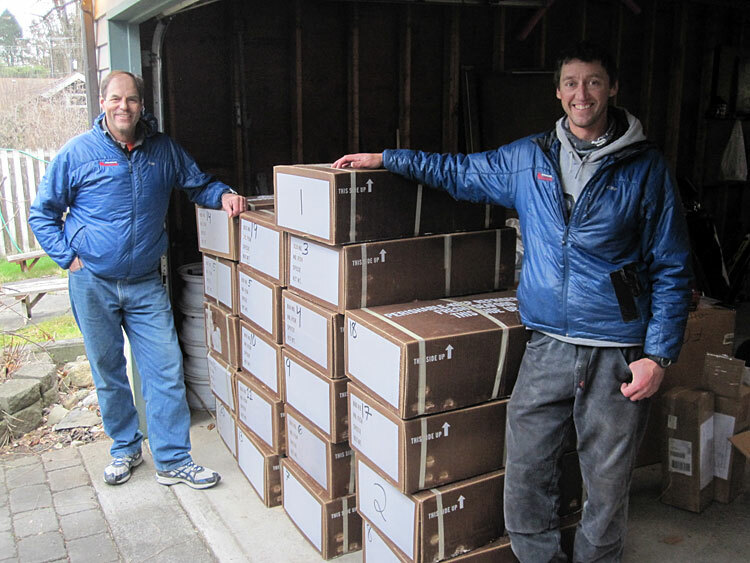 In the USA, IMG Everest leader Greg Vernovage and the guide team are assembling food and equipment for shipment to Nepal. In Nepal, IMG leader Ang Jangbu Sherpa reports that the Sherpa team have already been up to Base Camp to claim our camp site, and that they are now starting to send food, fuel, and equipment loads up to the Khumbu. We are looking forward to sharing expedition news with you!